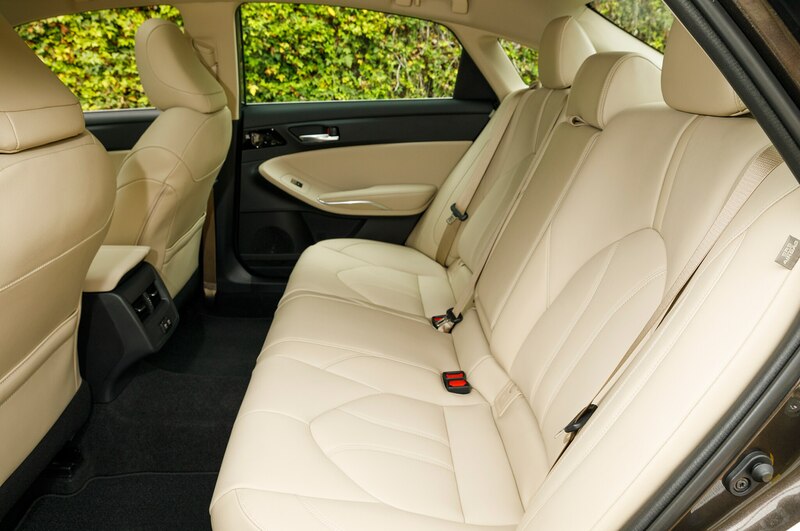 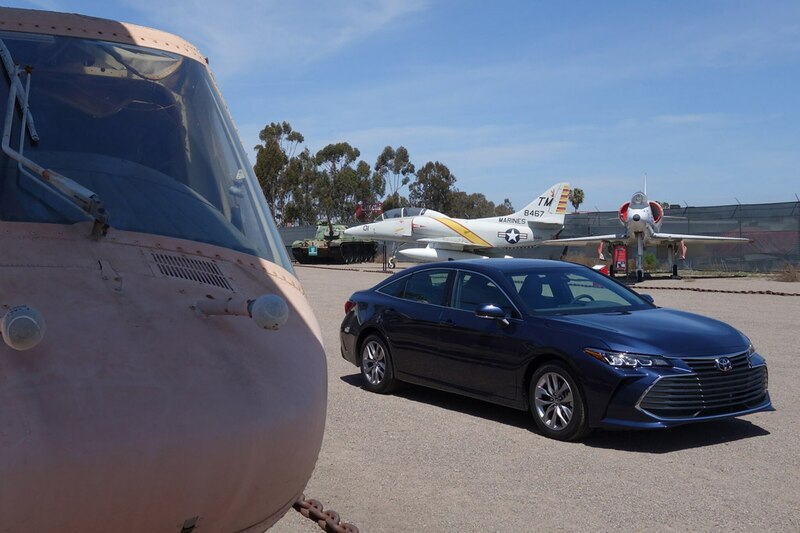 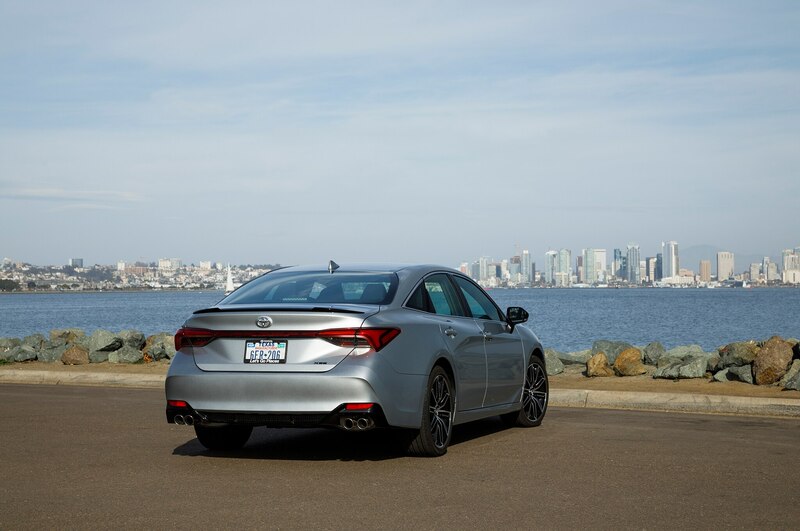 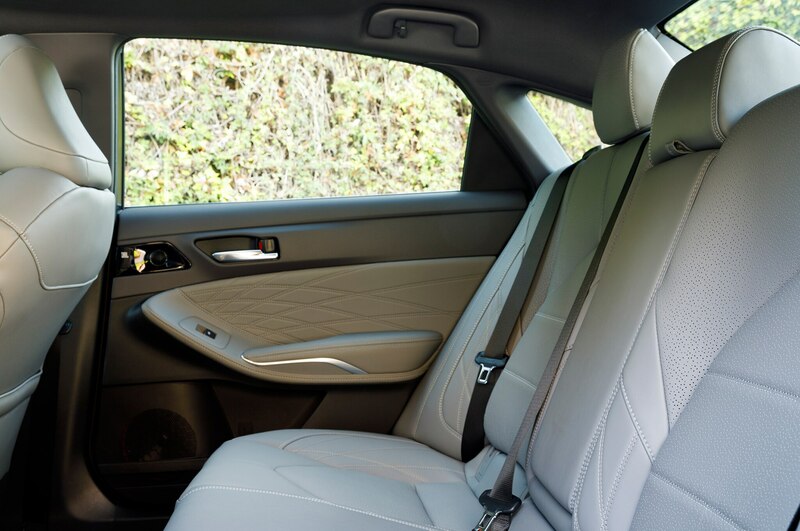 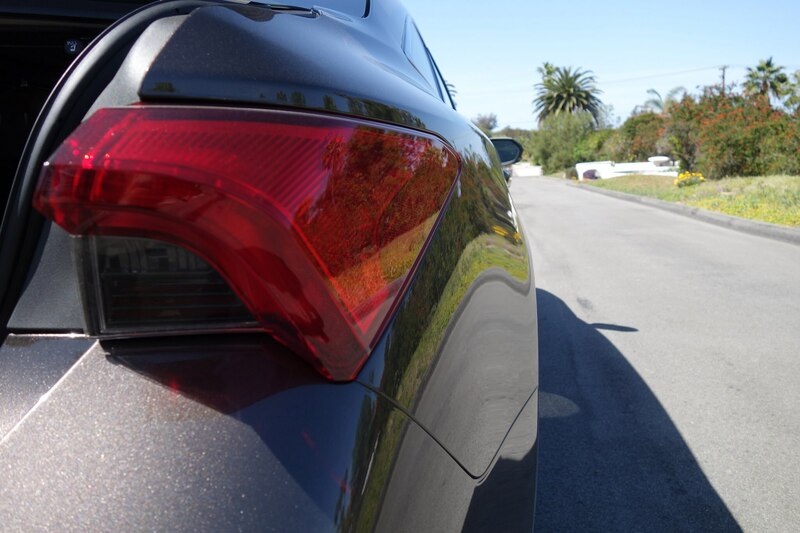 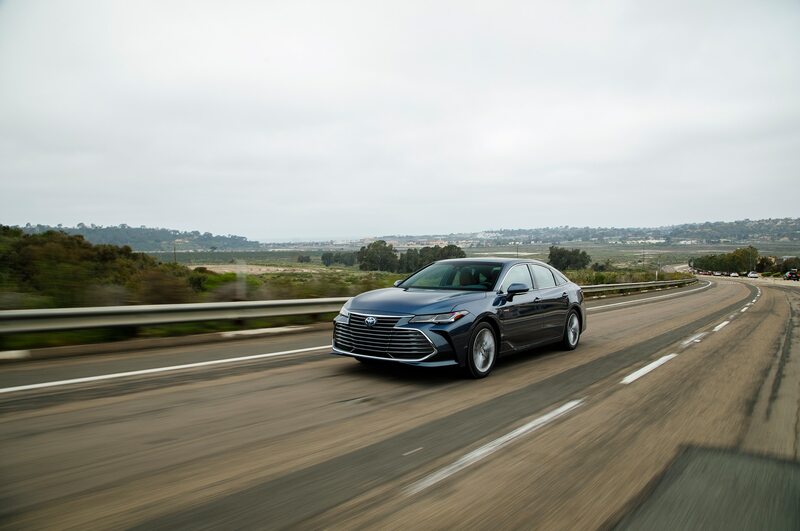 DEL MAR, California — Jimmy Durante Boulevard just north of San Diego is the perfect stretch of pavement to experience the 2019 Toyota Avalon. 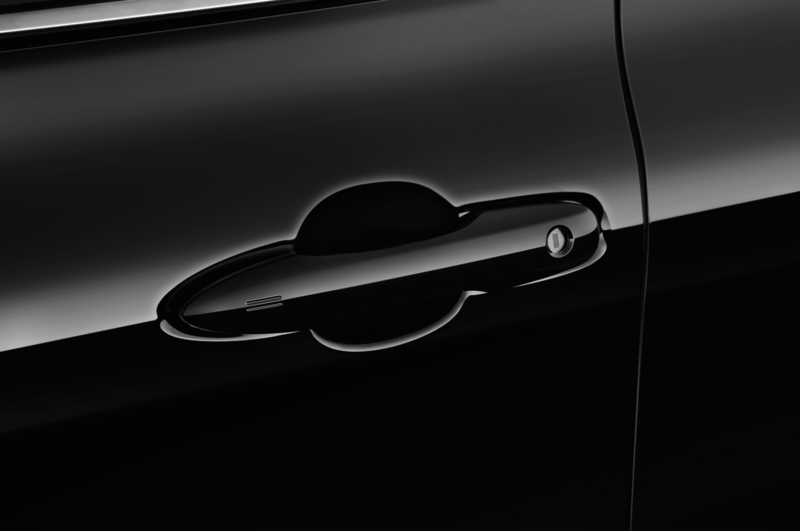 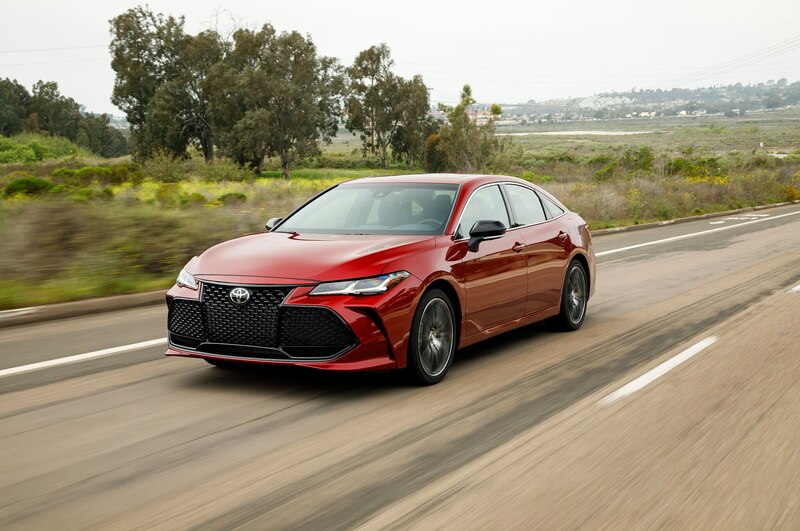 Like the street’s eponymous comedian/entertainer, the all-new fifth-generation sedan has a schnoz that only the Great Schnozzola could appreciate. 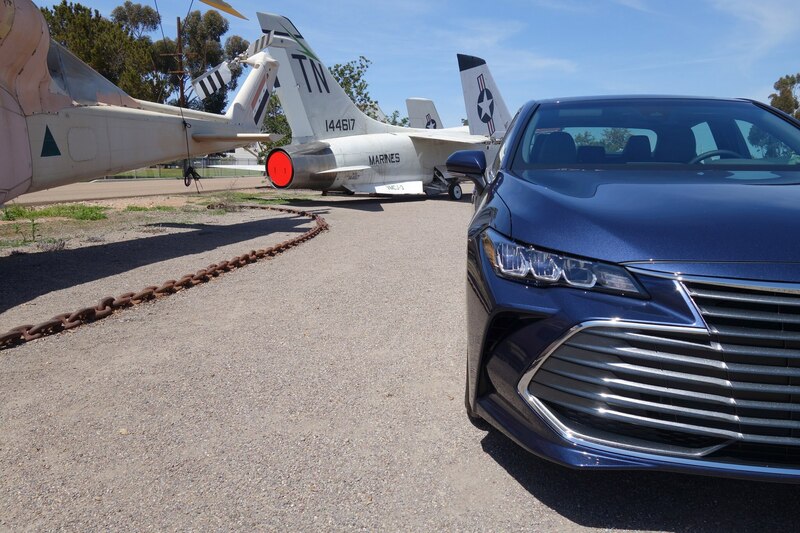 “My nose isn’t big. 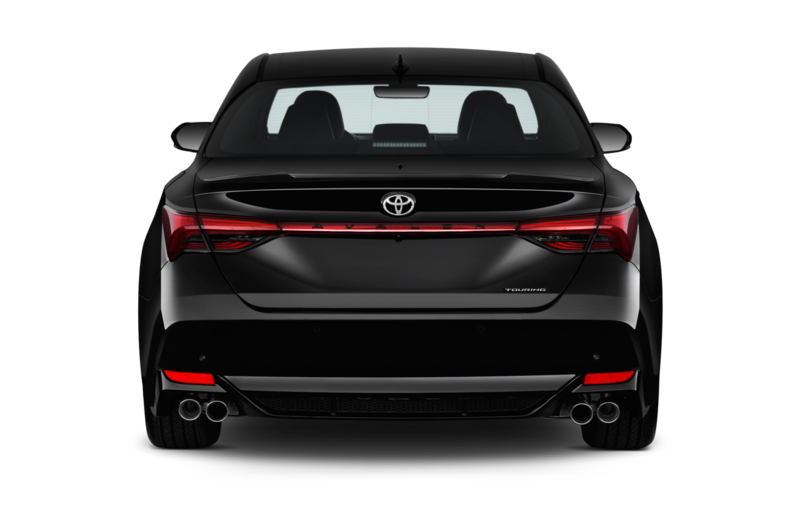 I just happen to have a very small head,” the funny man used to say. 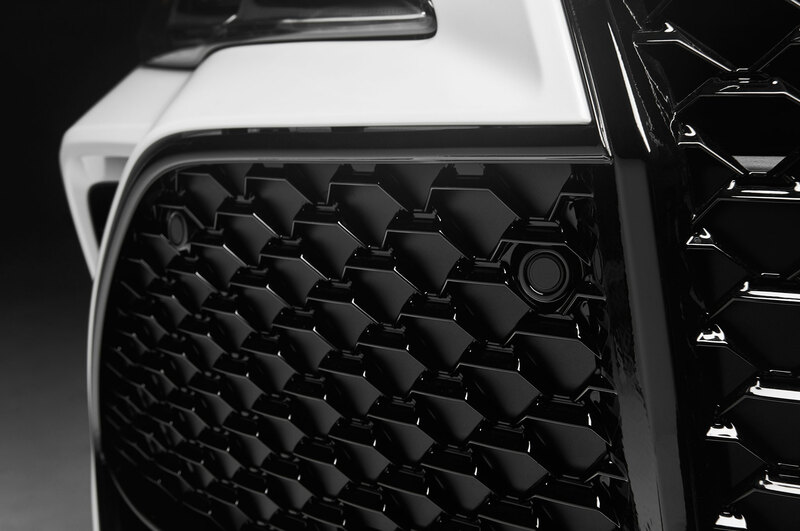 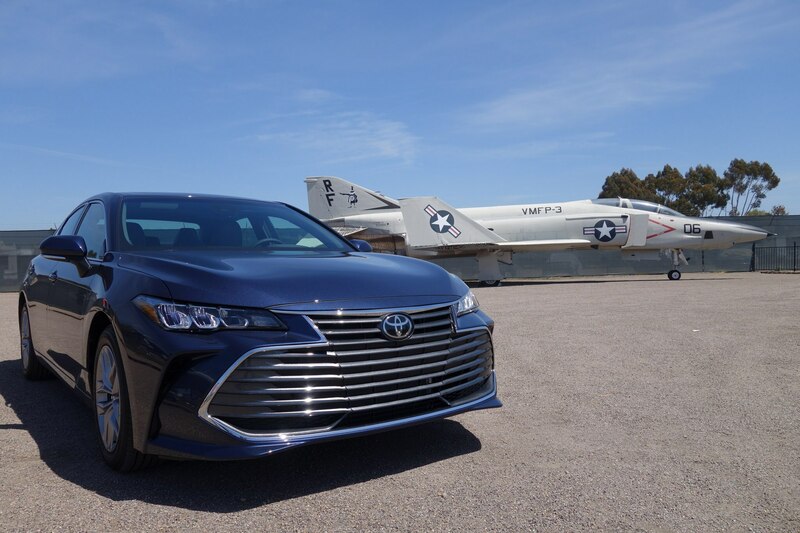 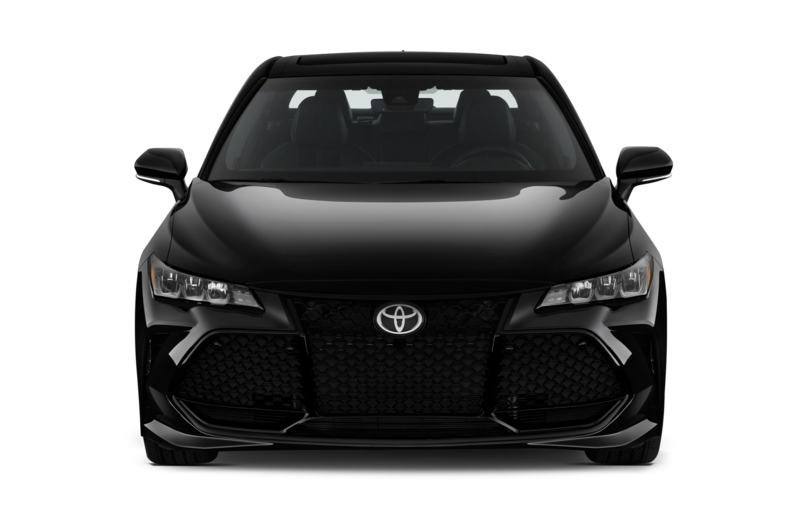 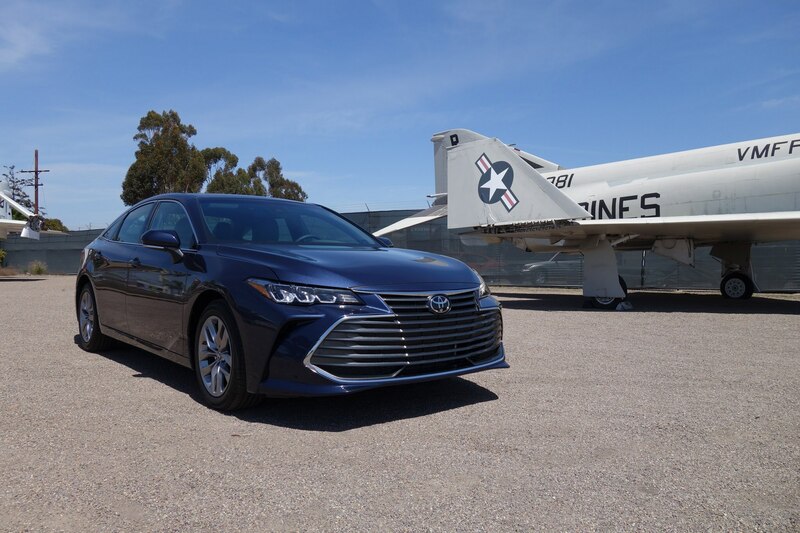 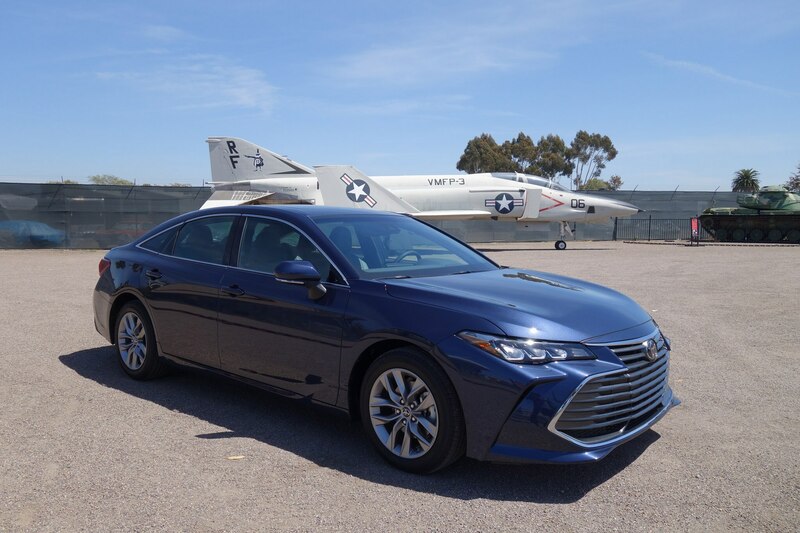 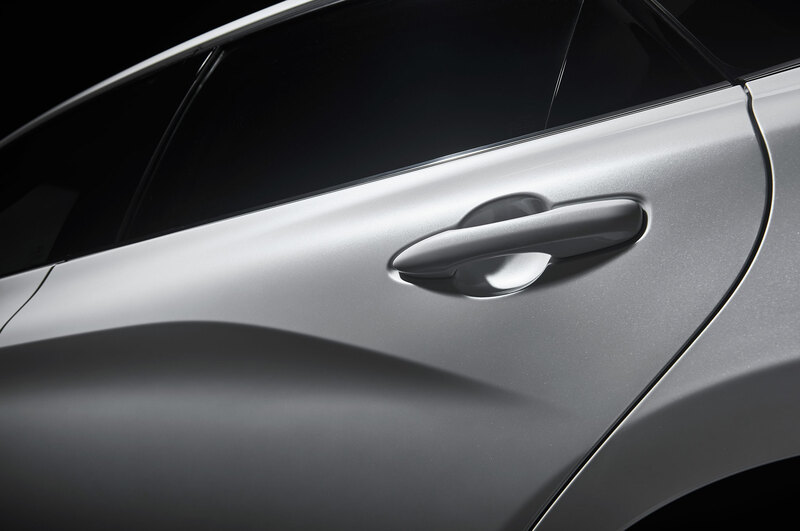 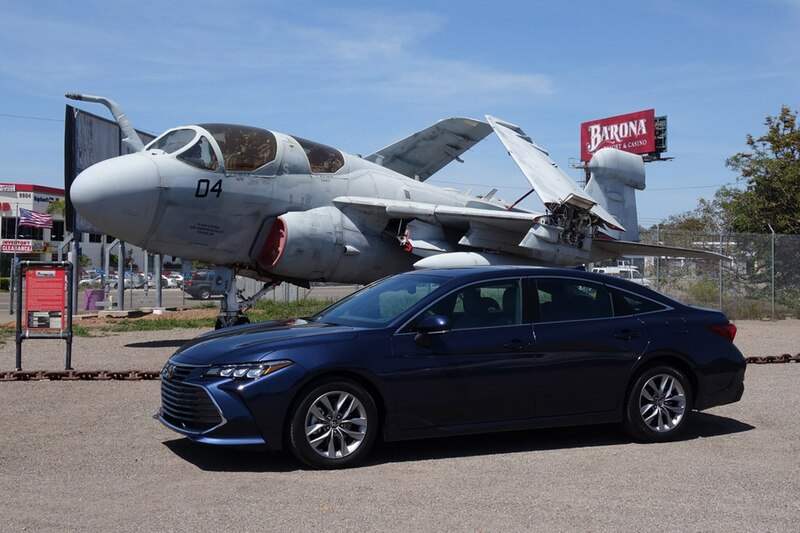 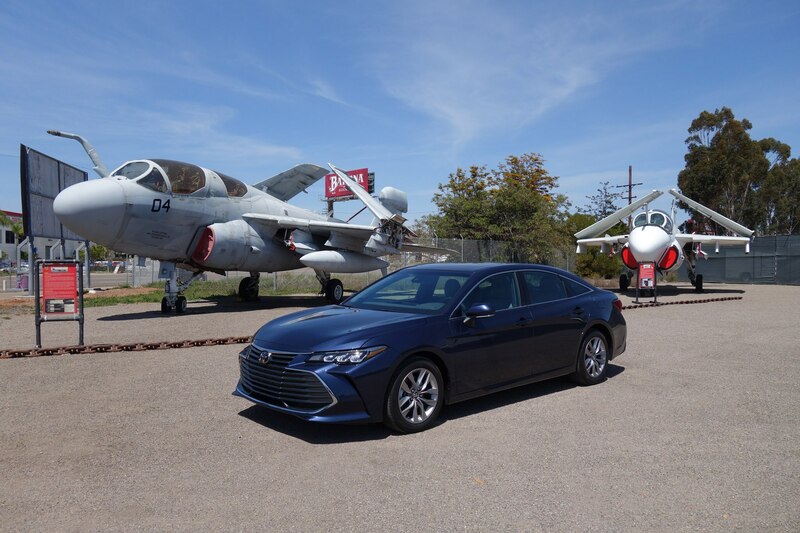 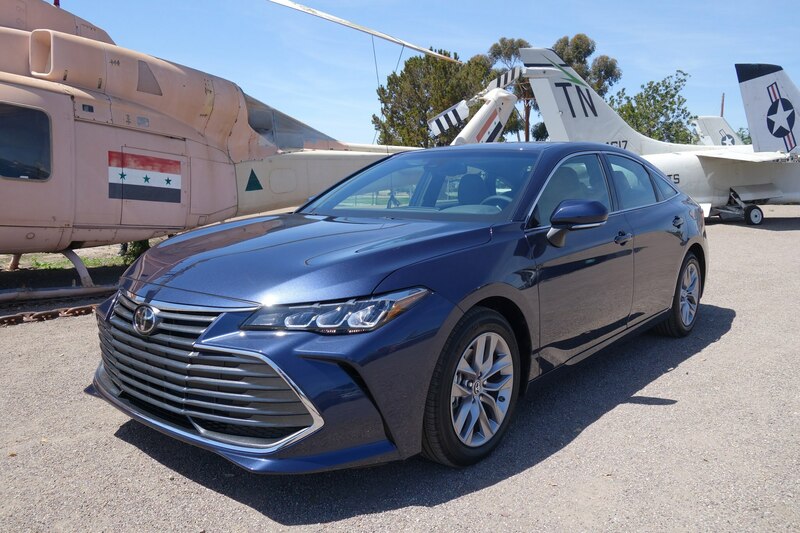 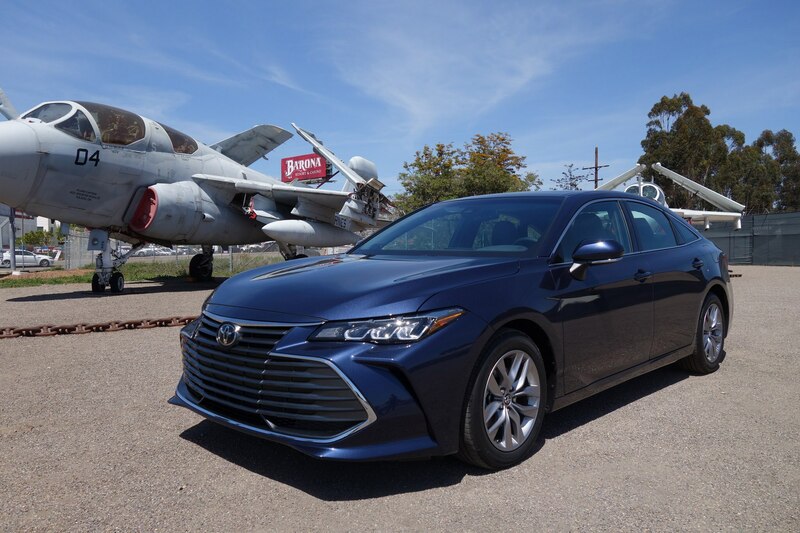 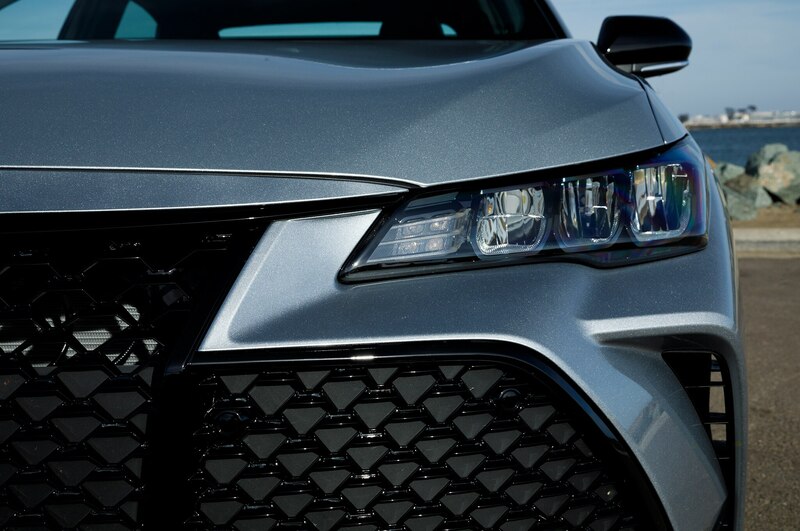 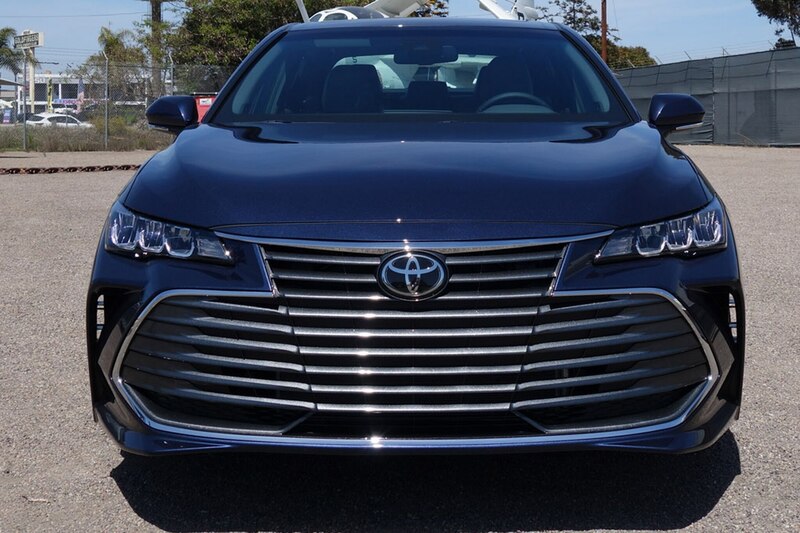 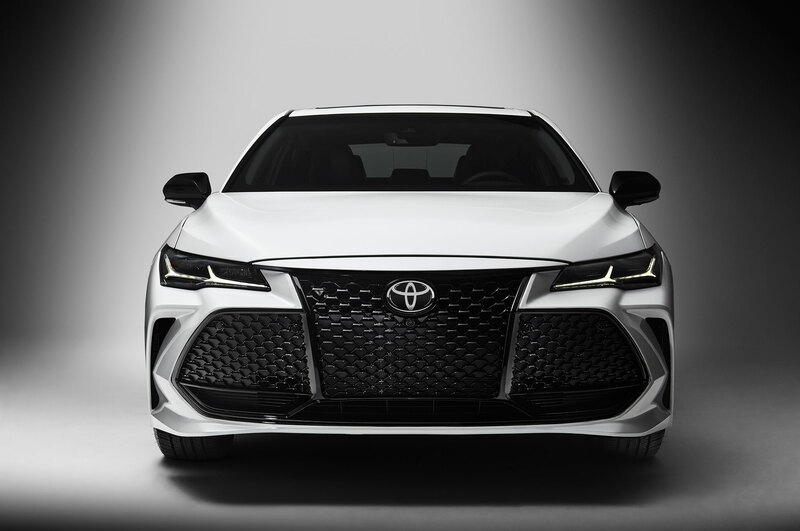 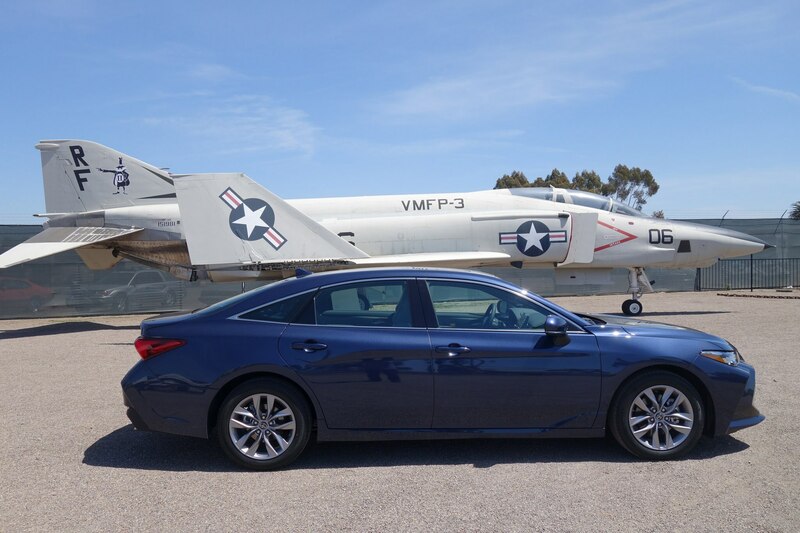 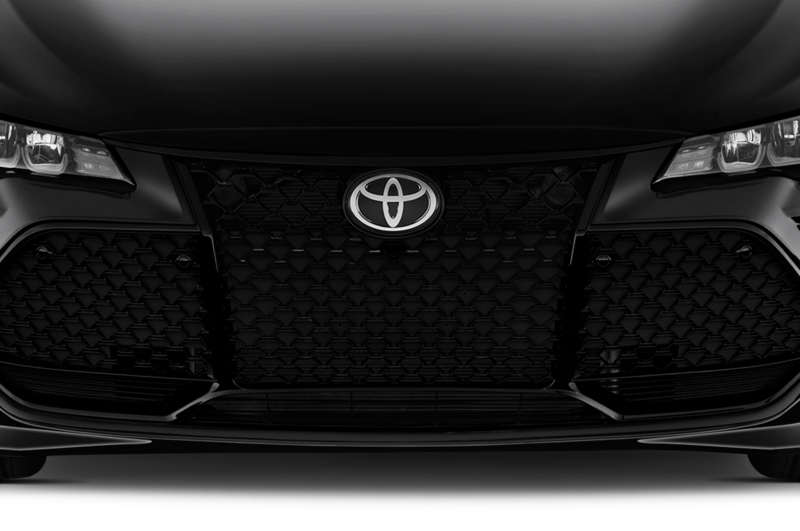 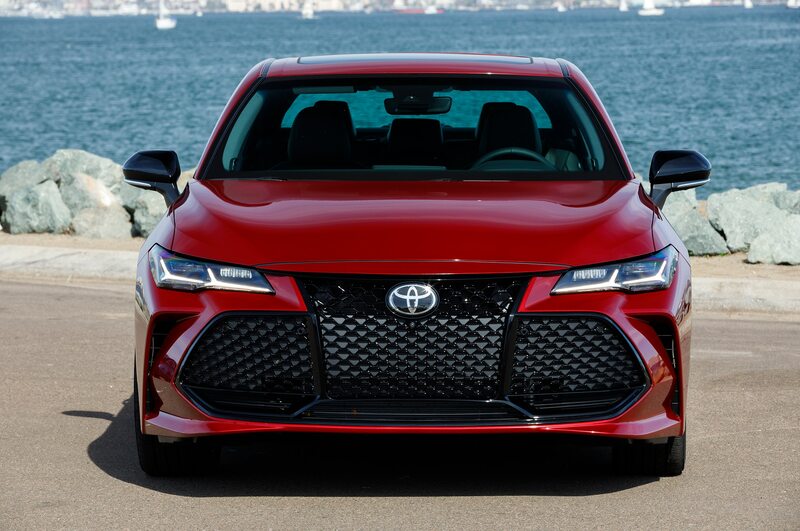 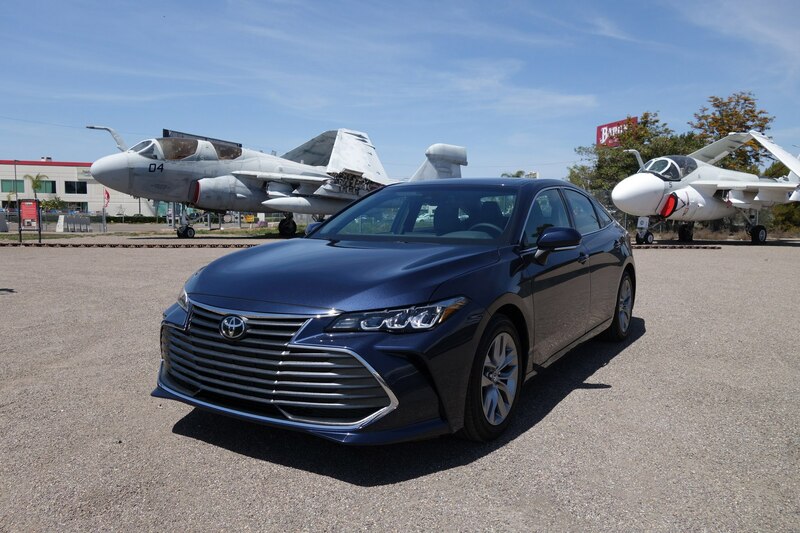 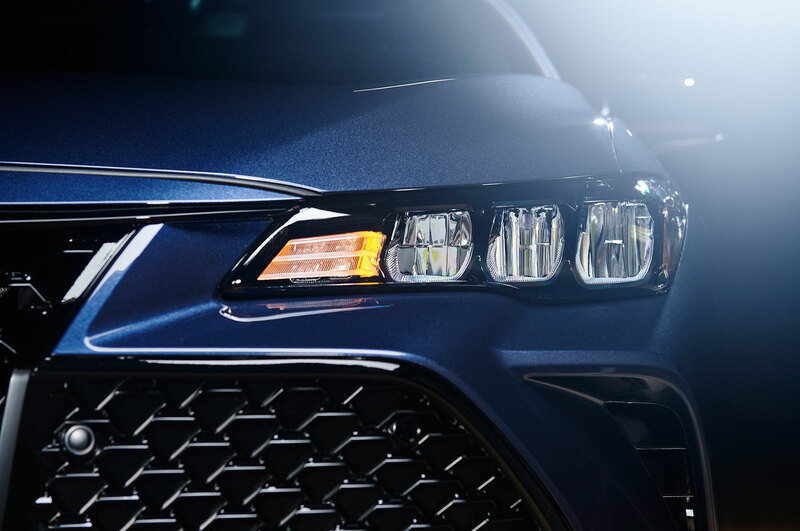 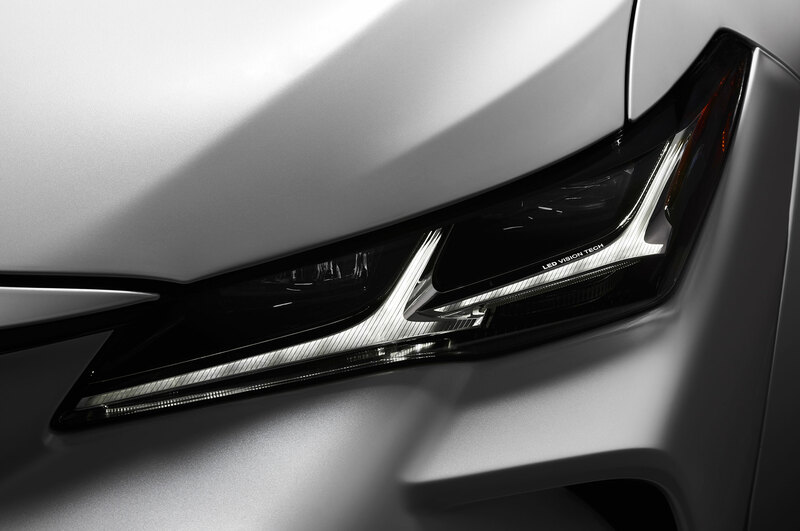 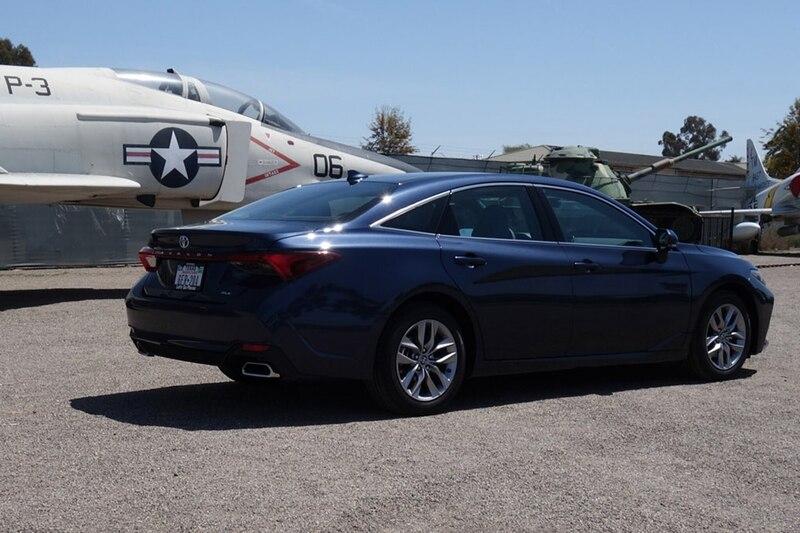 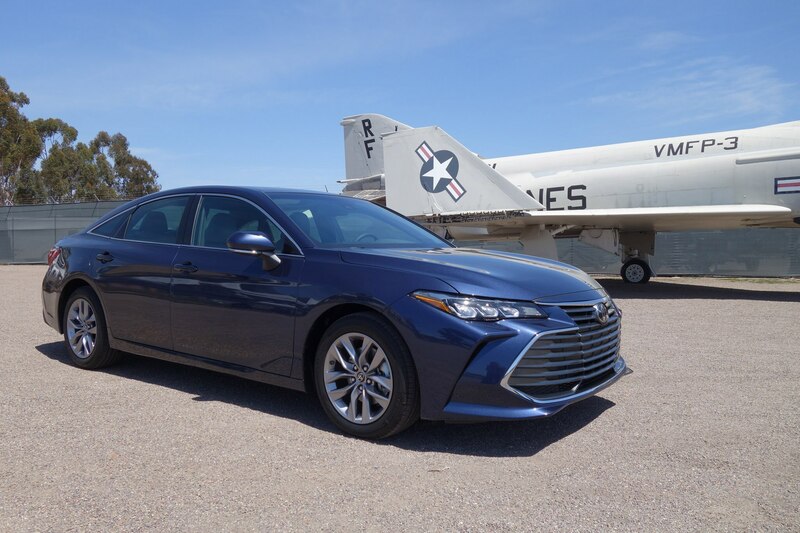 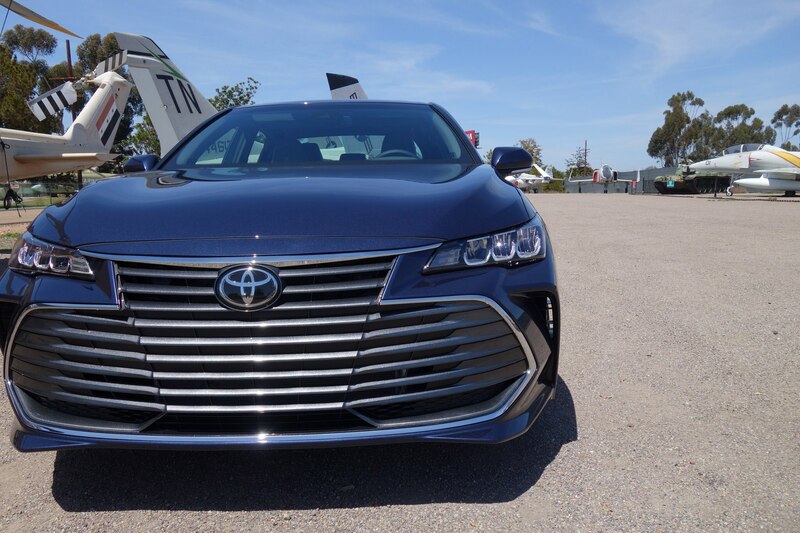 If you compare the Toyota flagship’s new grille with the nose of a fighter jet, well it definitely looks small. 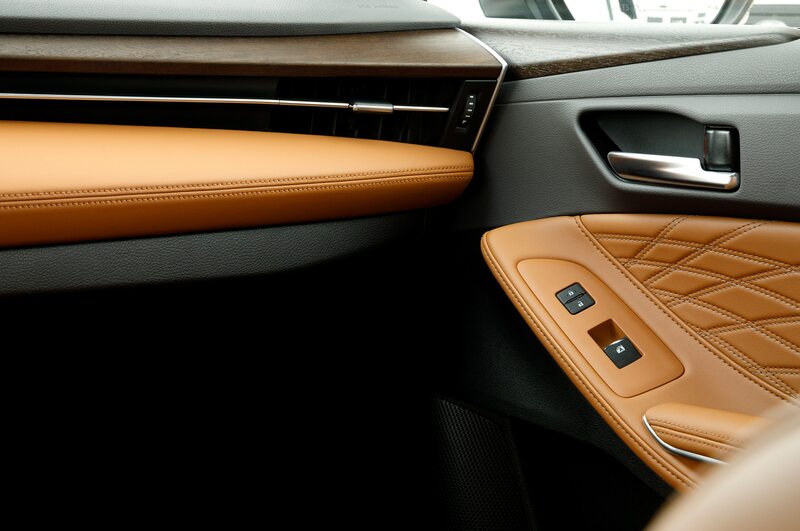 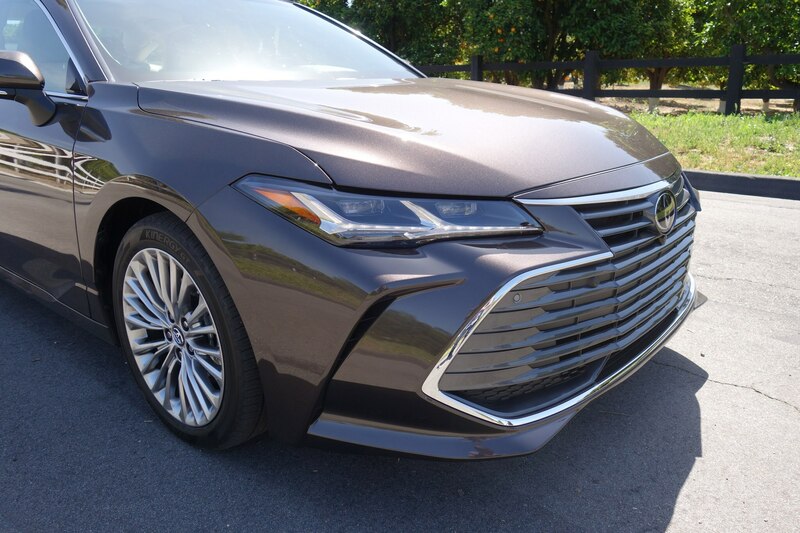 But if you parked it next to a Lexus LS, its spindle grille would look tiny. 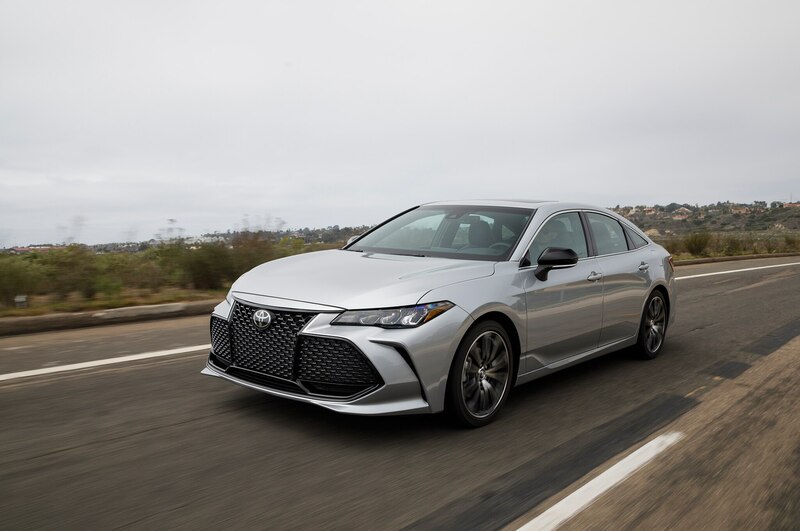 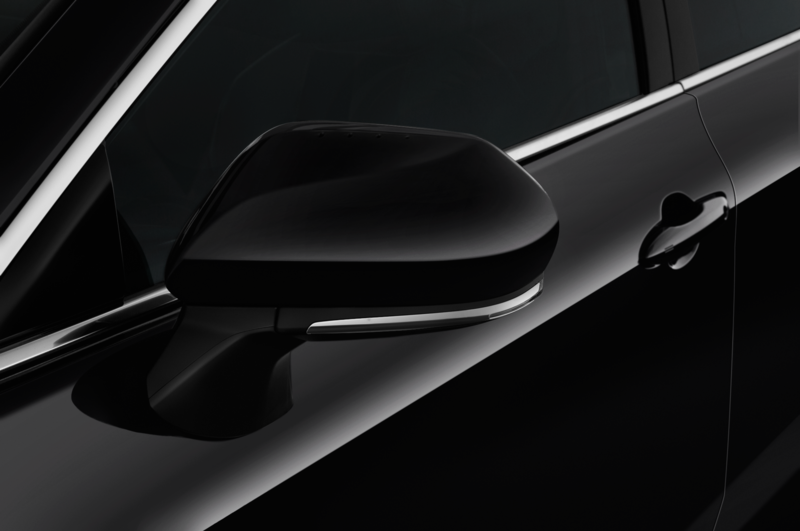 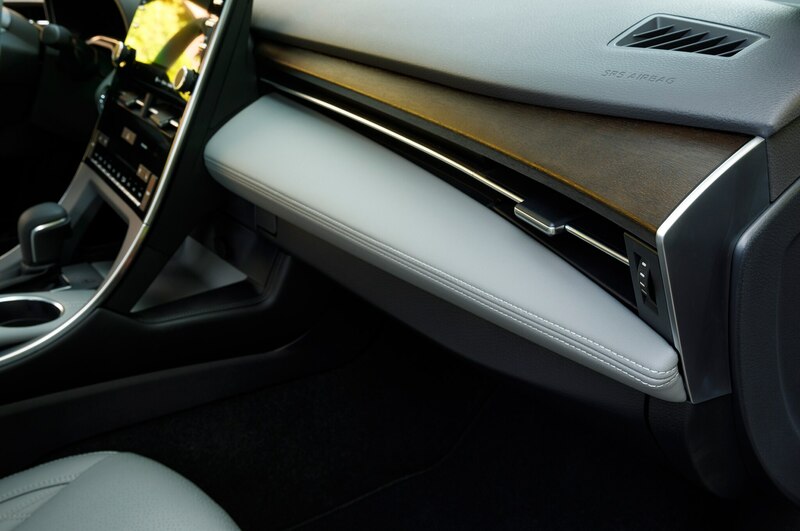 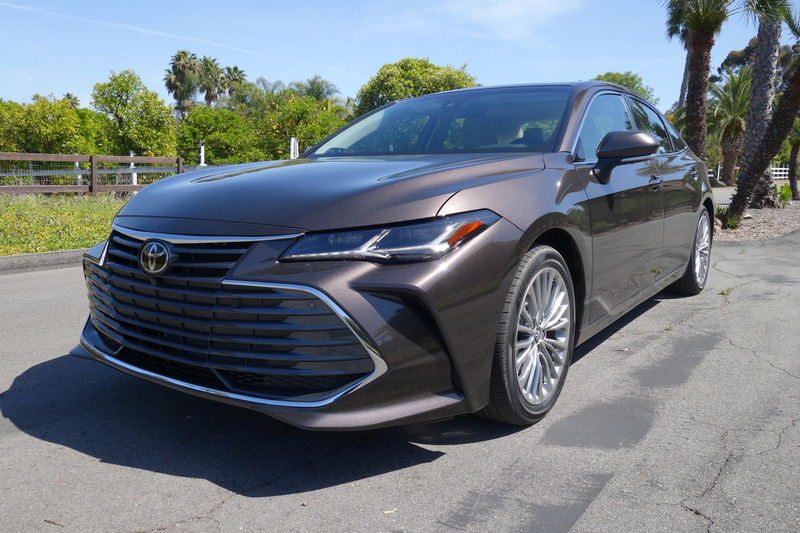 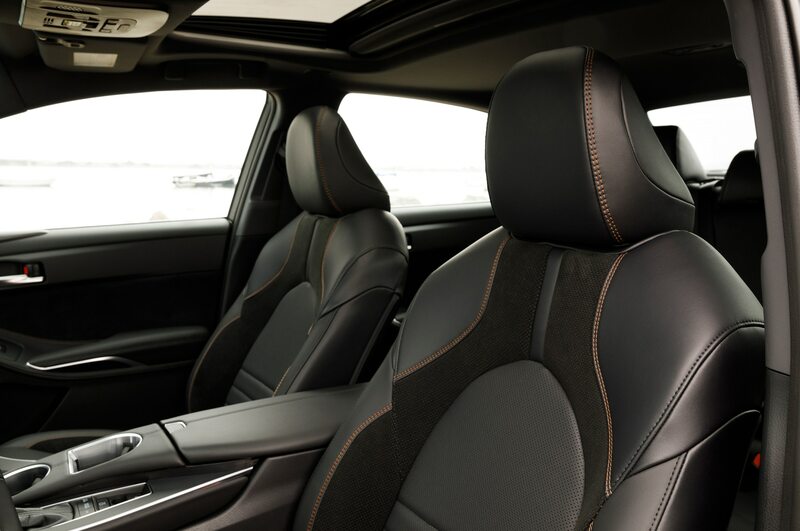 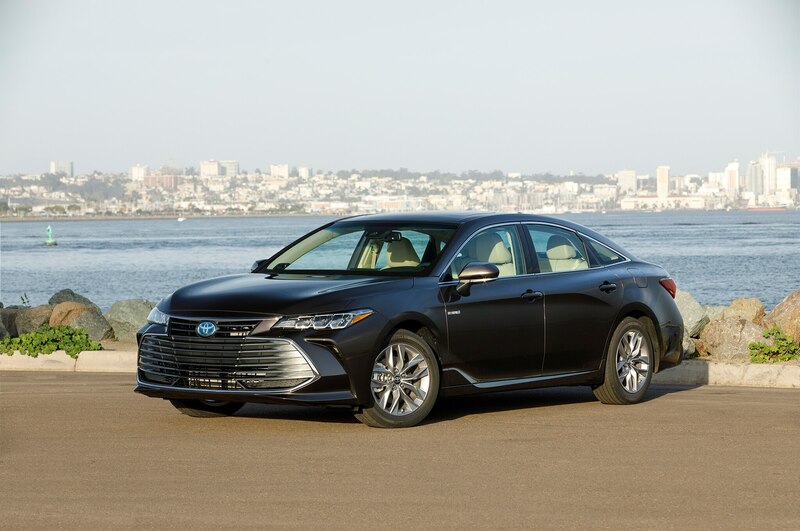 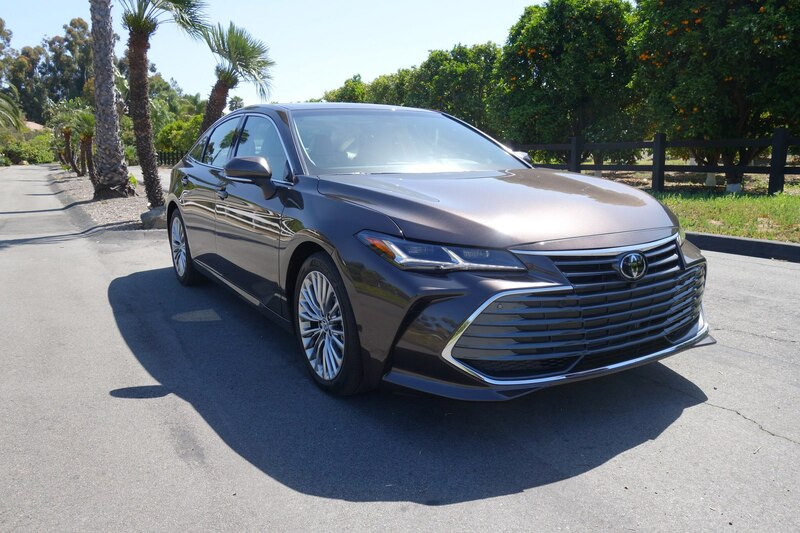 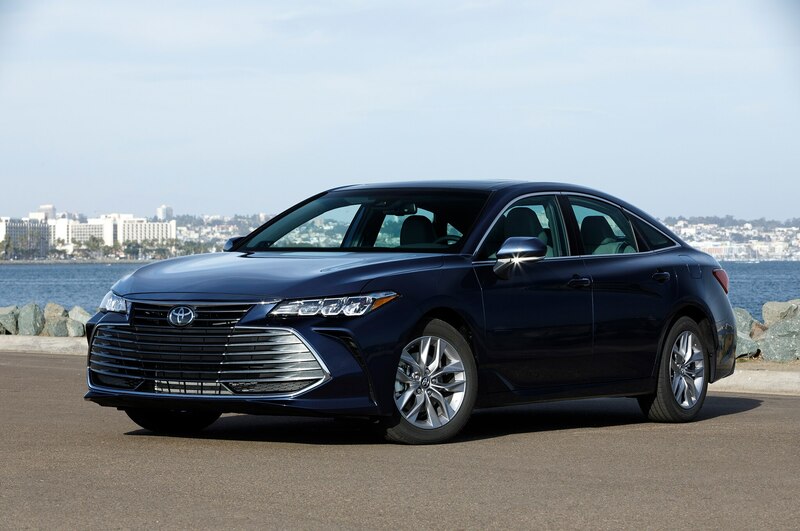 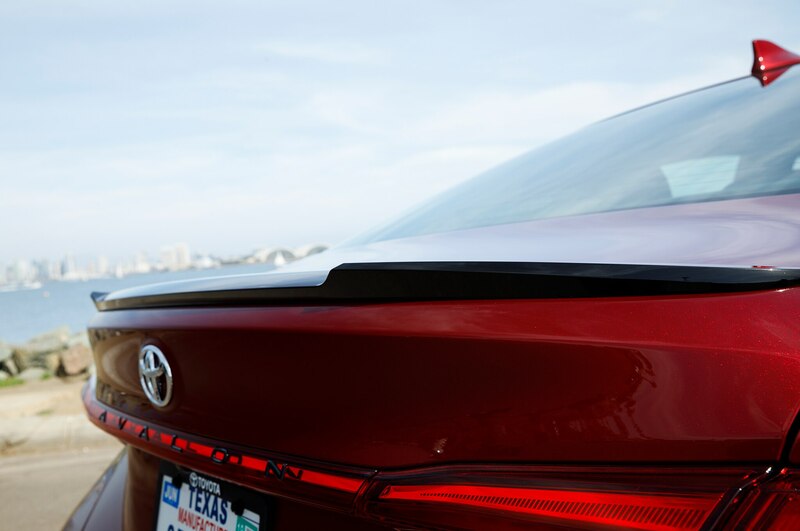 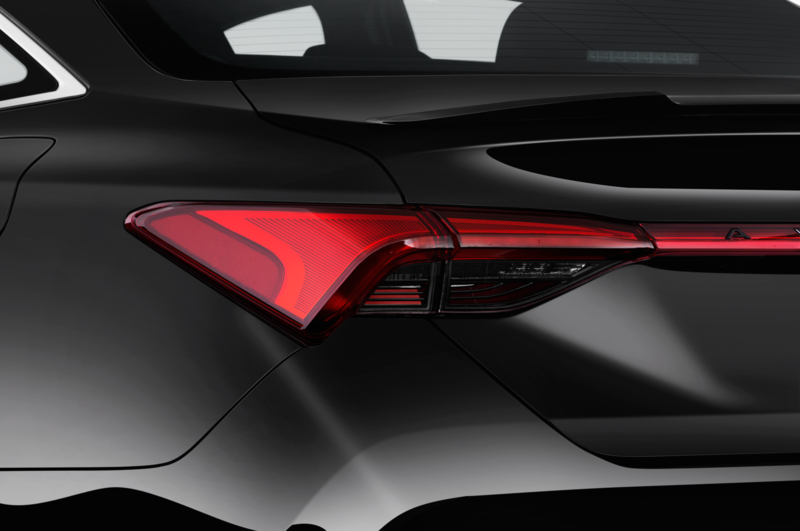 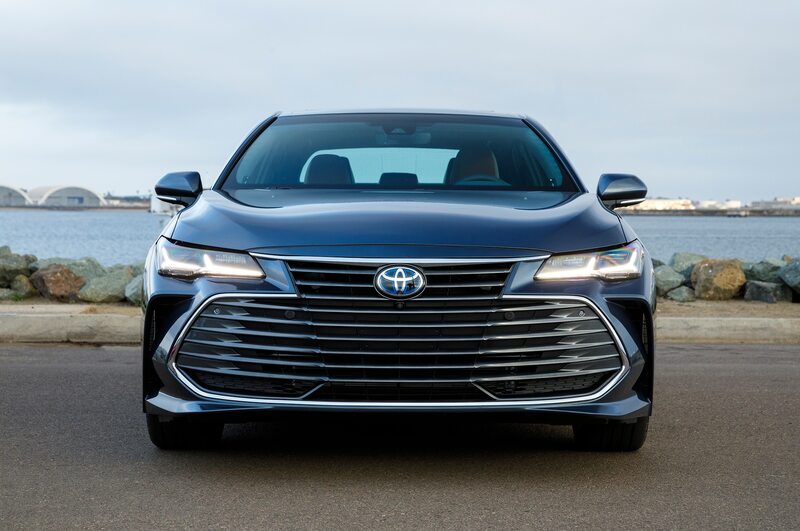 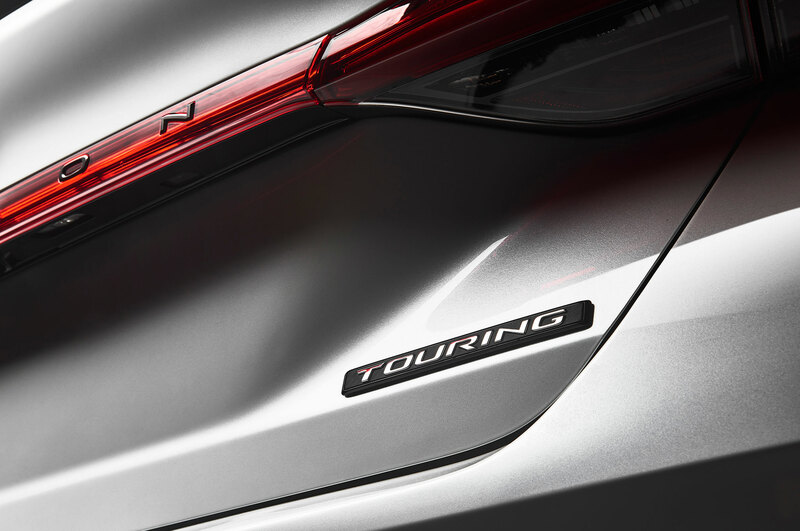 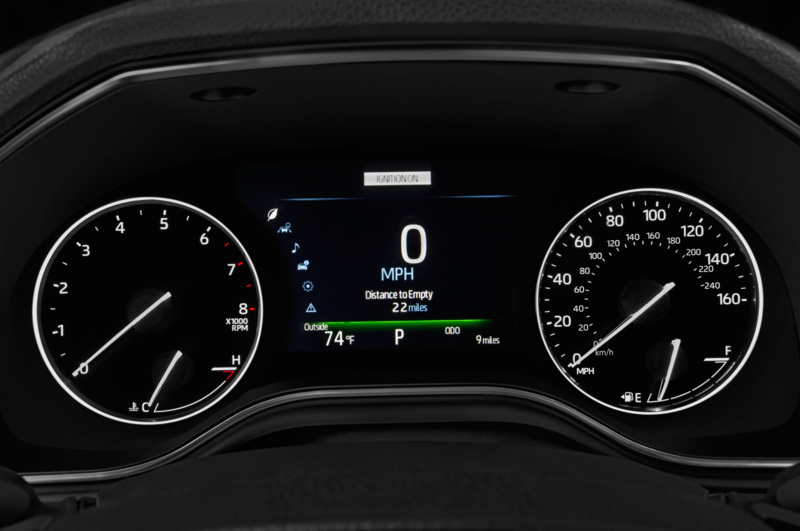 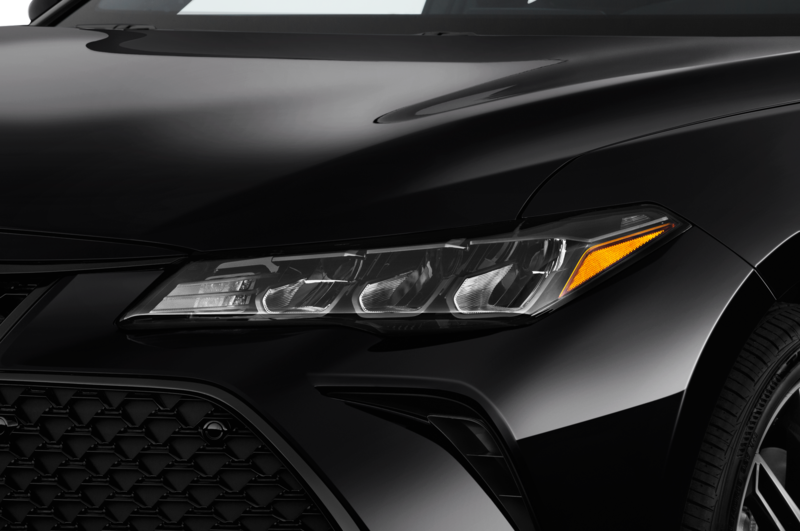 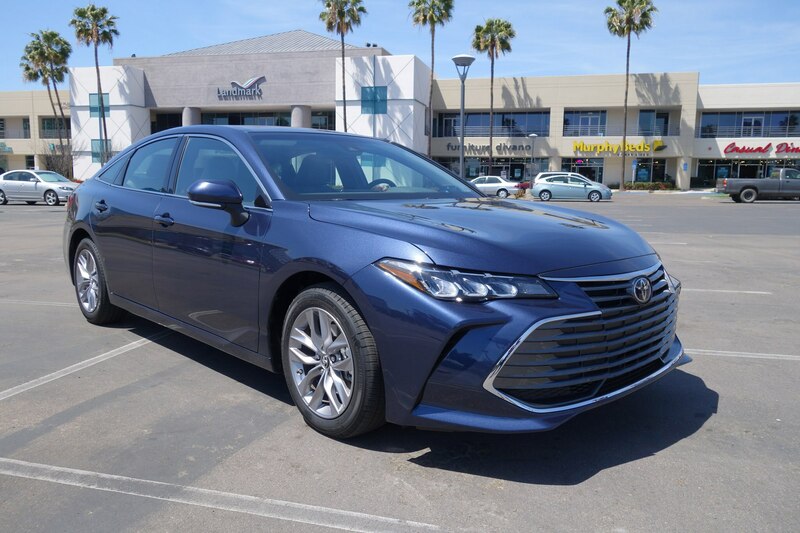 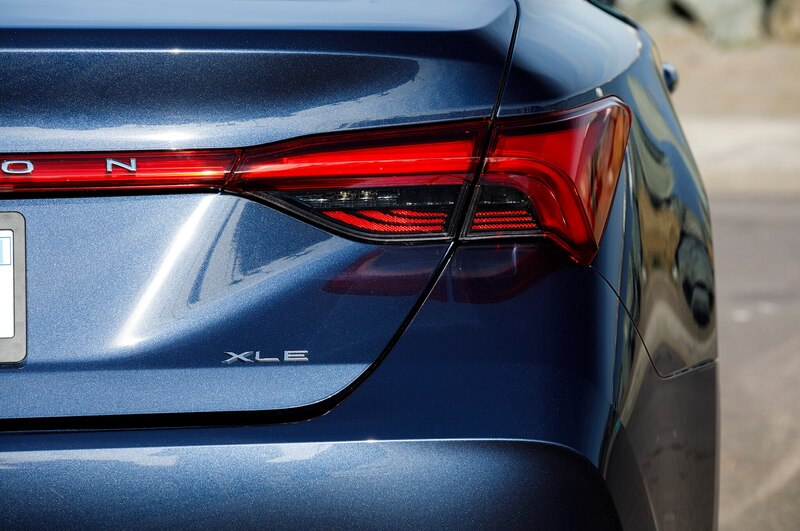 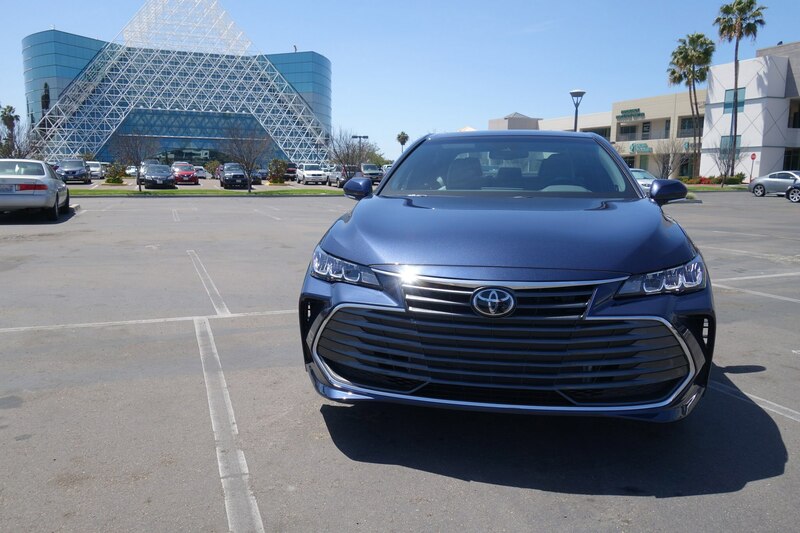 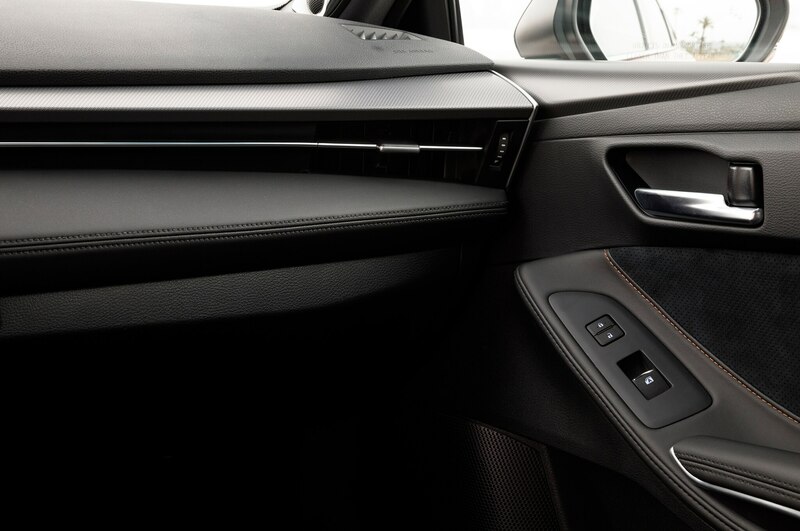 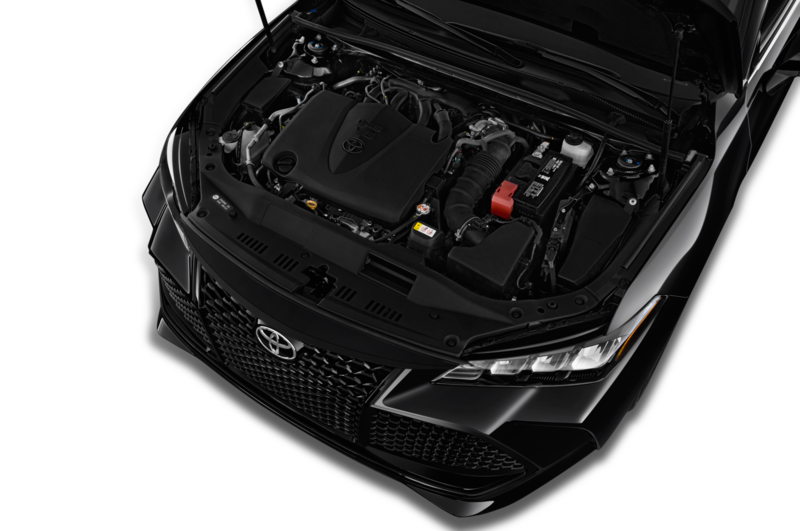 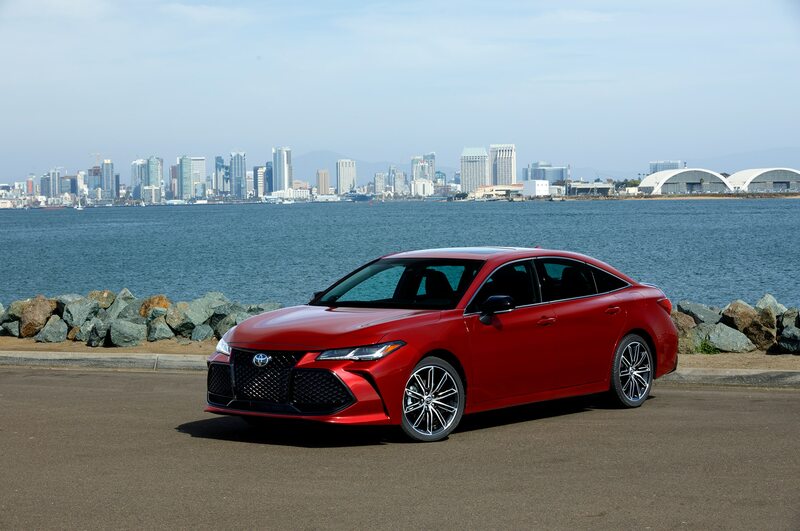 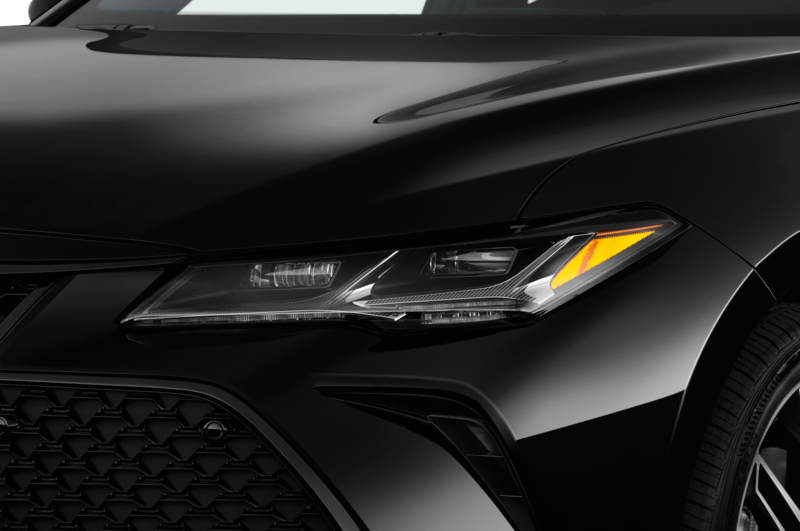 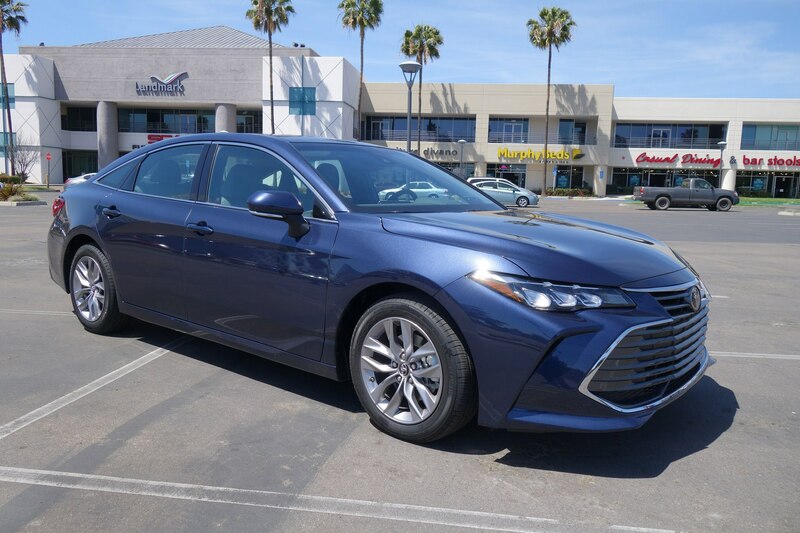 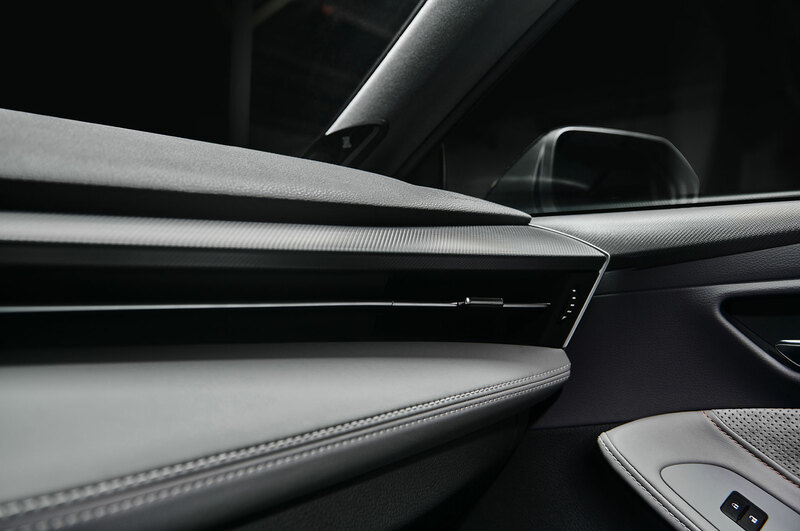 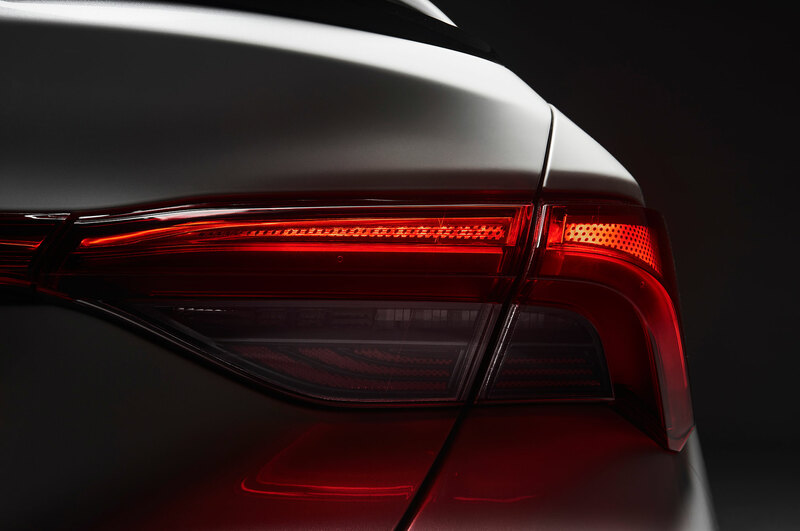 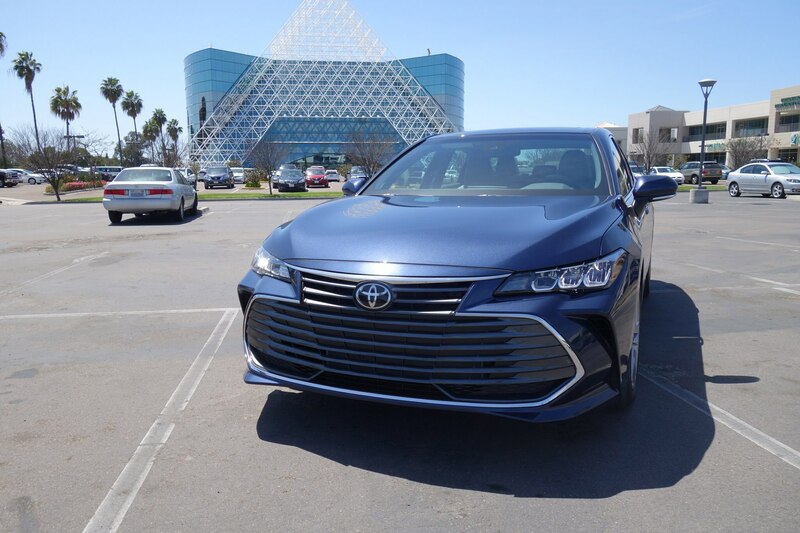 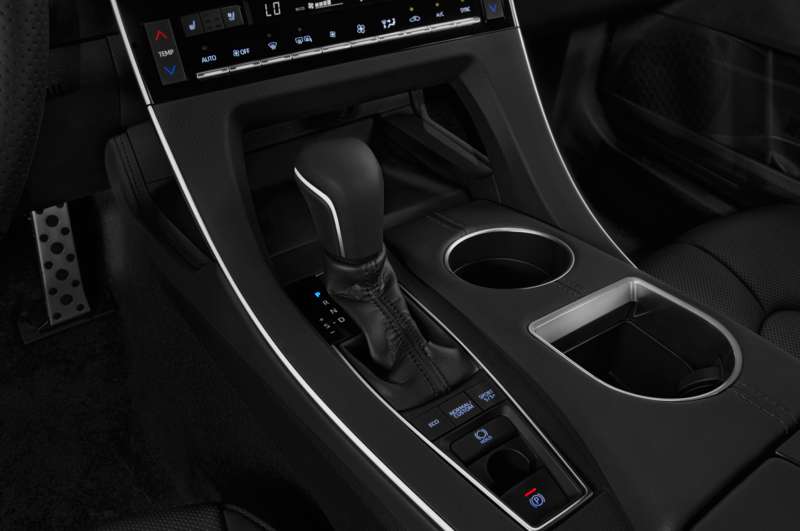 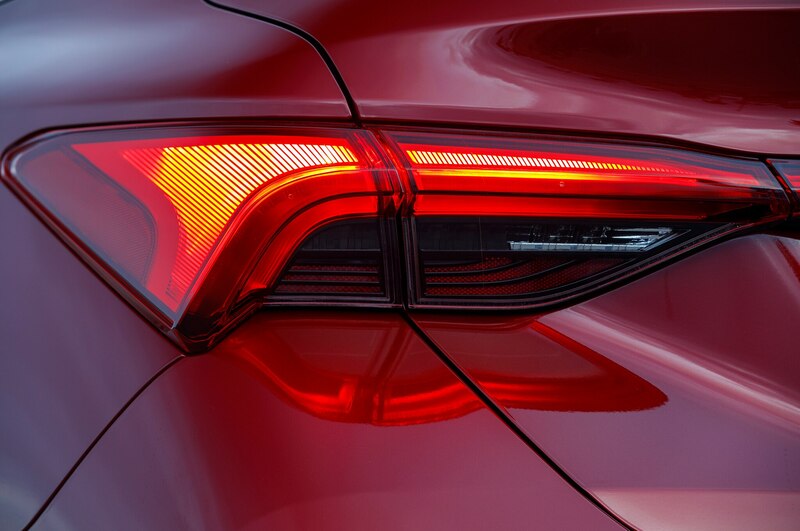 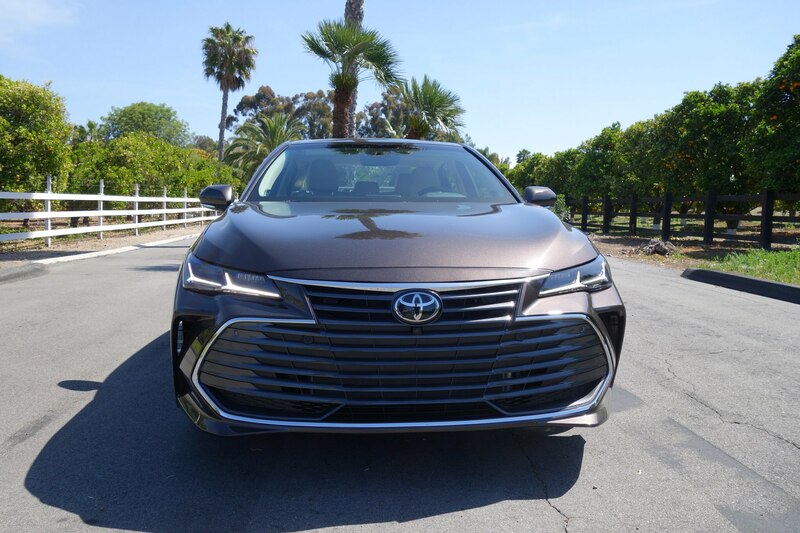 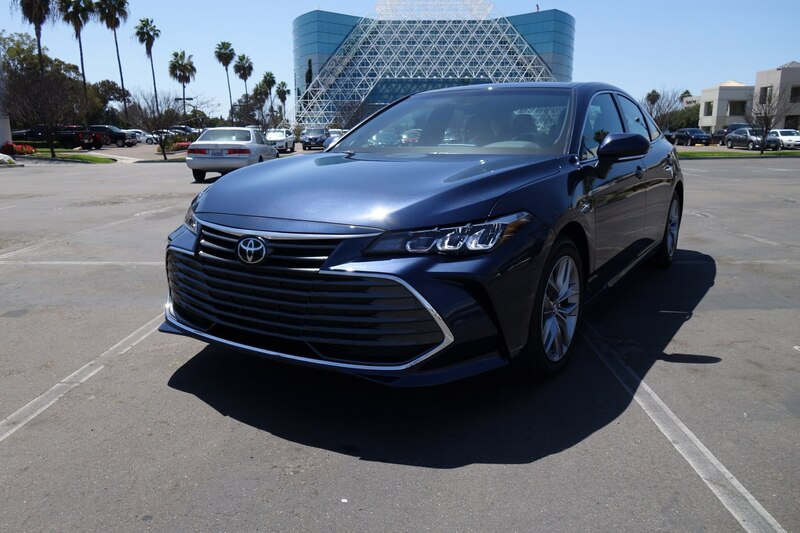 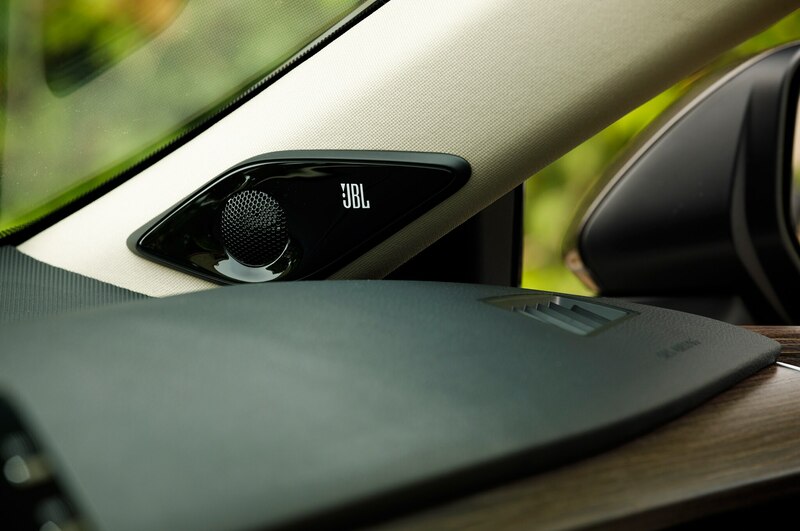 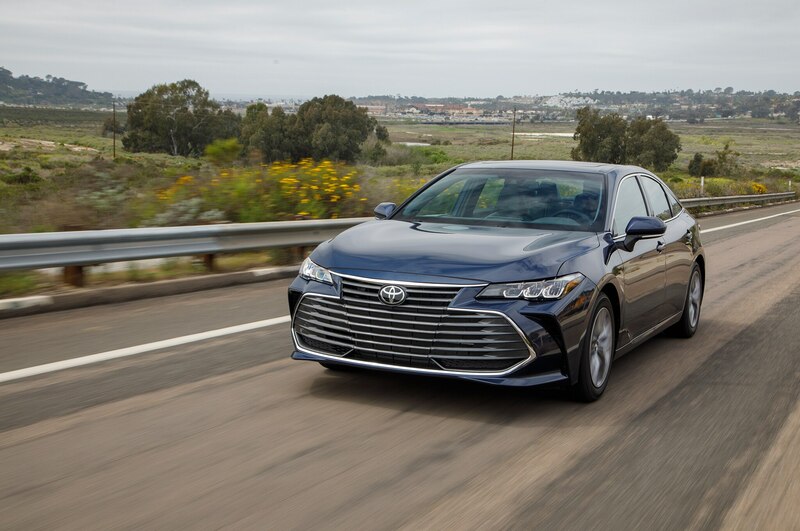 Premium XLE and Limited trims of the 2019 Avalon feature a large slotted grille that’s as wide as the 805 Freeway, while sporty XSE and Touring models get a big, piano black mesh one. 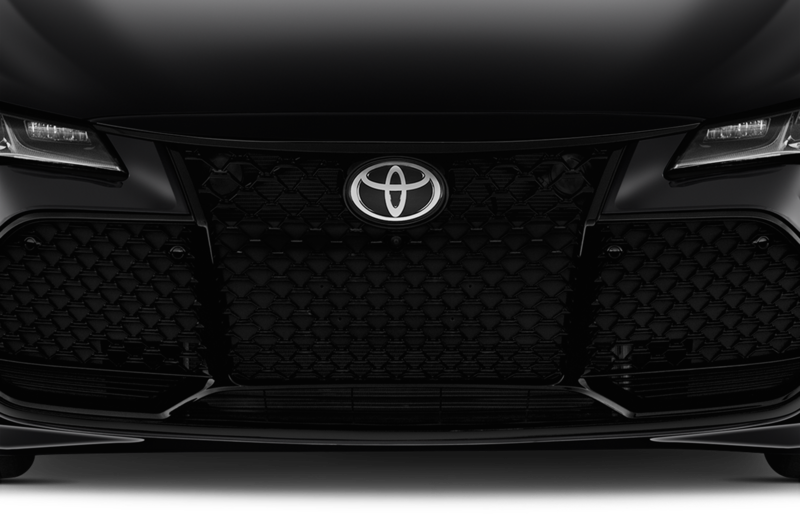 Hybrids get both plus grille shutters to help cool the engine. 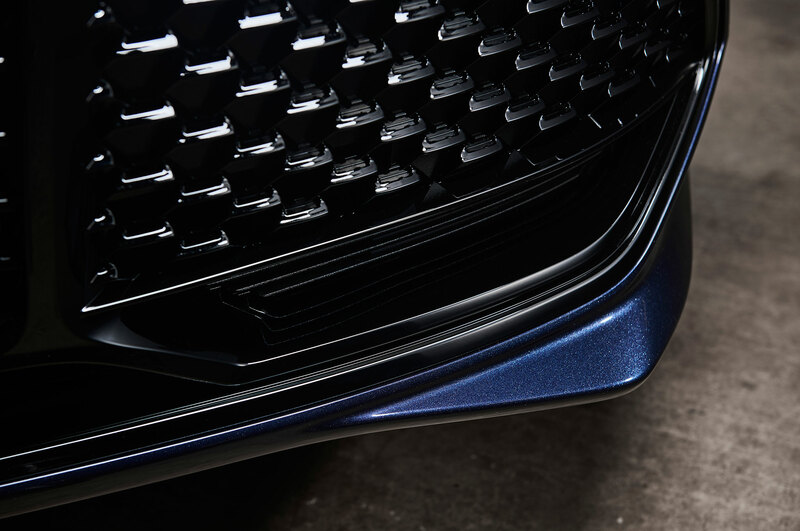 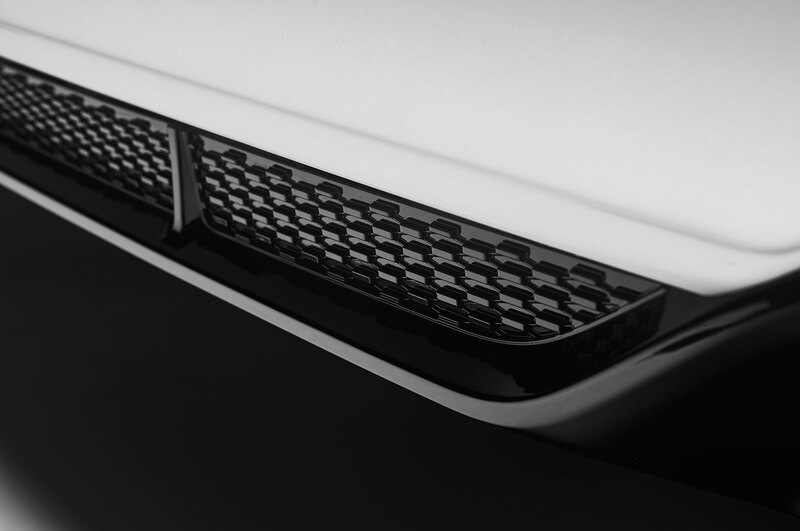 Head on, the grille appears to smile like a Cheshire cat with Triple-J LED headlamps for eyes above its side air intakes. 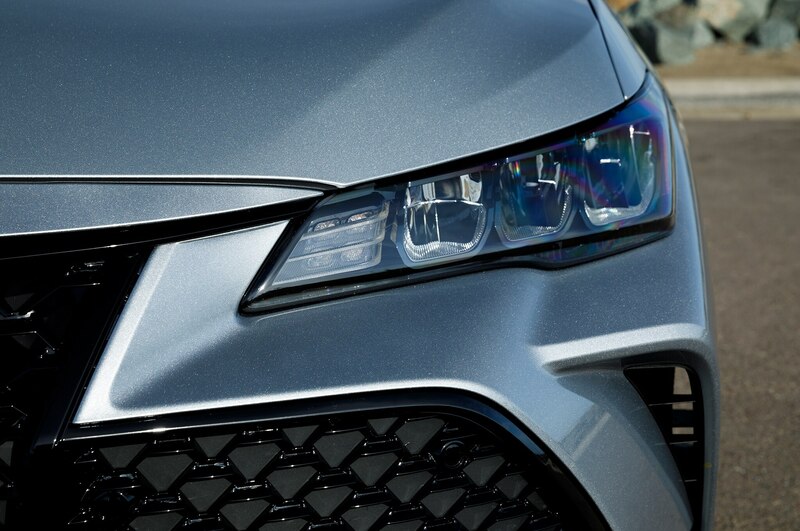 Limited and Touring models get slim LED lenses and LED cornering lamps. 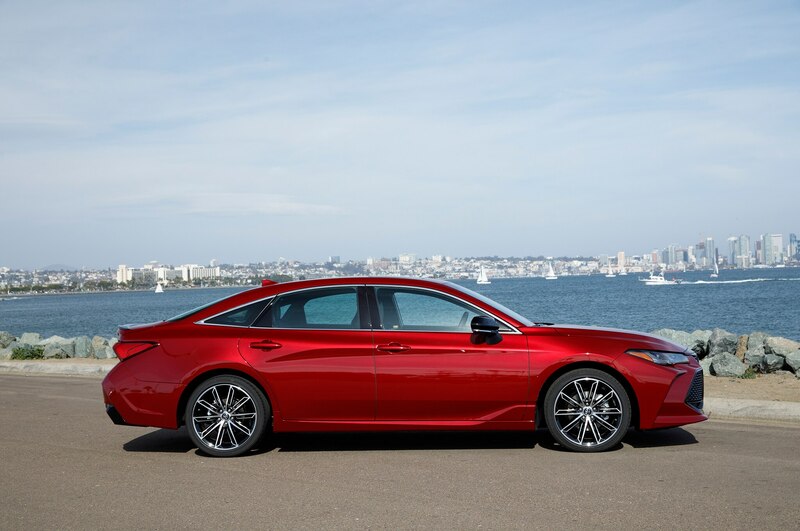 Behind the big grin, the sedan packs a trusty 3.5-liter V-6 engine that offers 301 hp and 267 lb-ft of torque. 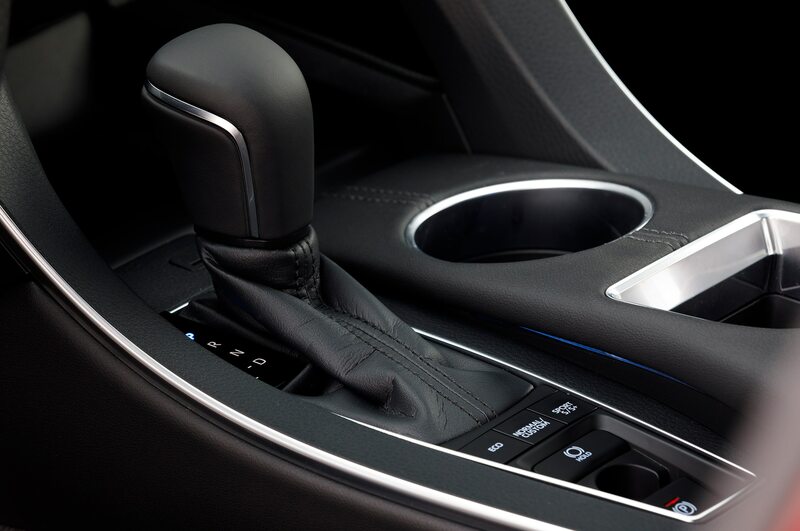 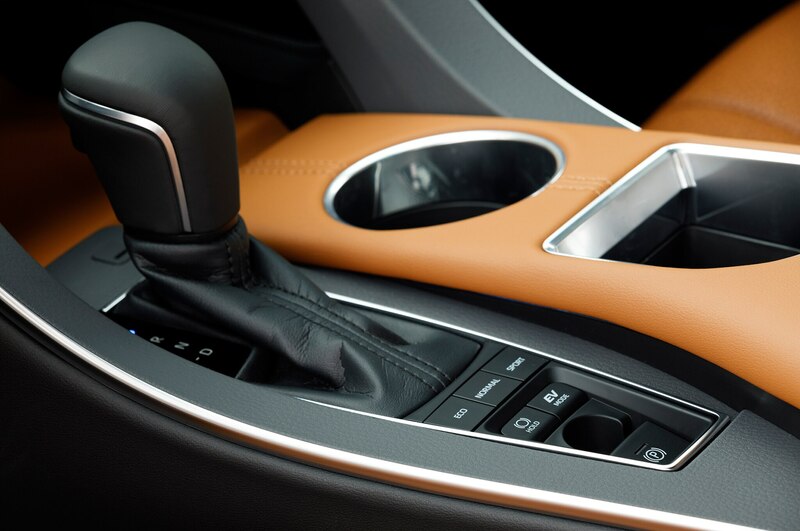 It’s mated to an eight-speed automatic transmission with front-wheel drive. 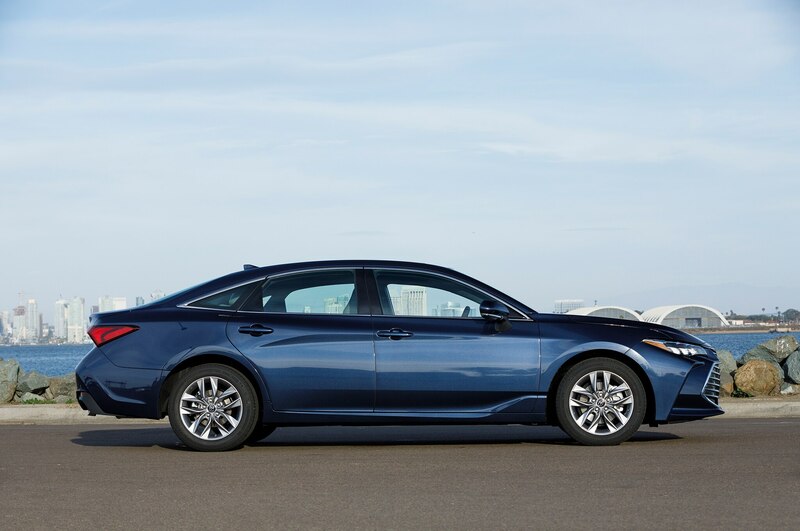 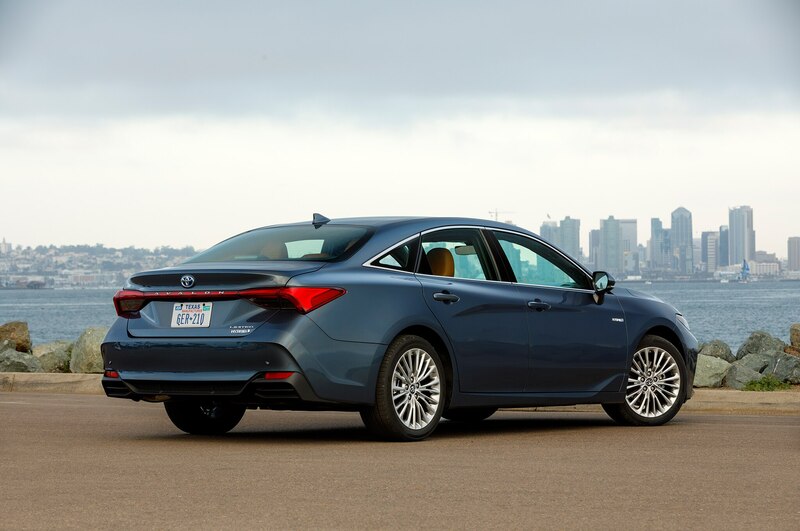 The Avalon Hybrid receives a 2.5-liter four-cylinder that offers 176 hp and 163 lb ft of torque. There are two electric motors that produce an additional 118 hp, for a combined system output of 215 hp. 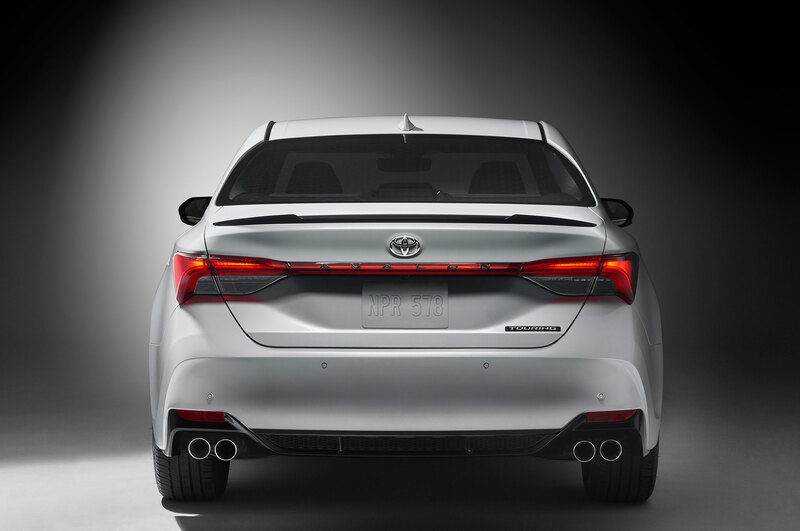 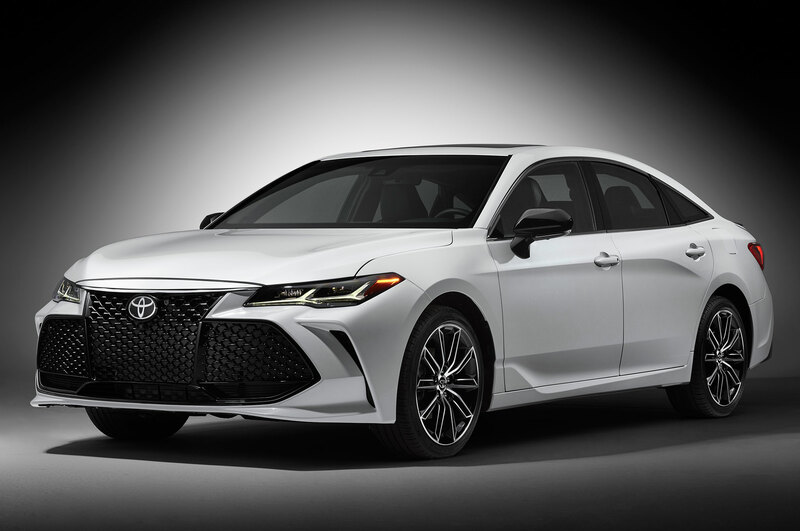 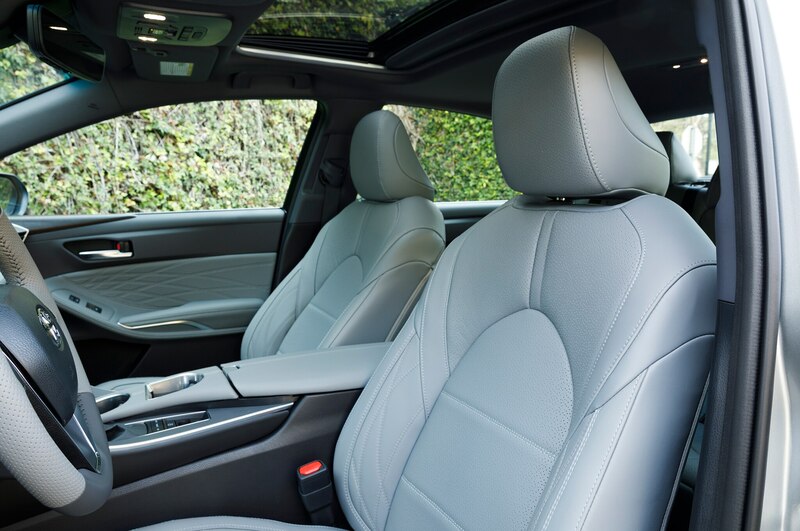 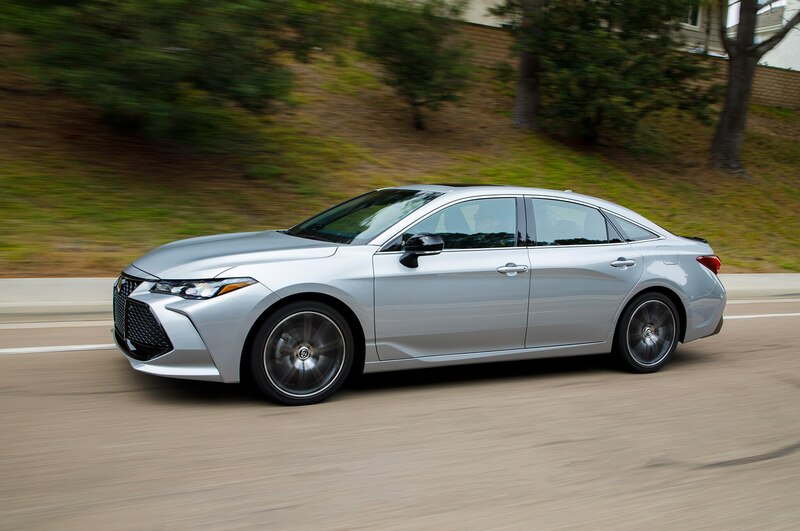 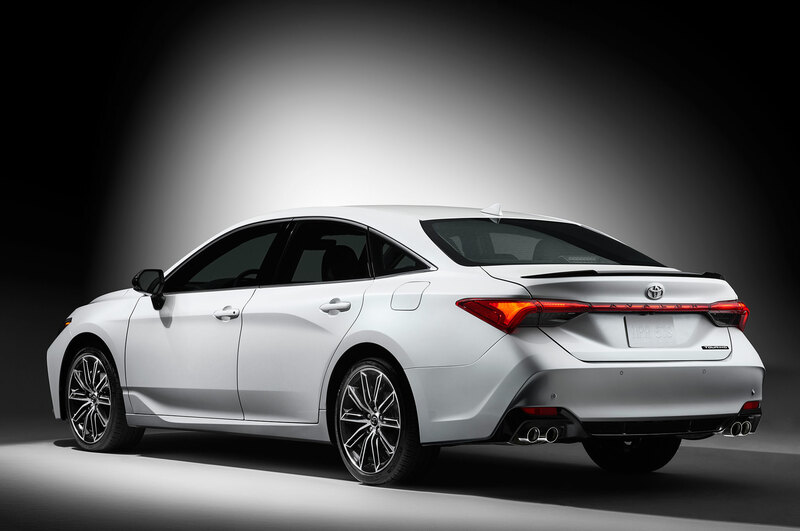 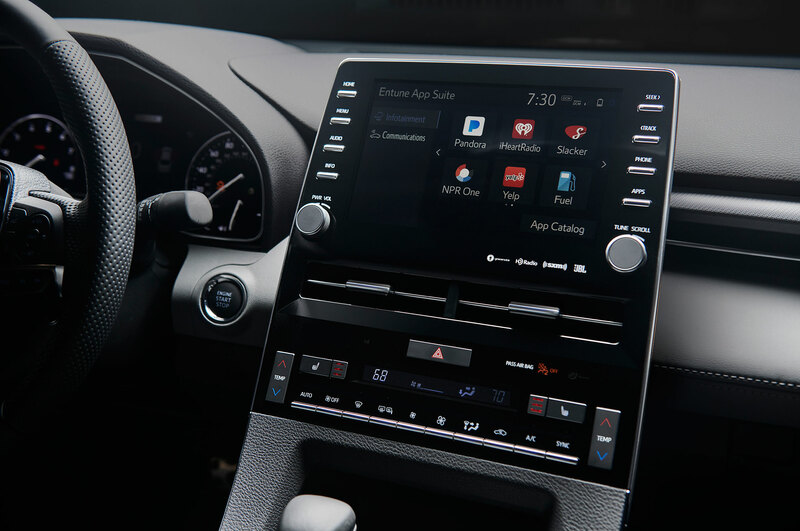 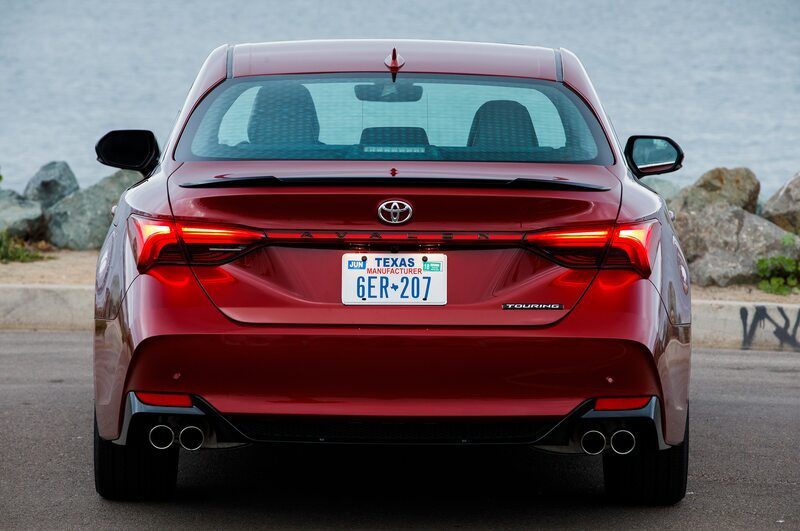 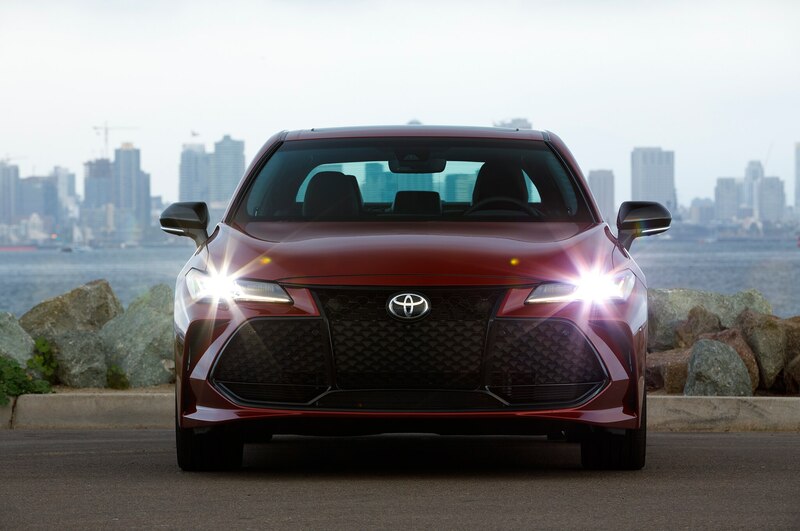 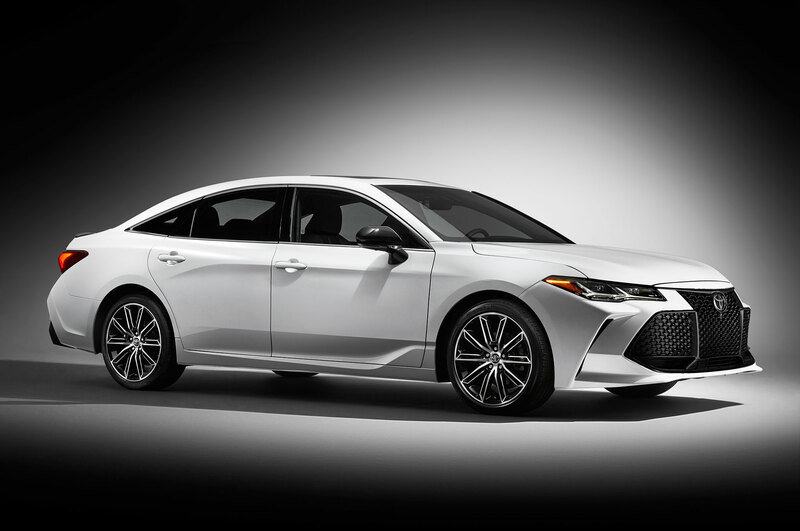 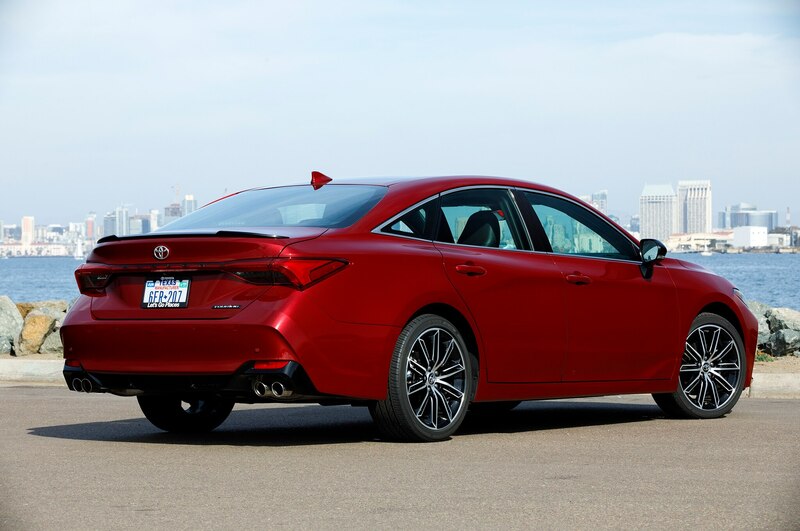 Toyota has built the Avalon in Georgetown, Kentucky since 1994 and the new look is a departure from the more conservative styling of the past. 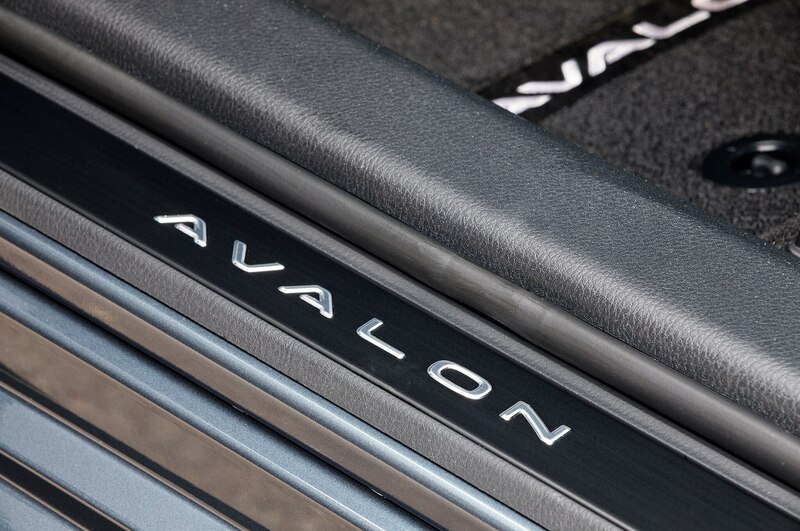 My most recent memory of the Avalon was as a passenger in the back seat of a third generation model. It was a weekend ride from Central Park West to the Hamptons. 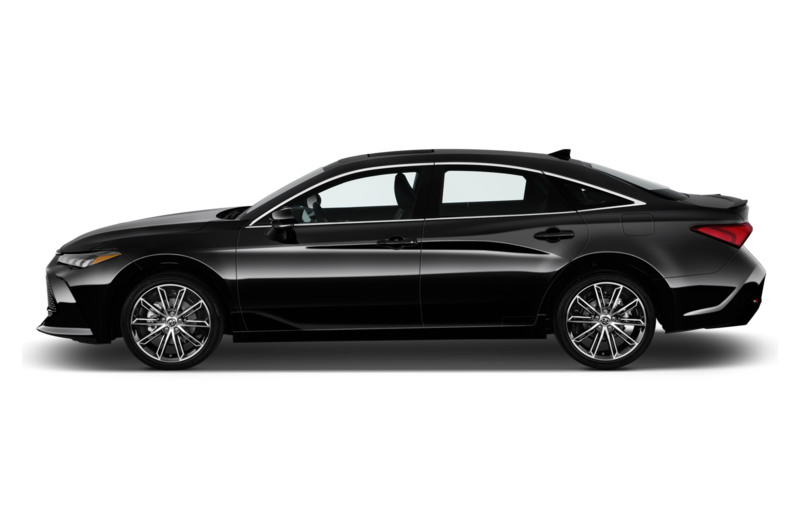 A friend’s step dad drove and when he pulled up in it, I was surprised he wasn’t driving a Mercedes-Benz or at the very least a Lexus. 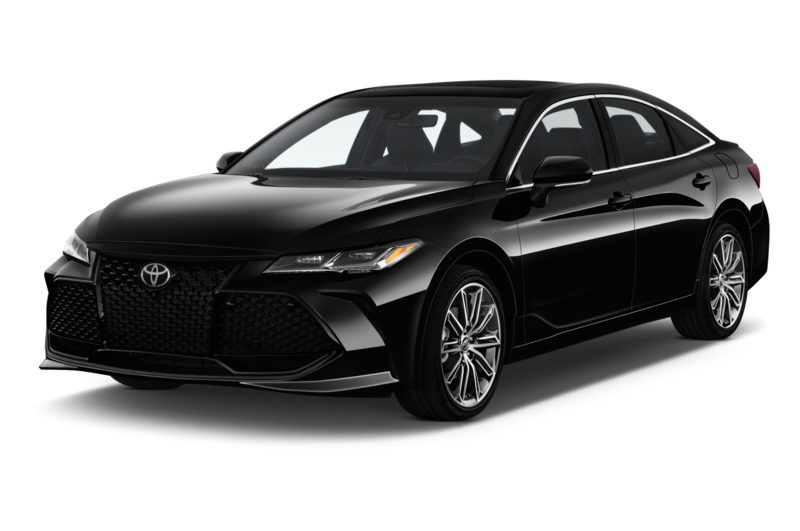 The conservative tastes and low-key profile of the car made it the perfect generic vehicle for big cities like Manhattan or Tokyo. 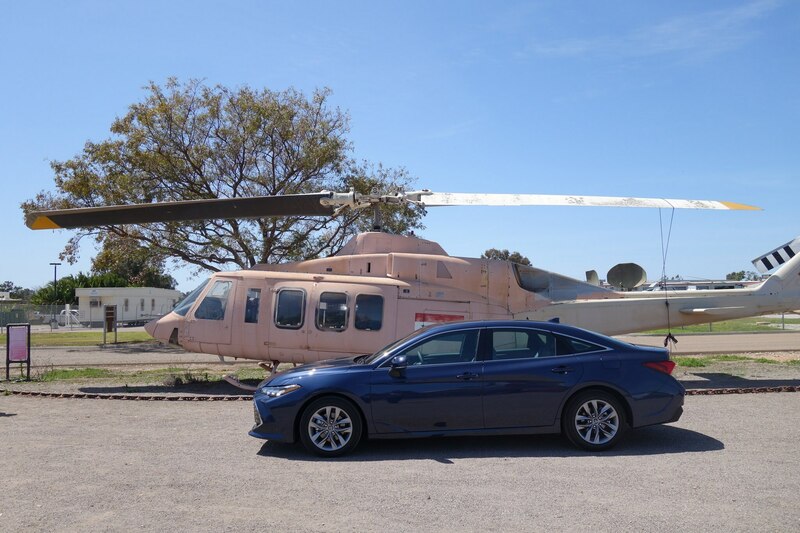 I recall it was a smooth ride, the legroom was exceptional, but the car itself was pretty much all beige on beige. 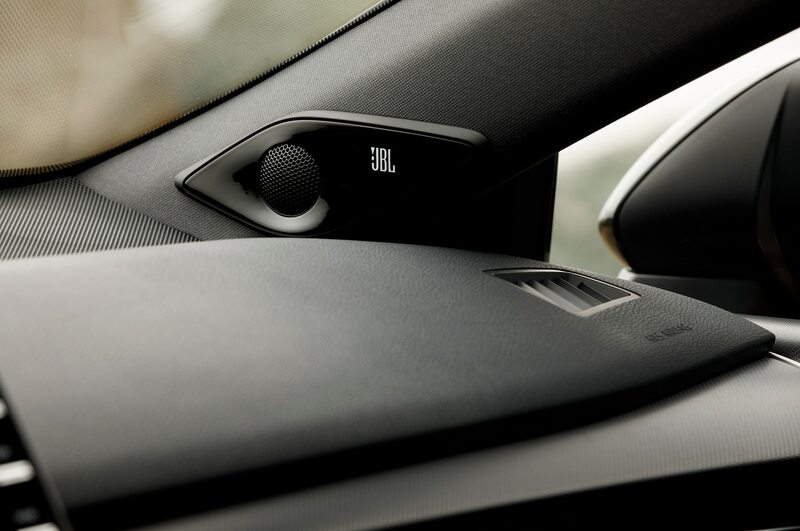 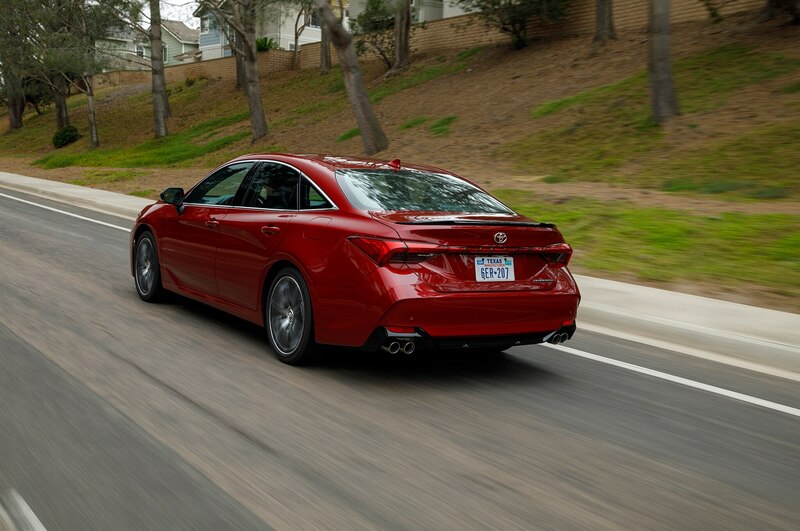 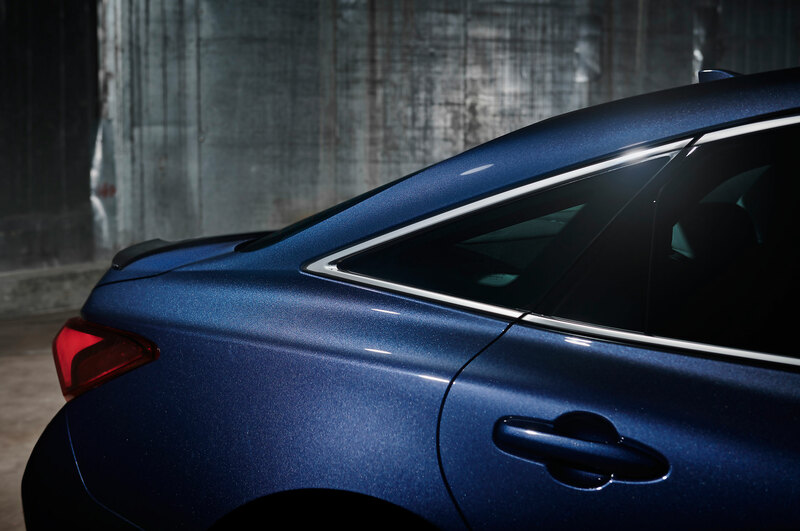 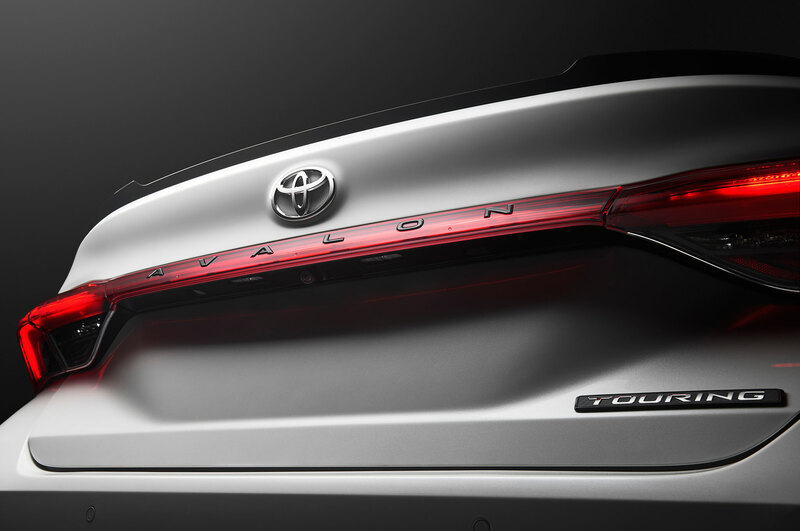 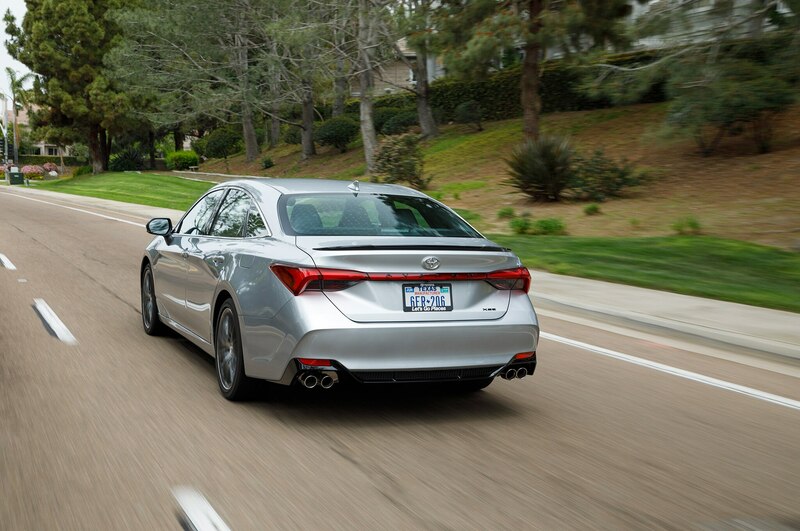 Today the Avalon is longer, lower, and wider—and its looks are louder than ever. 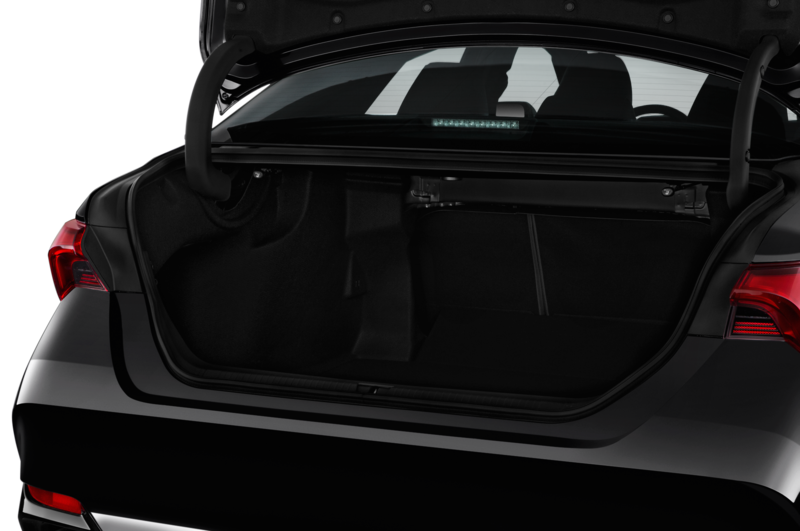 It measures 195.9 x 72.8 x 56.5 inches (L x W x H). The flashy, four-door has long creases along its flanks and the rear end looks like a samurai swung several deft blows at it with his blade. 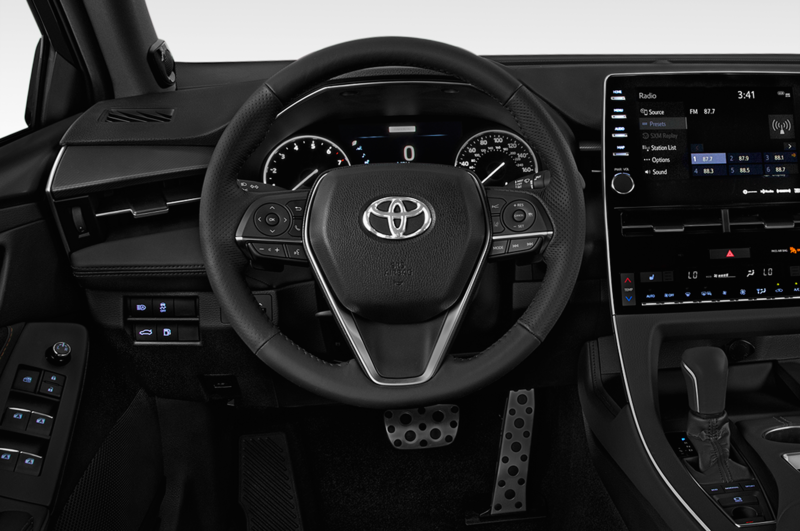 Automobile’s design critic Robert Cumberford might call it “tortured steel.” Toyota says it’s a “Technical Beauty” that’s made for consumers in their mid-thirties or younger—and the result is a somewhat daring and bold, sci-fi sedan for the 21st Century. 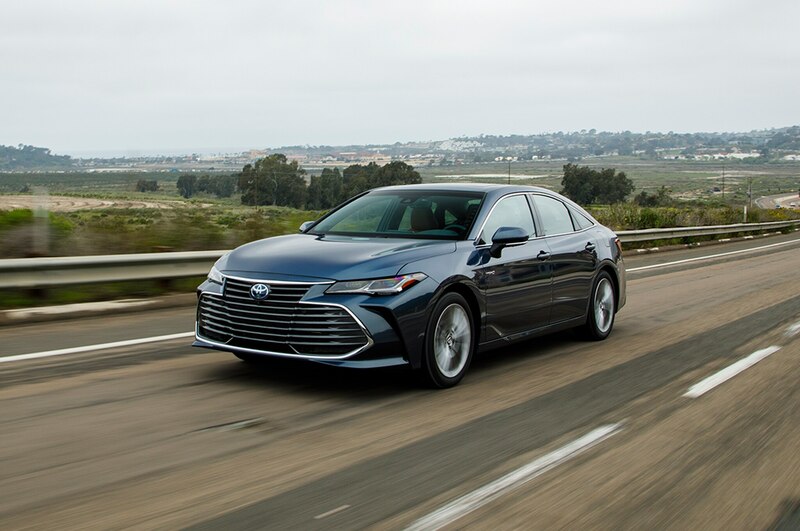 The gas-only 2019 Avalon is available in the aforementioned XLE, Limited, XSE, and Touring trims, while the Avalon Hybrid makes do without a Touring variant. 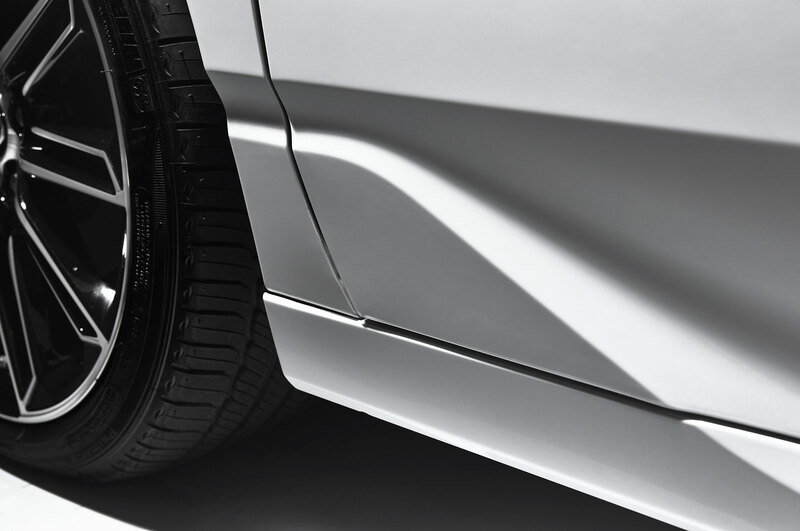 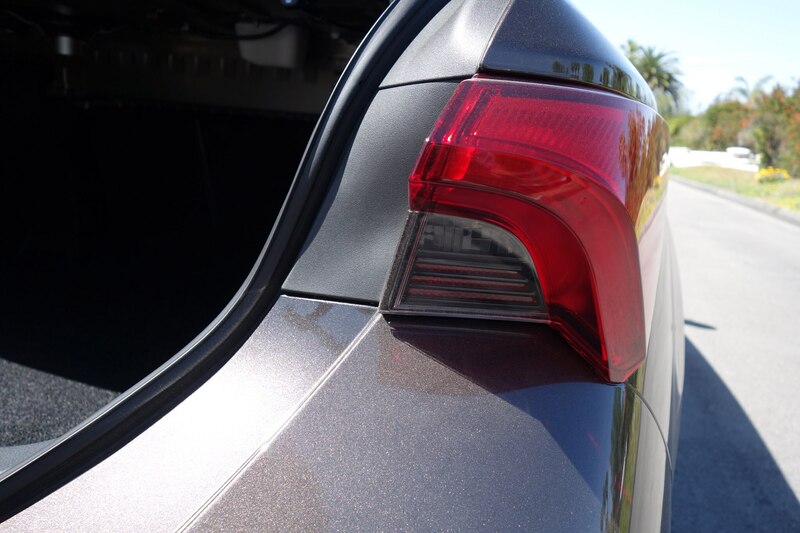 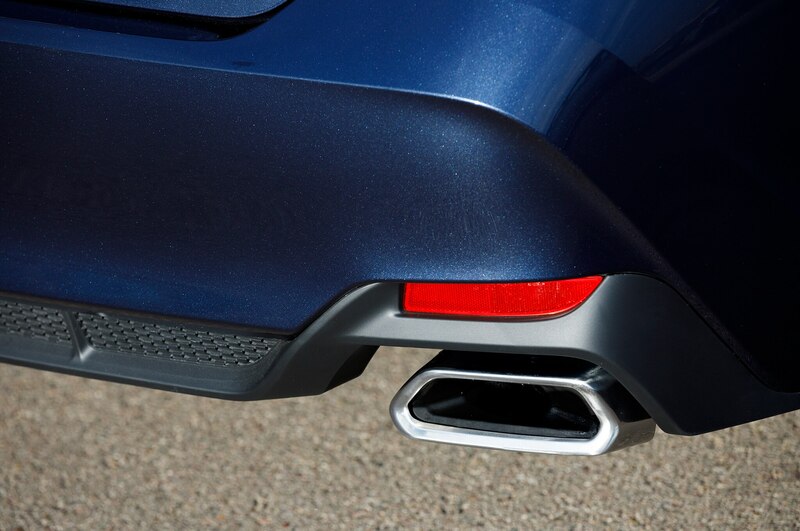 In addition to their grille, the sportier versions are distinguishable by quad exhaust tips and black spoilers on the trunk lid. 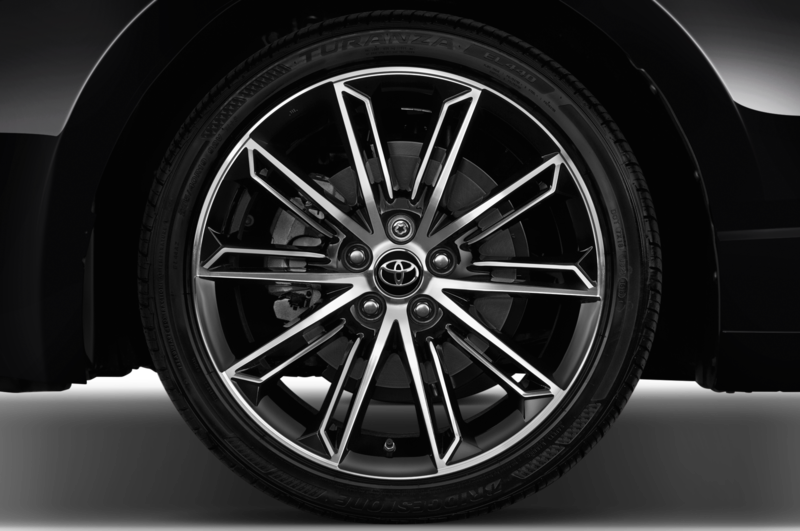 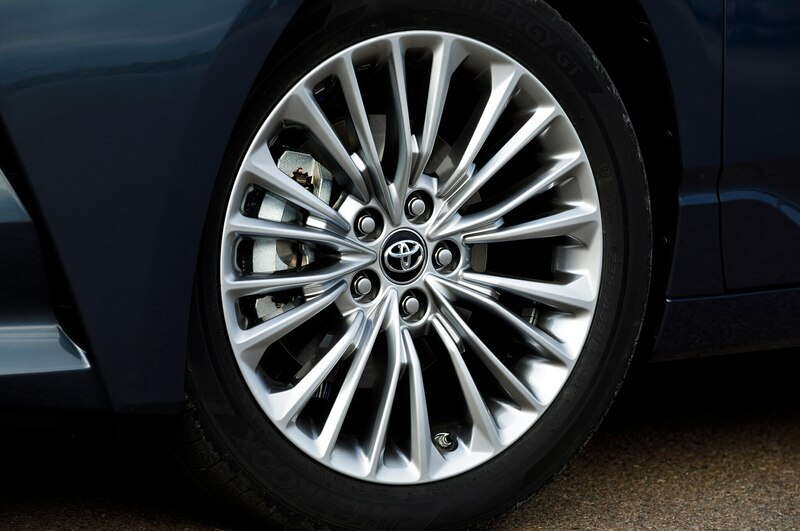 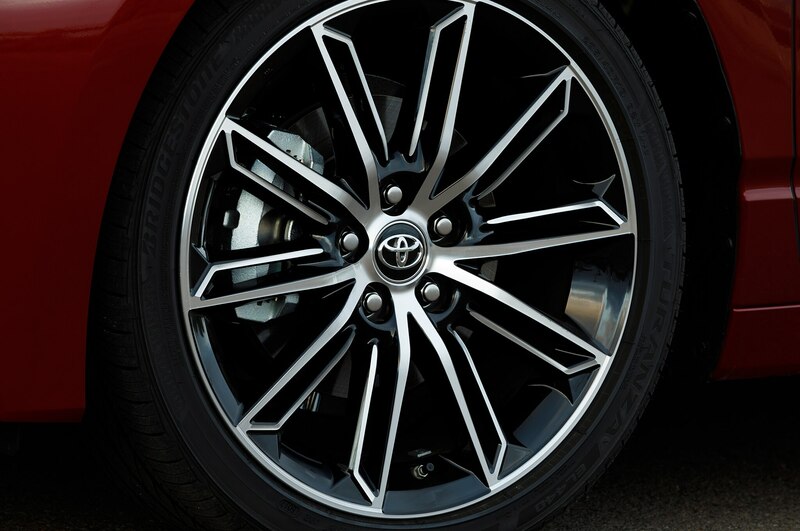 Depending on the trim, wheels are available in four styles and range from 17 to 19 inches in diameter. 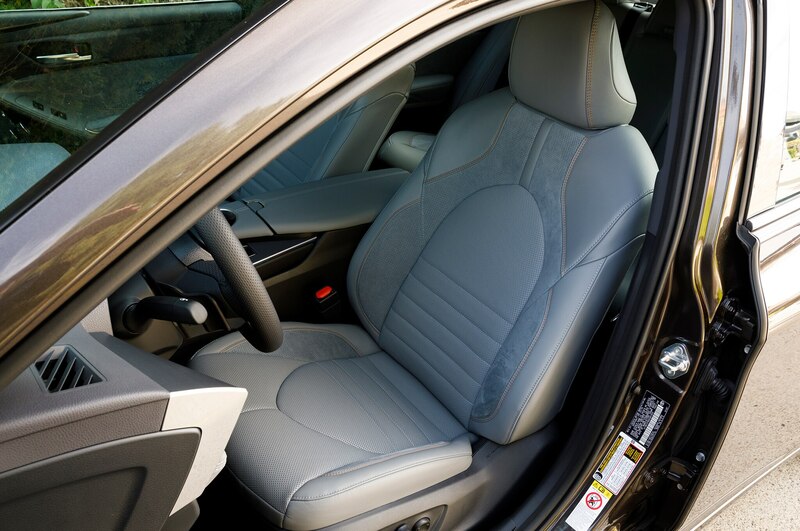 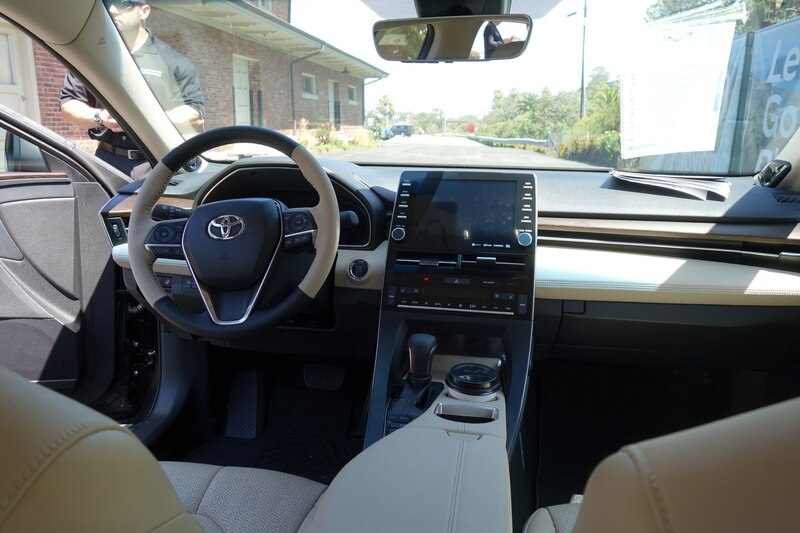 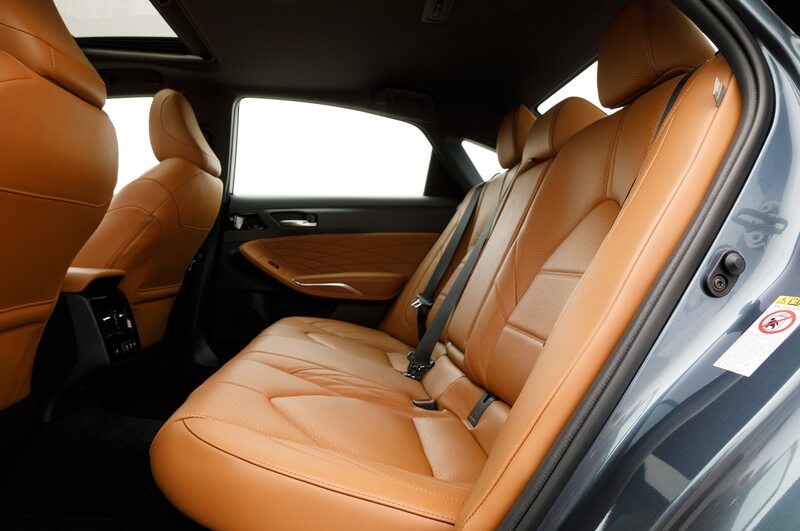 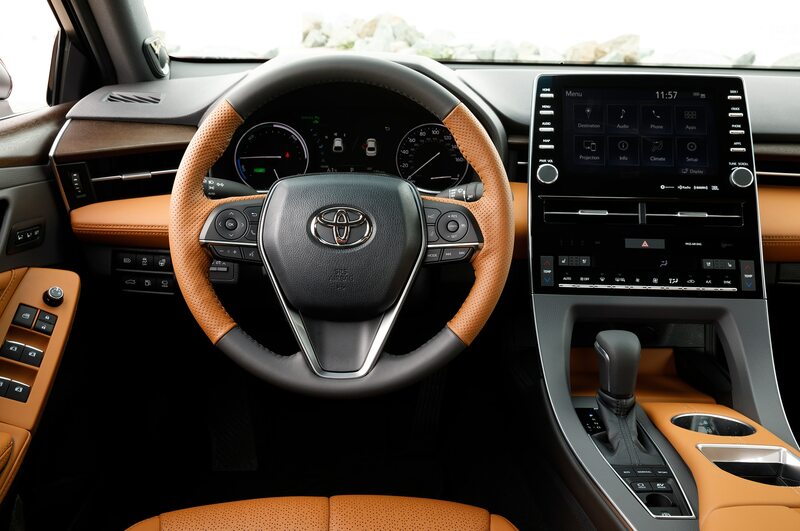 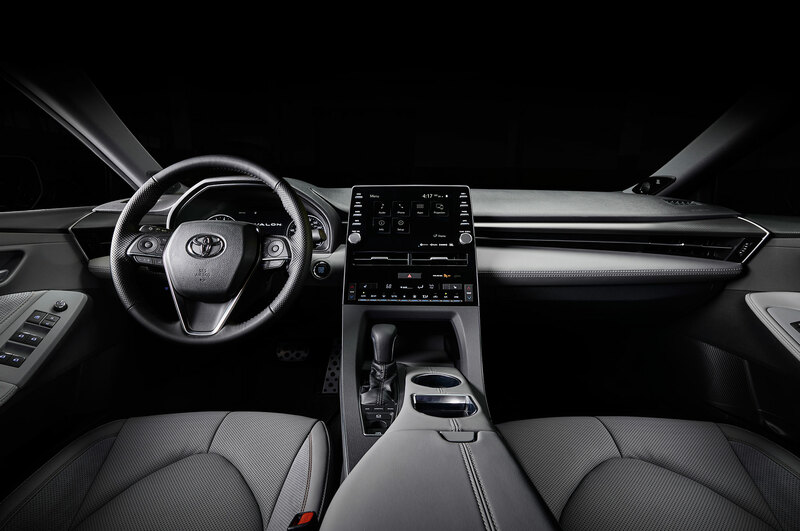 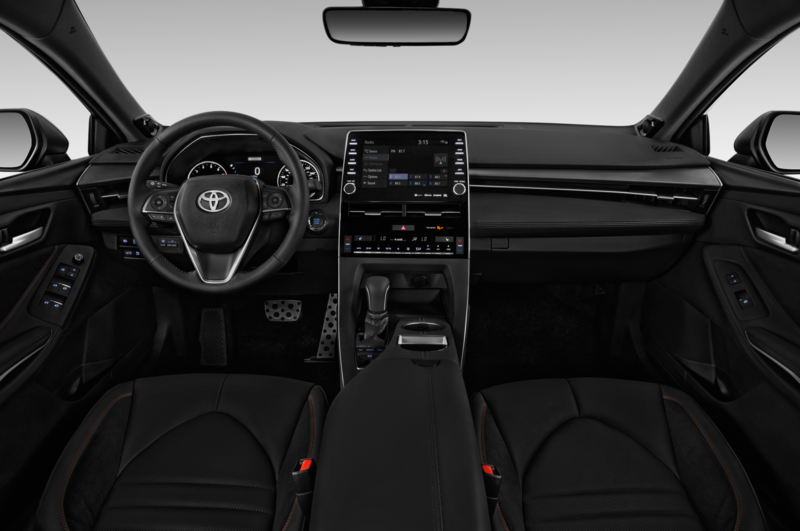 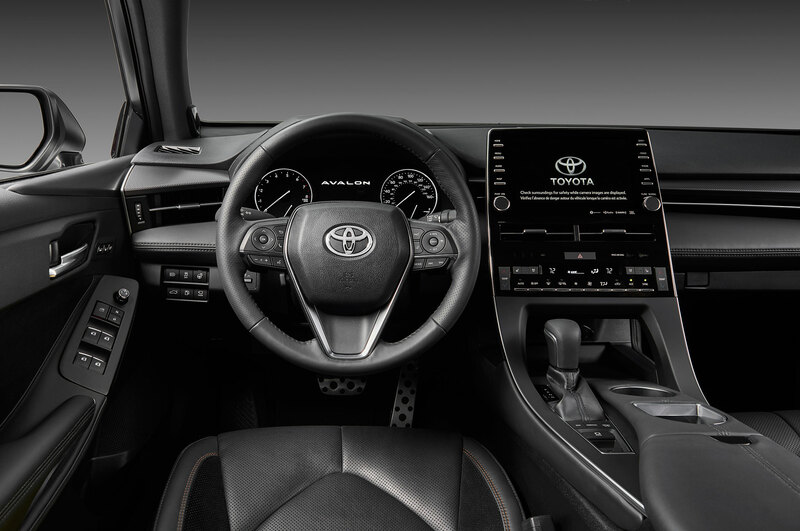 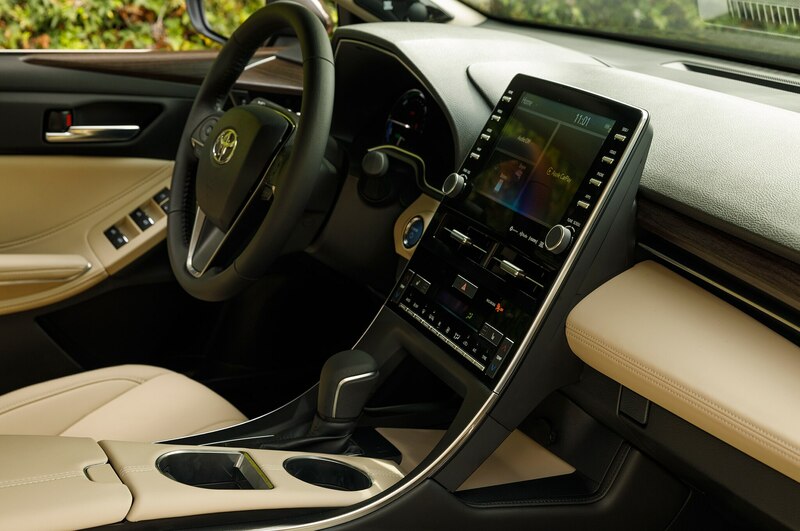 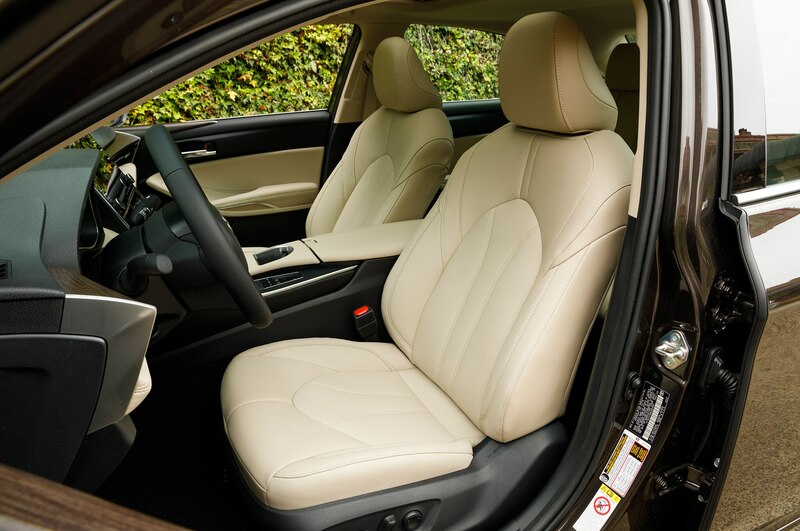 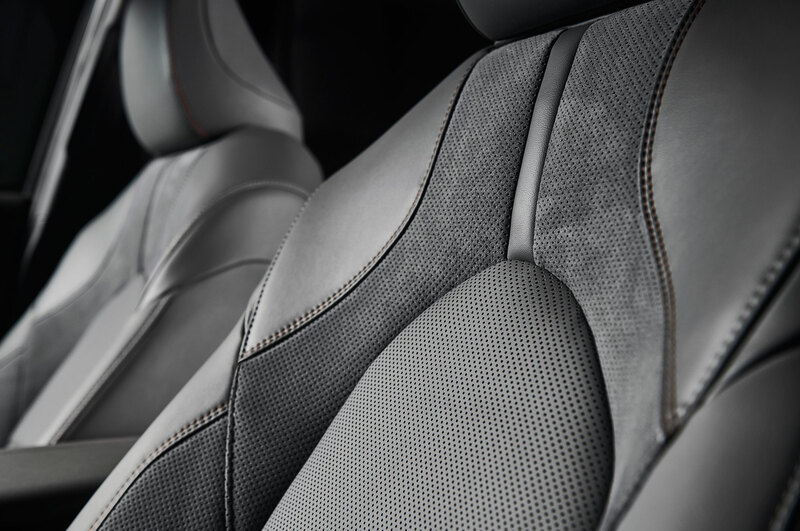 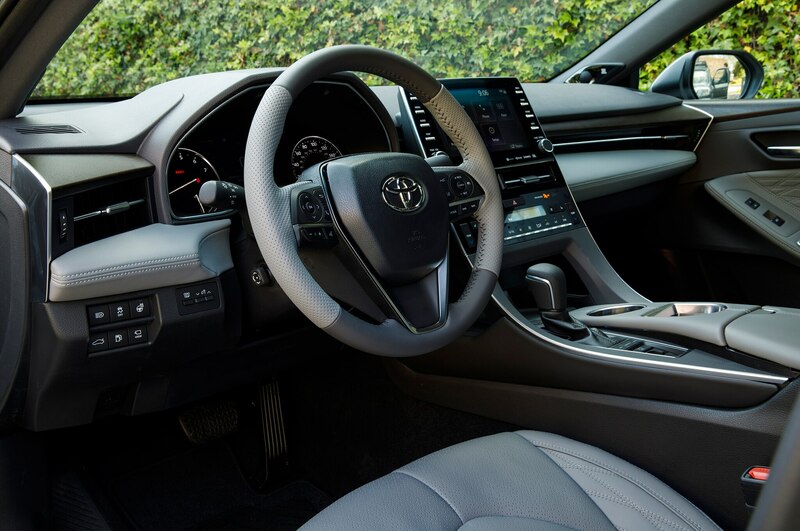 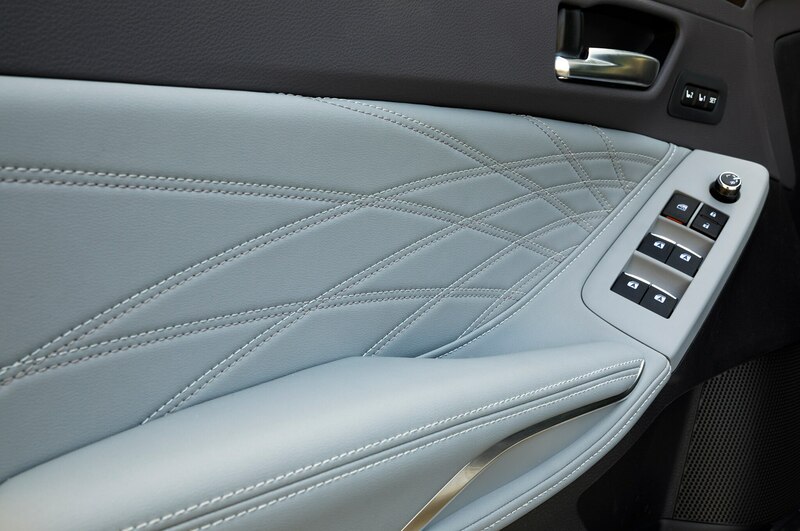 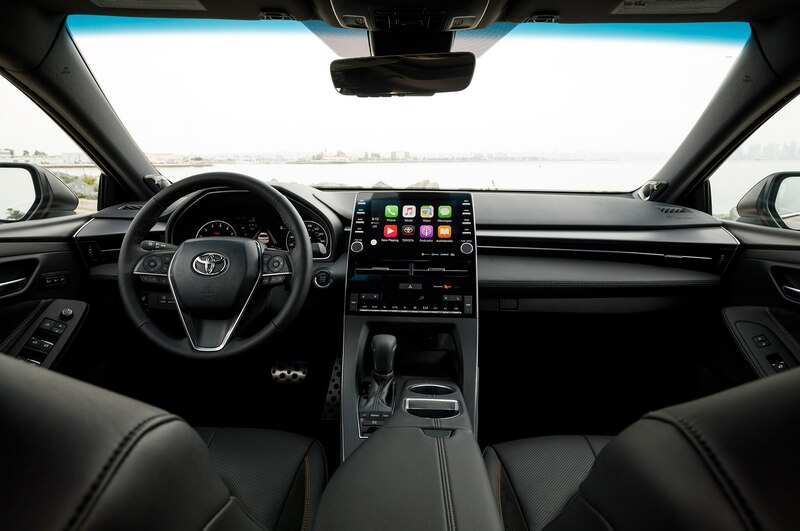 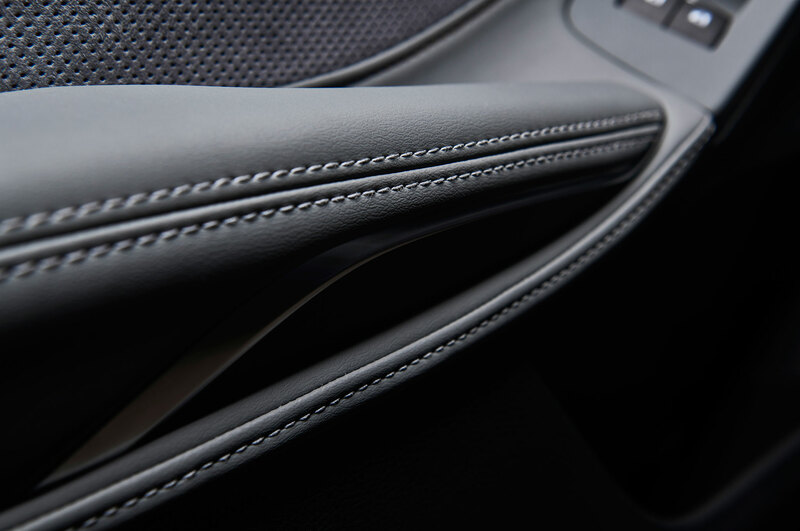 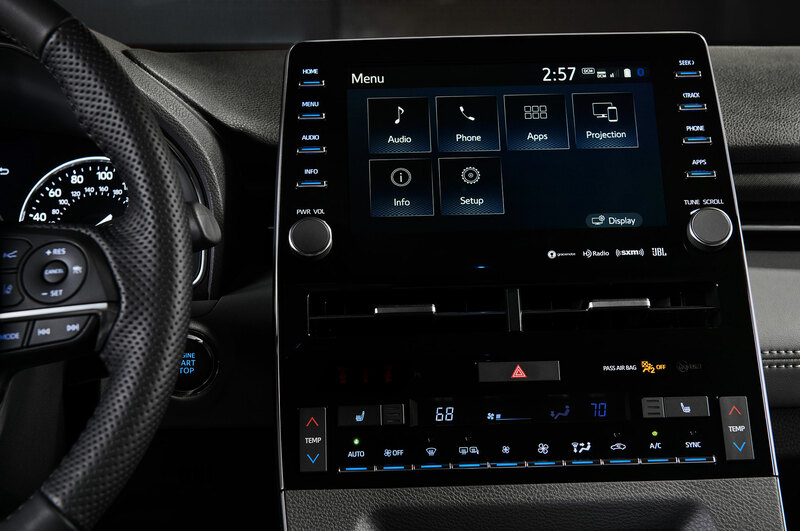 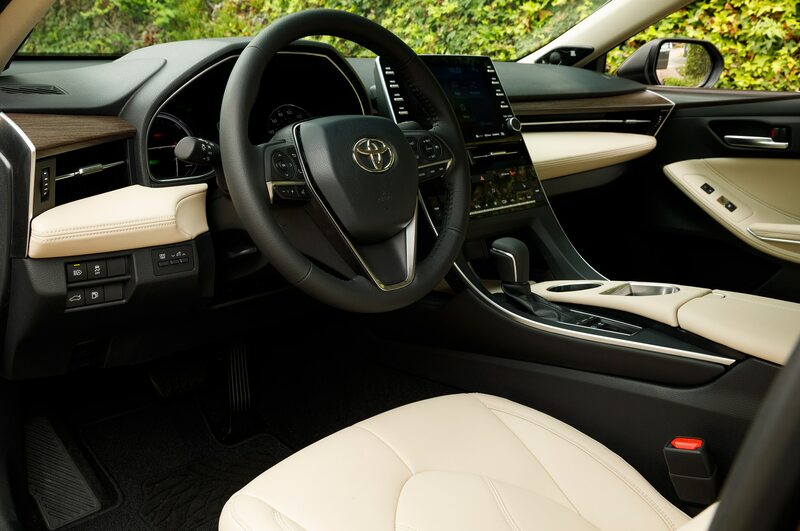 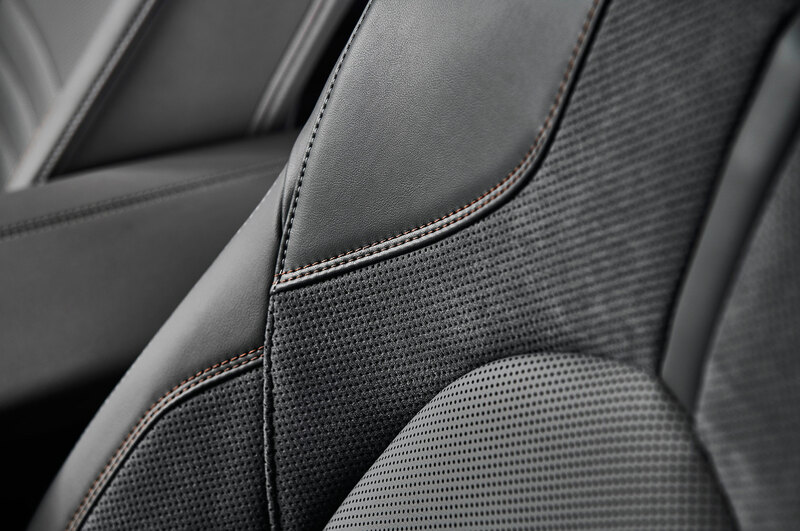 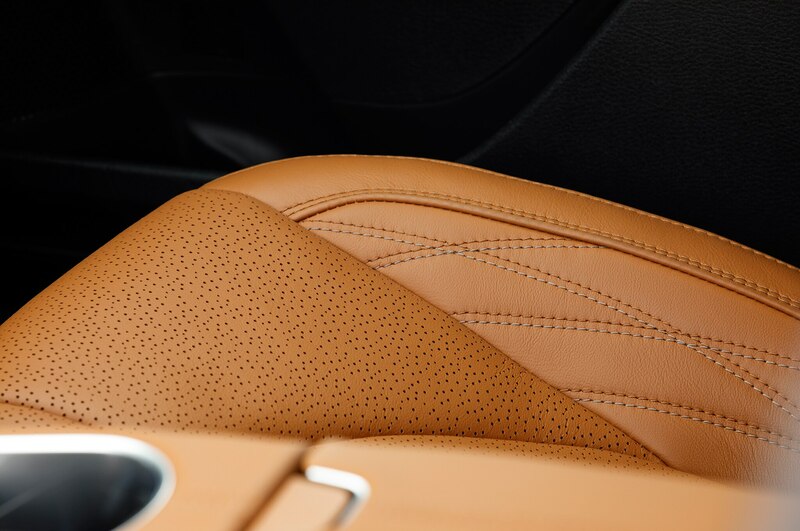 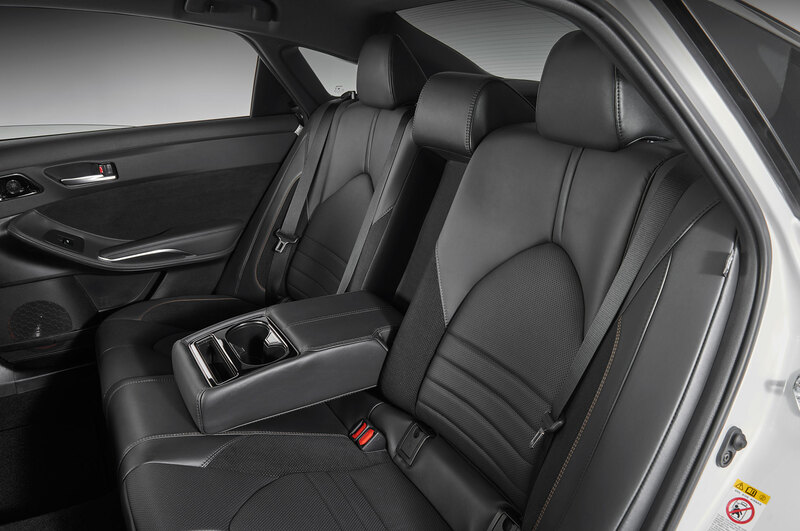 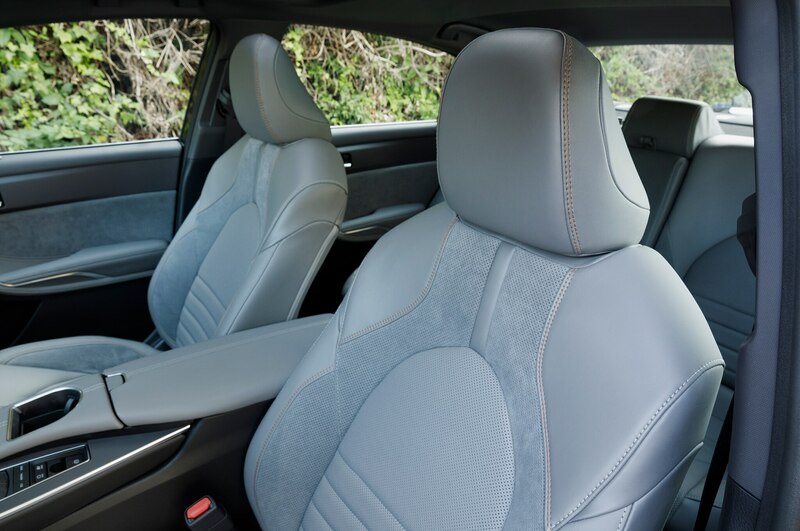 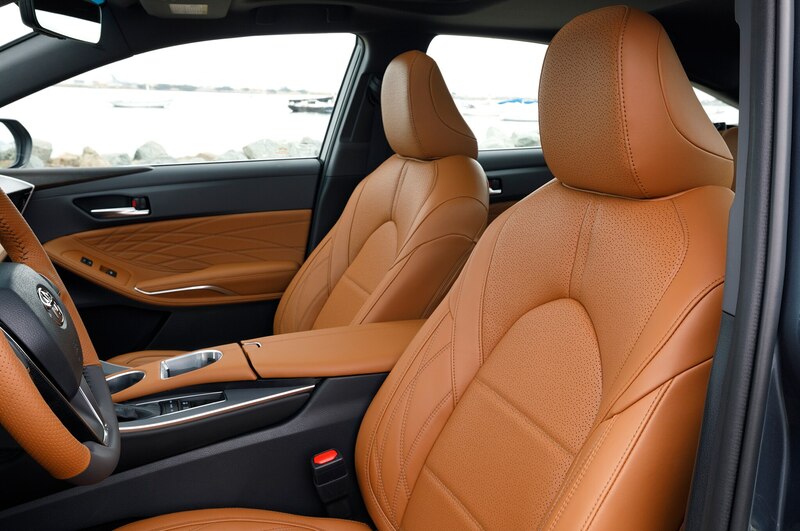 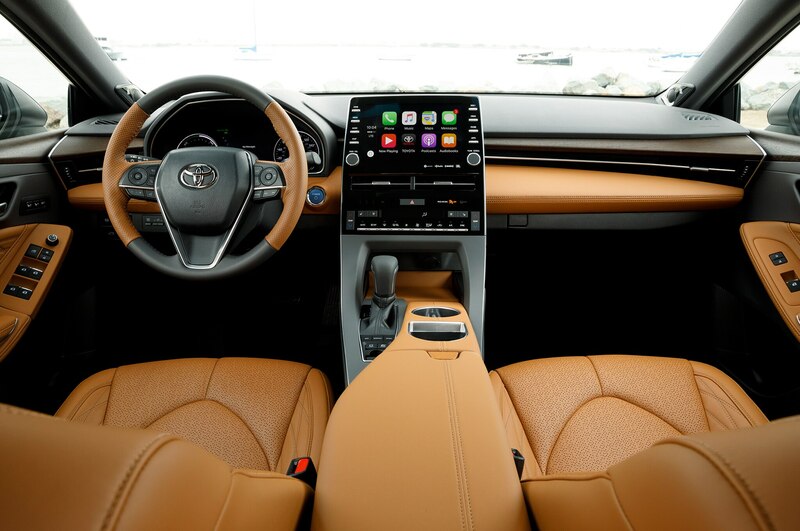 Inside, base model Avalons have rubbery, standard issue Toyota steering wheels while the better grades get leather wrapped two-toned ones that feel heartier as well as suede trimmed door inserts and plenty of soft touch materials. 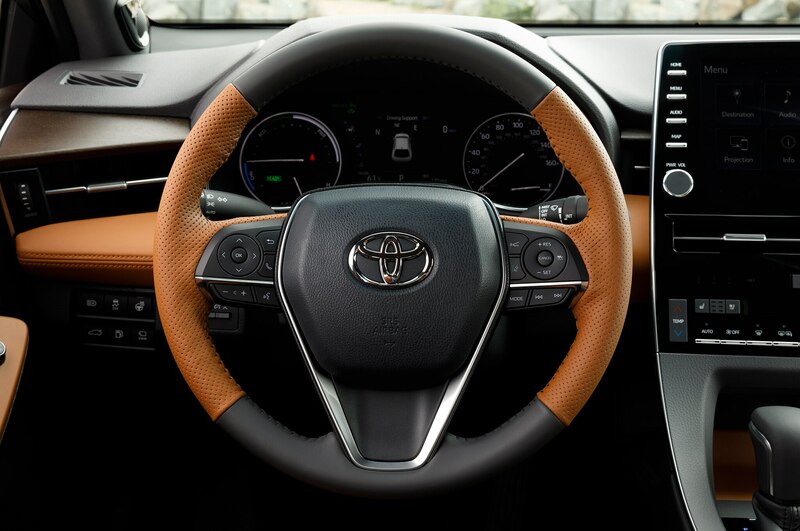 There’s also Yamaha wood or aluminum trim available as well as cognac leather seats—opt for the yak and you will not be disappointed. 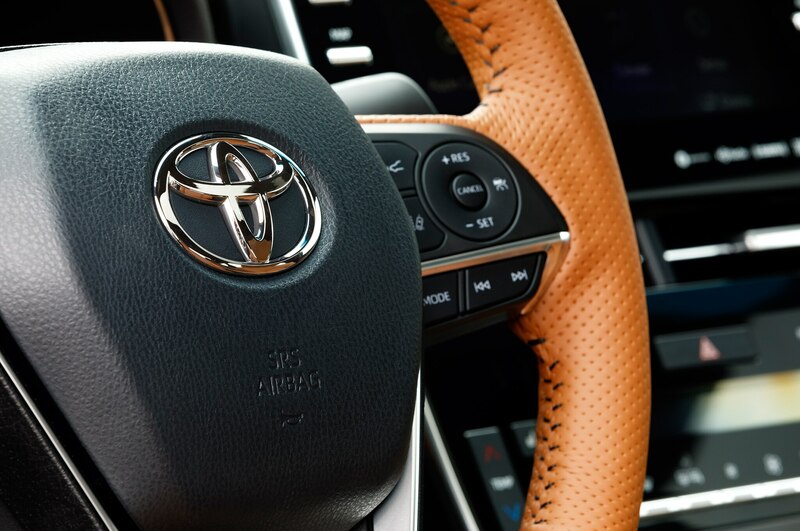 Out on the road, steering is loose and predictable, and feels only slightly stiffer in sport mode. 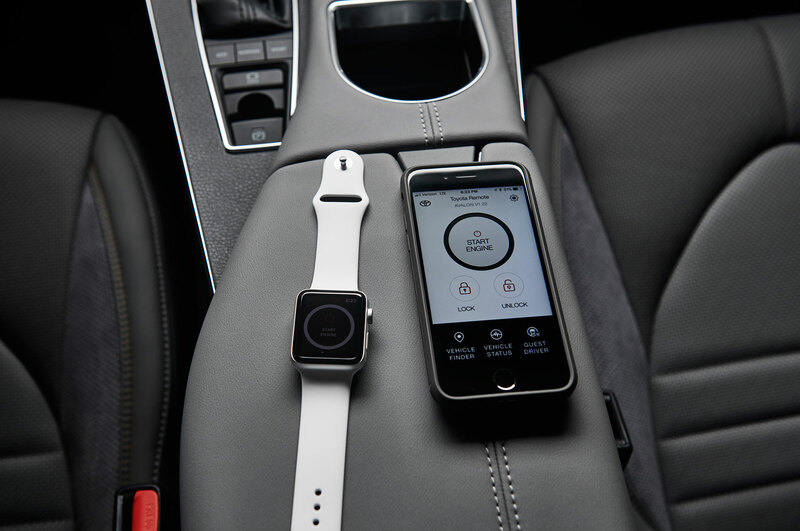 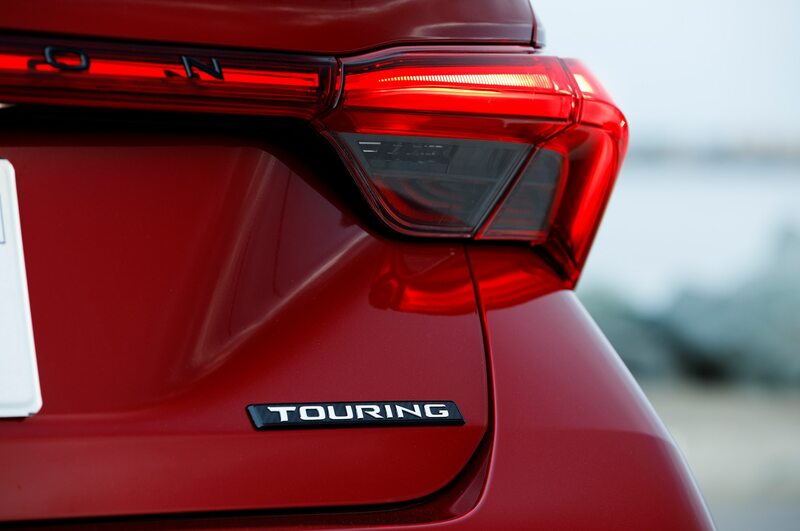 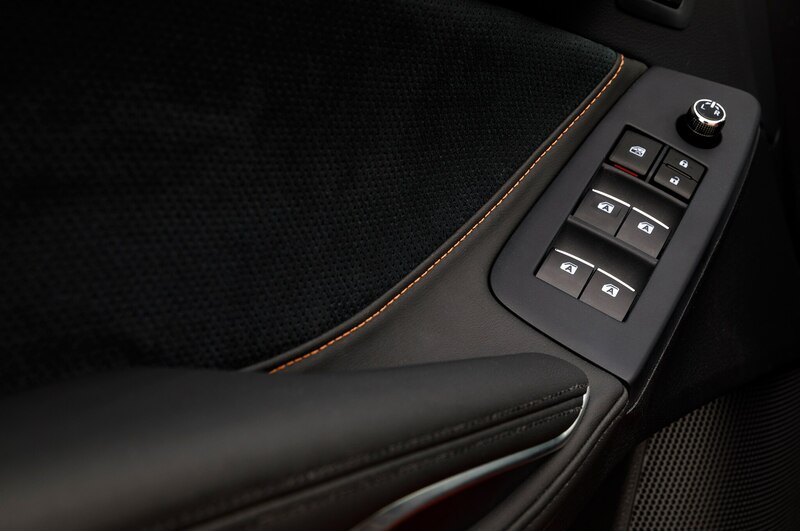 There are three drive modes to choose from—normal, eco, and sport (Touring gets a fourth—sport+.) 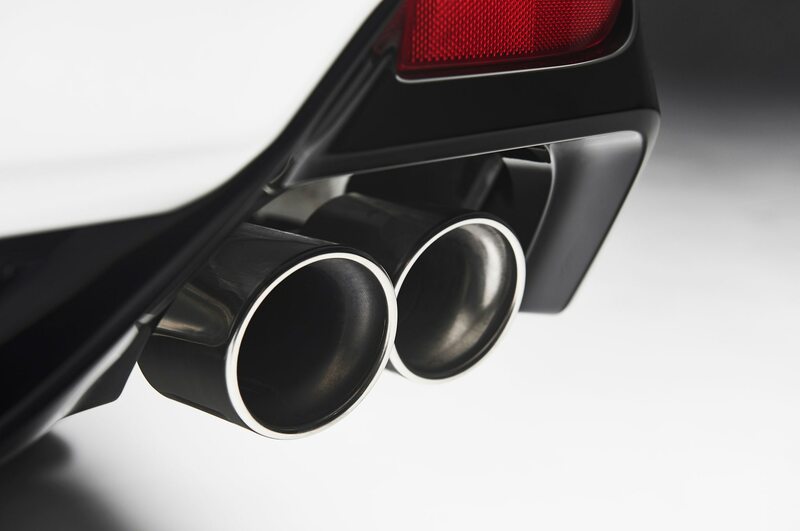 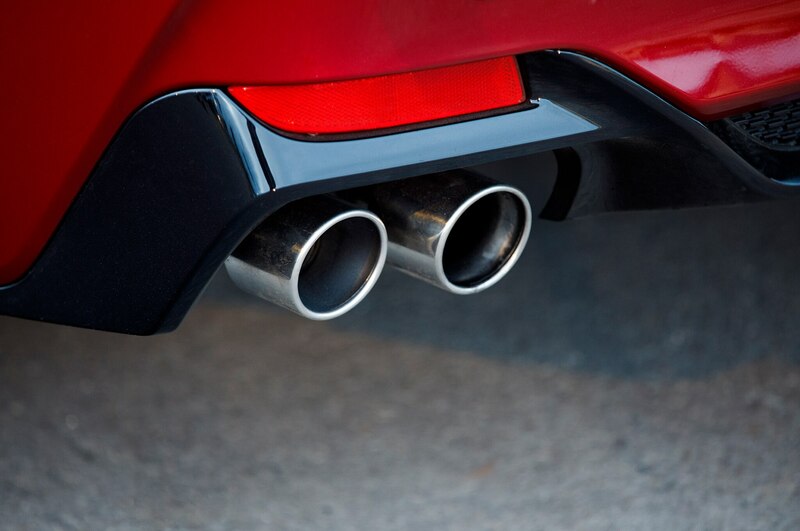 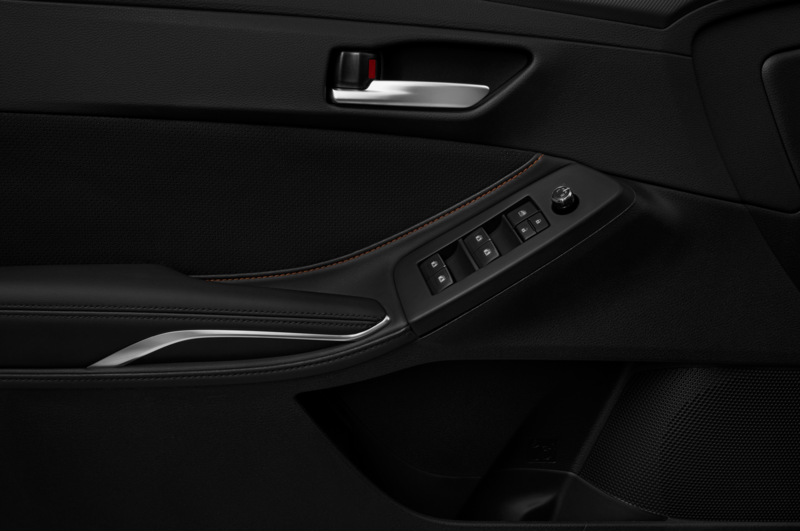 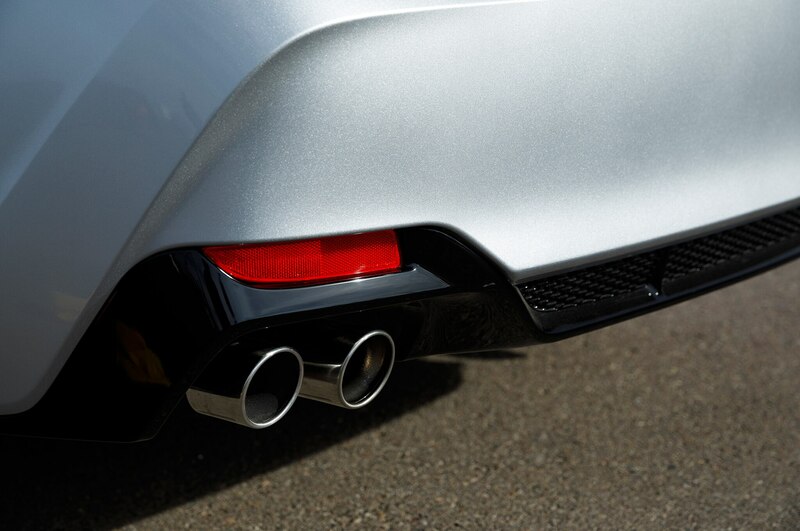 There’s a sport tuned exhaust available with engine sound enhancement and an intake sound generator for the Touring trim. 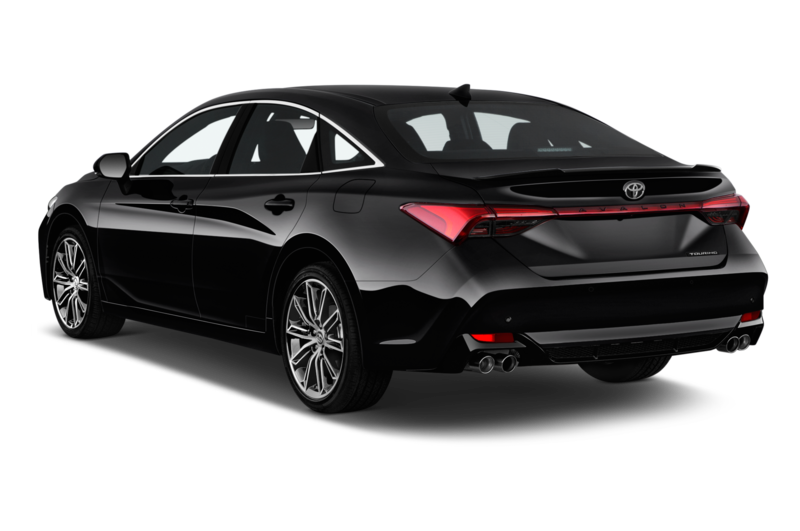 It’s also an option for the XSE V-6 model if you don’t mind the sound effects. 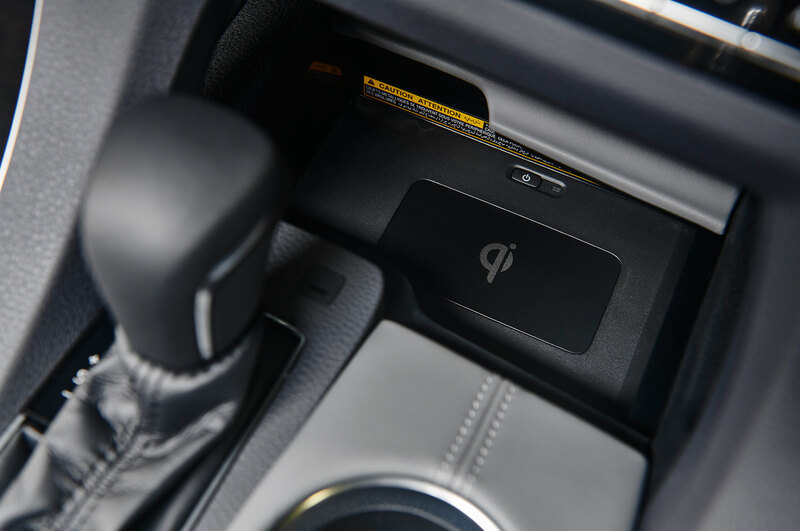 Wireless smartphone chargers are available—provided you don’t use an Android. 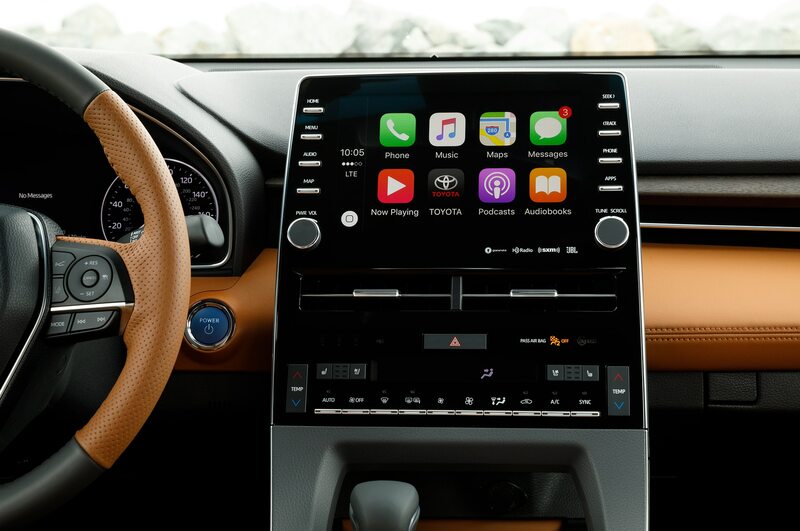 Instead, the Avalon is Amazon Alexa enabled and Apple CarPlay biased. 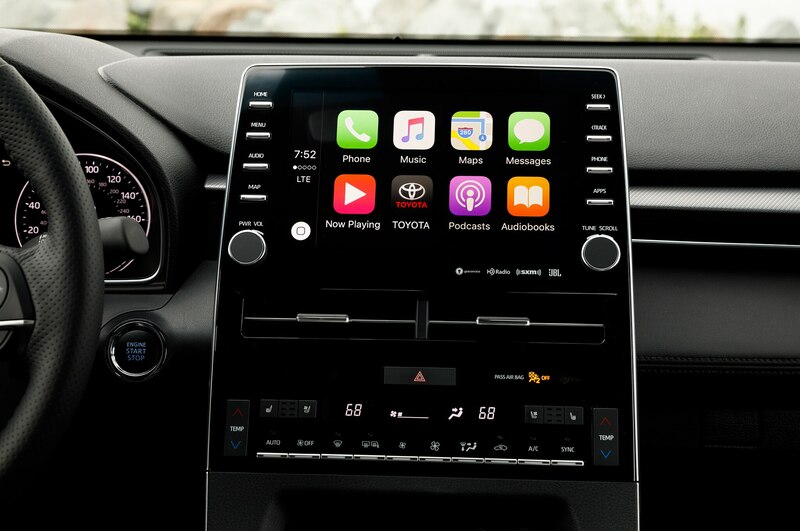 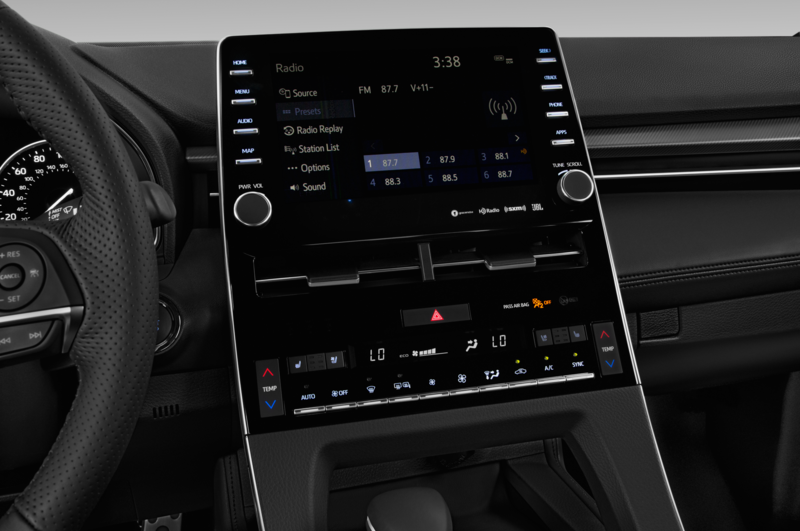 It features a 9-inch touch screen with volume and tuning controls. 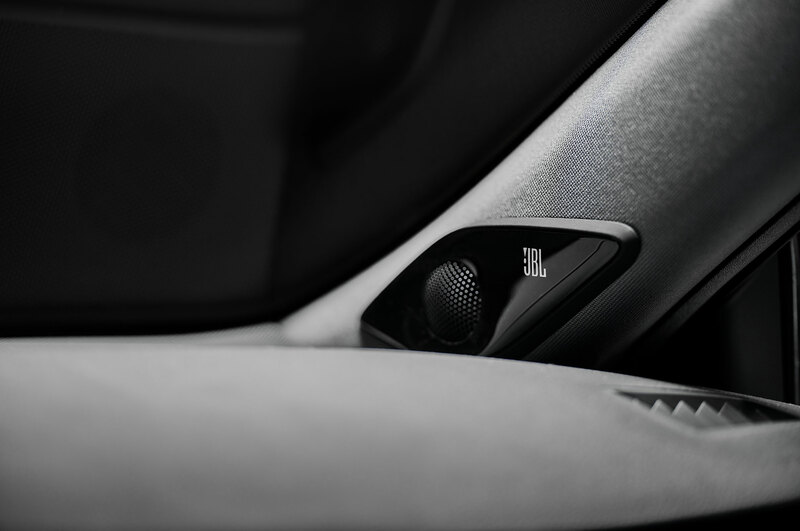 There are five USB ports and a 14-speaker JBL audio system with 1,200 watts is available that sounds superior to the standard 8-speaker system. 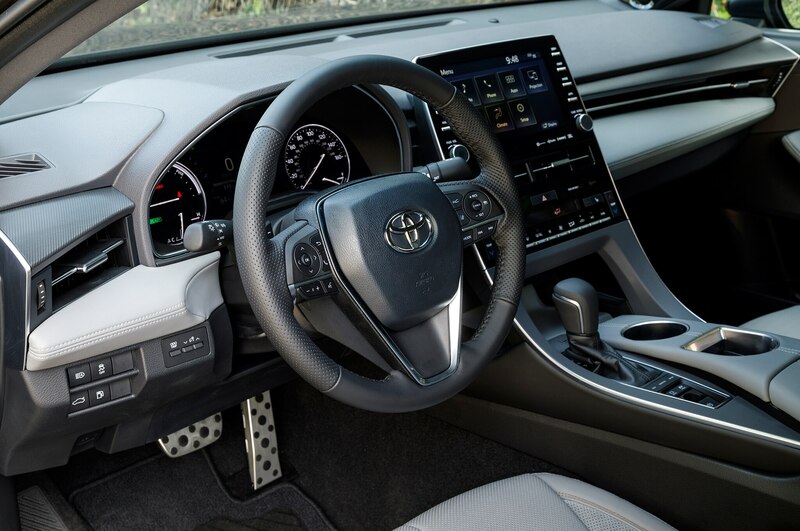 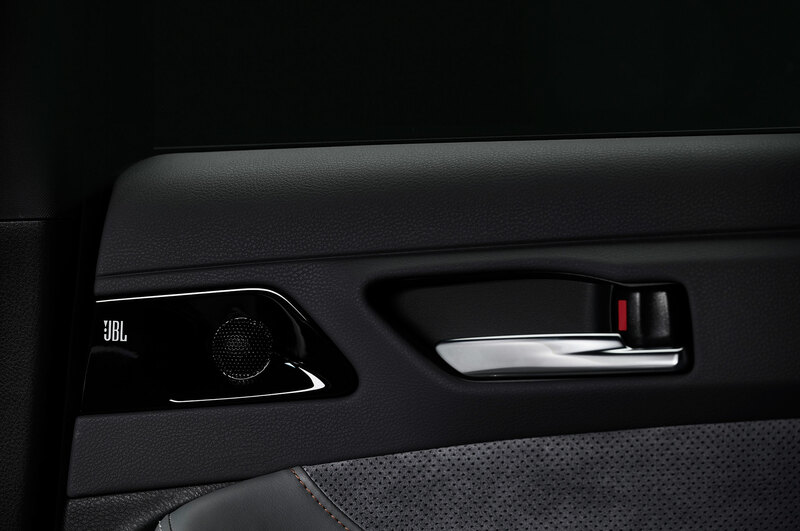 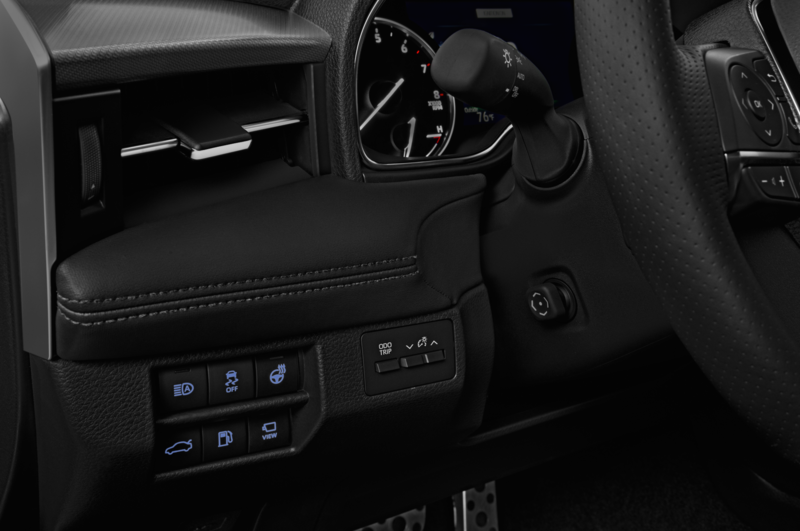 Standard safety goodies include pre-collision with pedestrian detection, dynamic radar cruise control, lane departure alert, steering assist, blind spot monitor, and more. 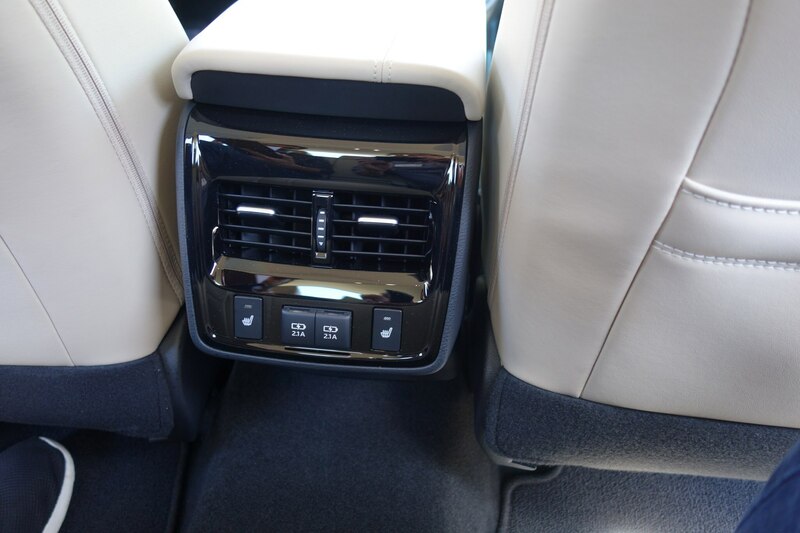 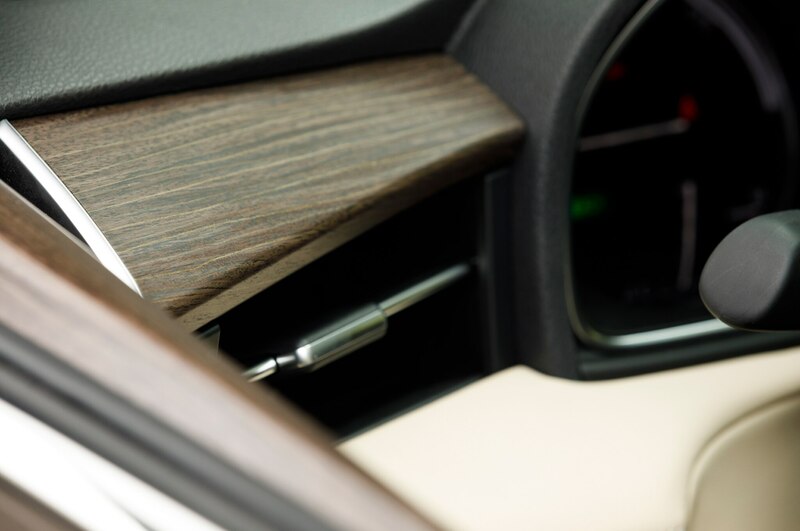 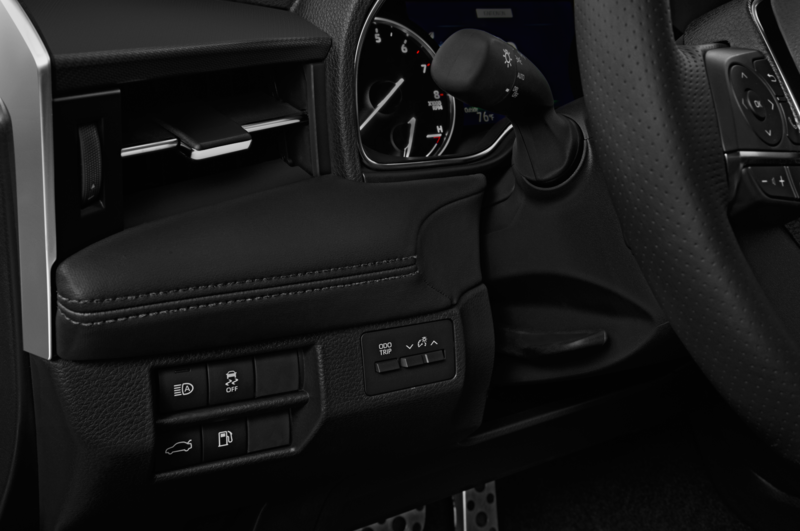 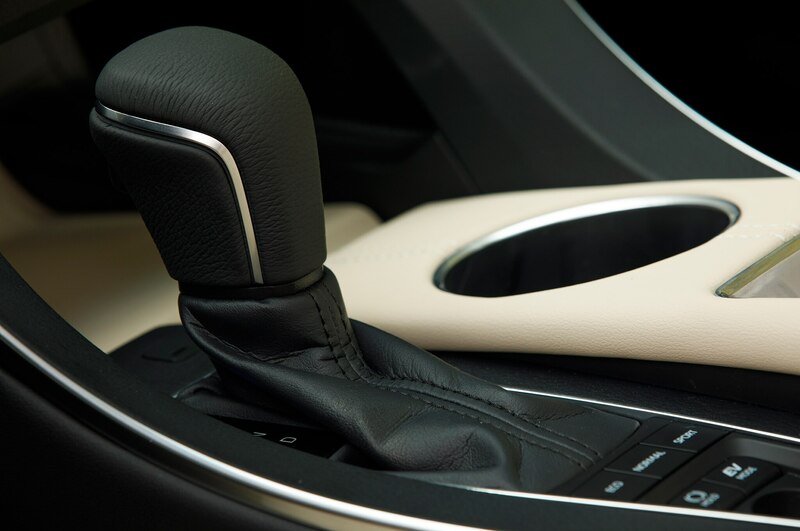 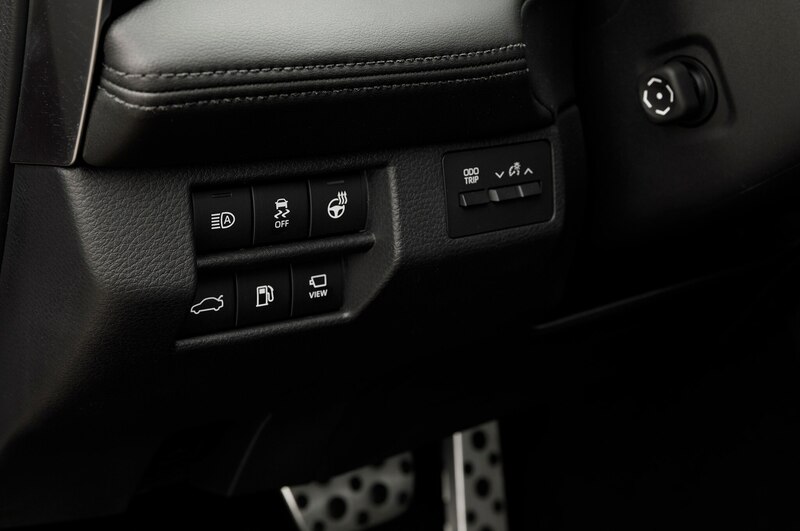 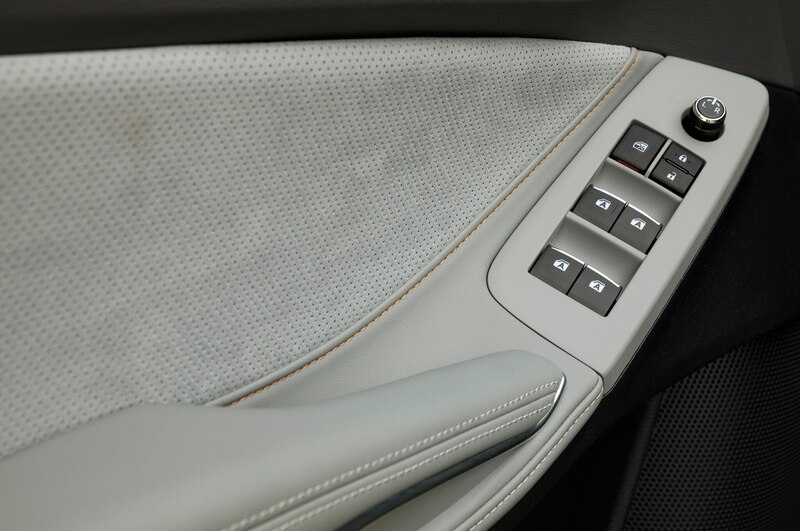 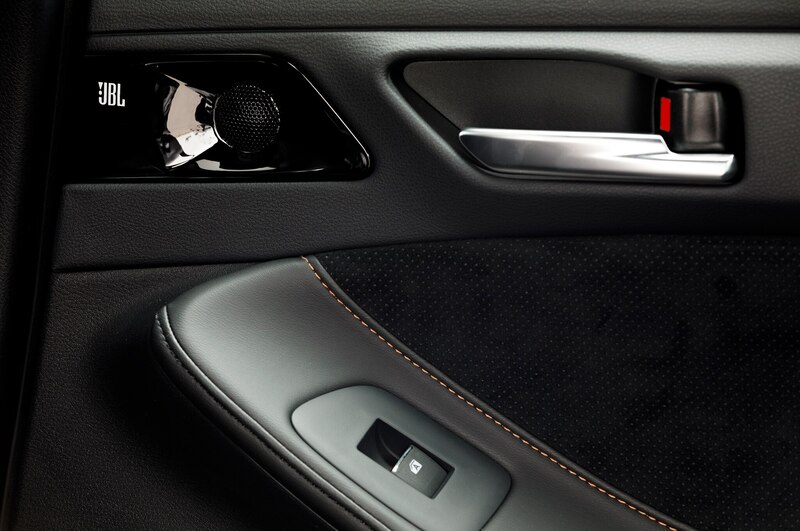 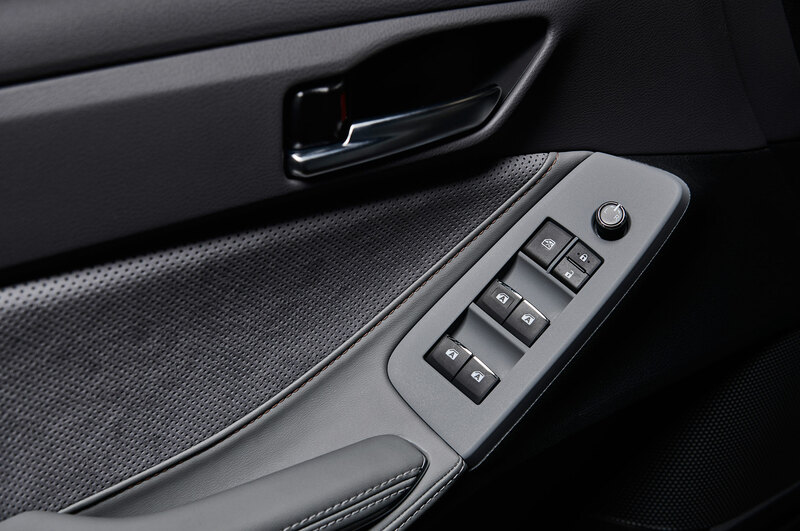 The electric parking brake with brake hold is standard on all models and is extremely handy at traffic lights. 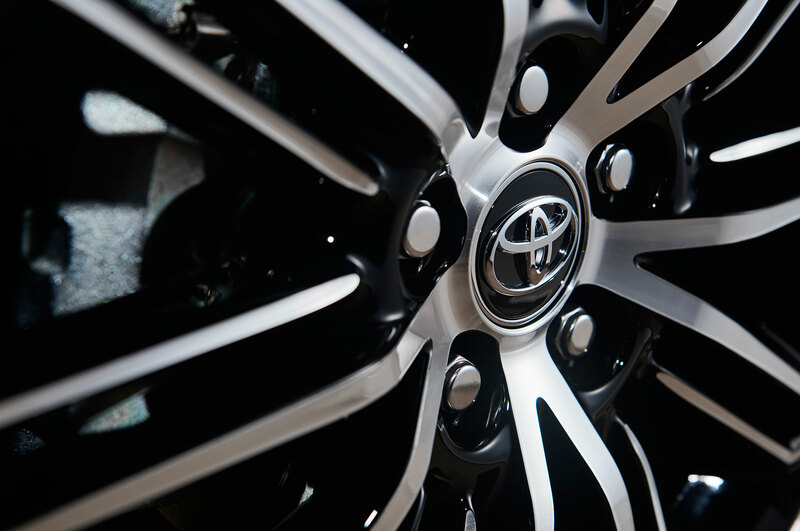 All 2019 Avalons ride on the new and wider Toyota New Global Architecture (TNGA) platform with a multi-link rear suspension. 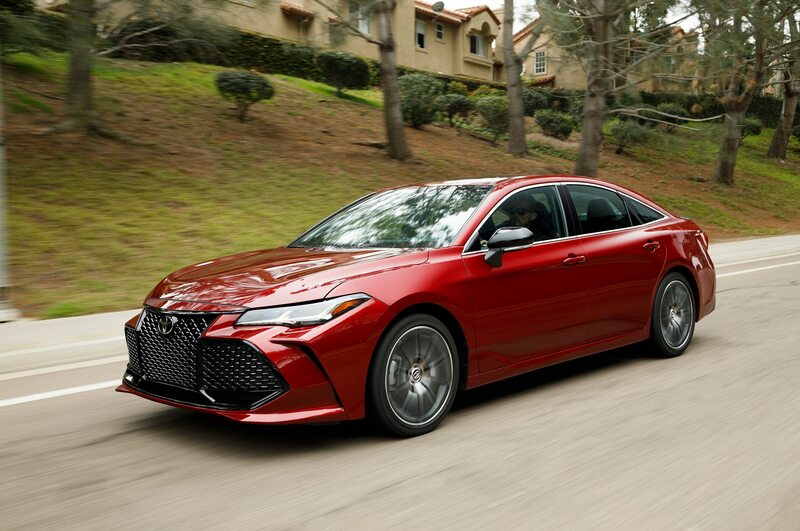 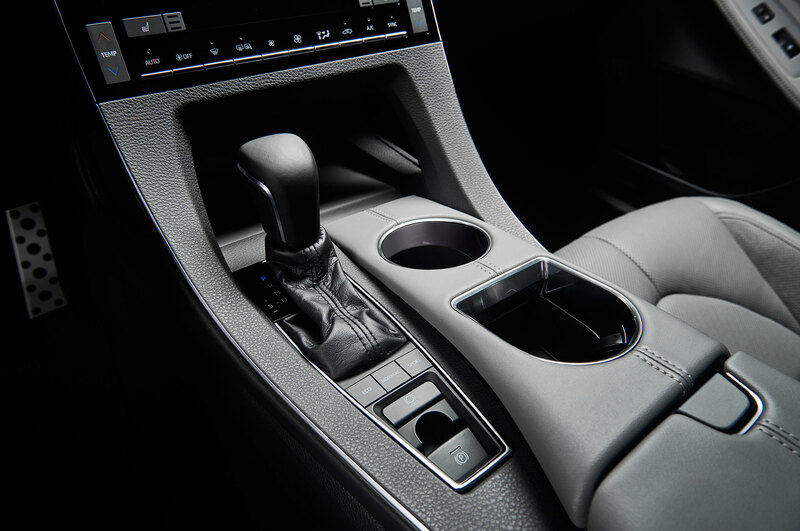 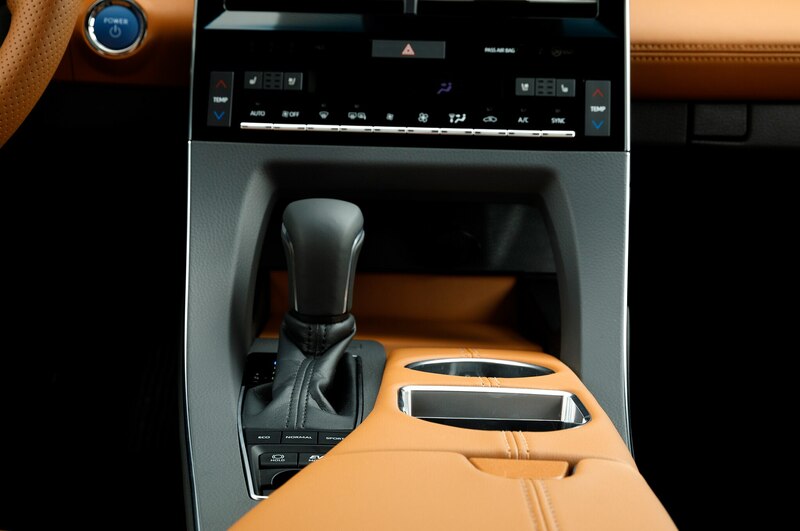 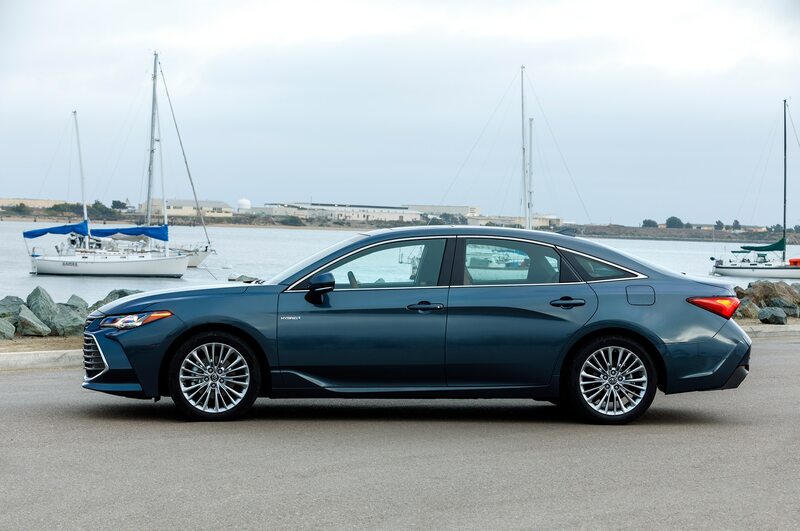 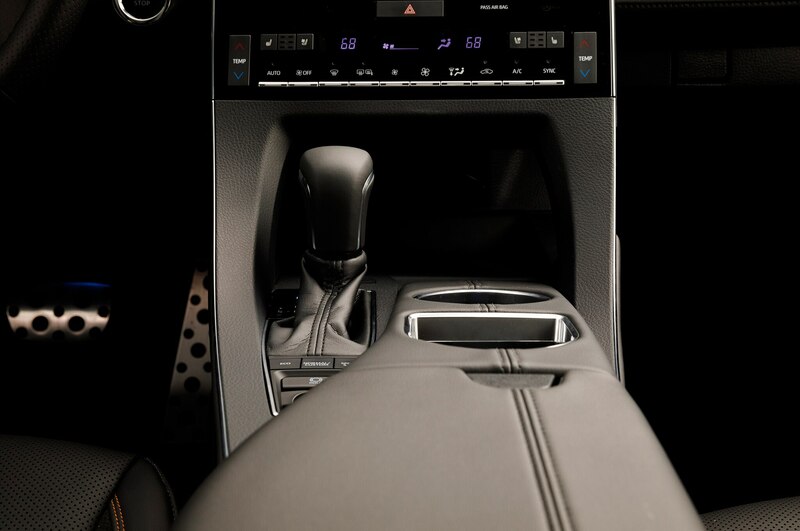 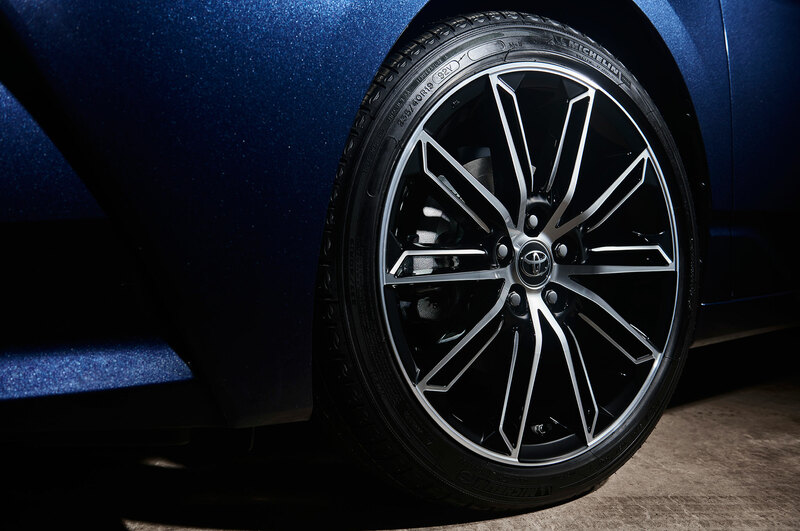 Its available Adaptive Variable Suspension provides a comfortable ride for the Touring trim, which gets fancy shocks jacked from the latest Lexus LS. 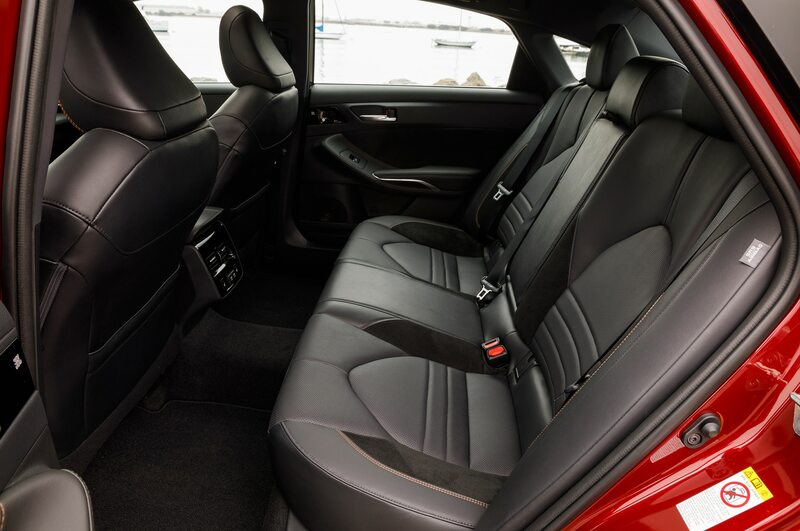 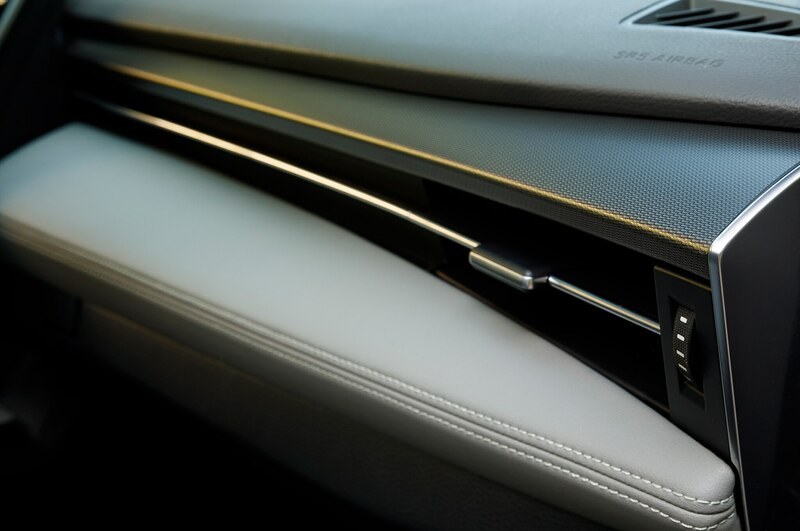 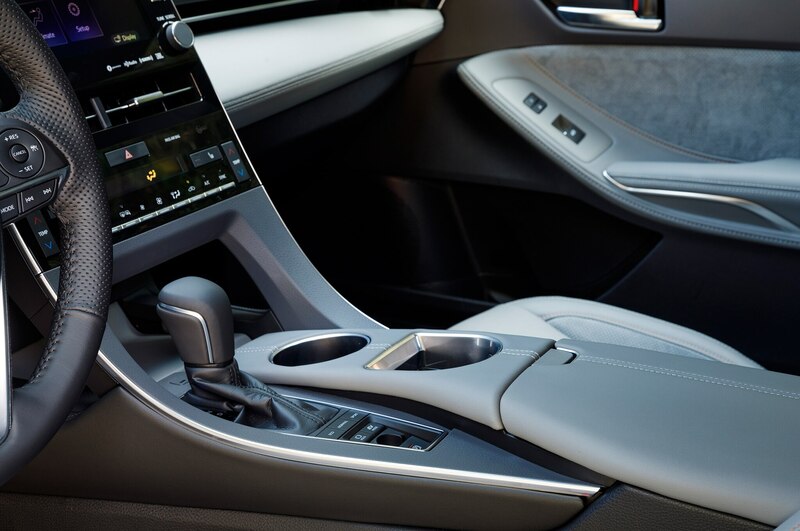 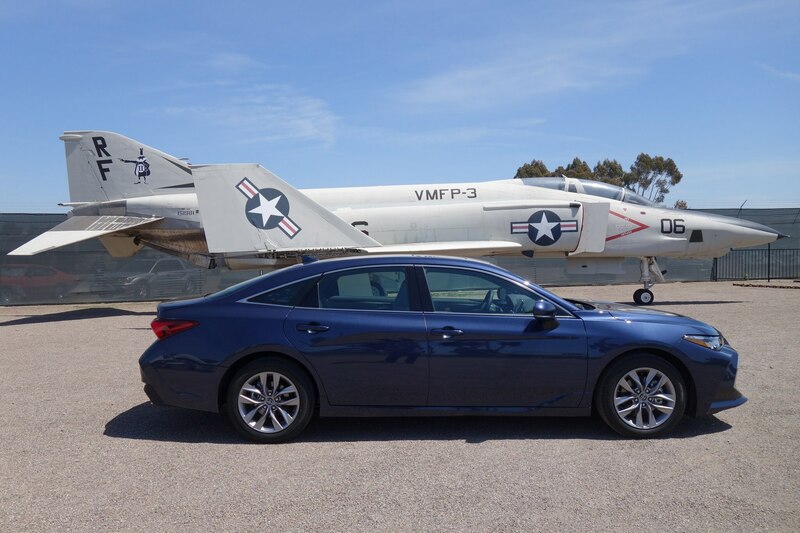 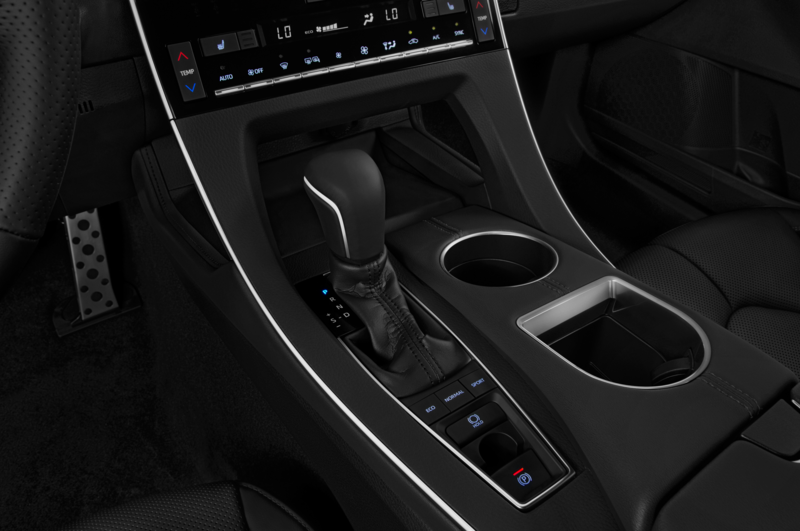 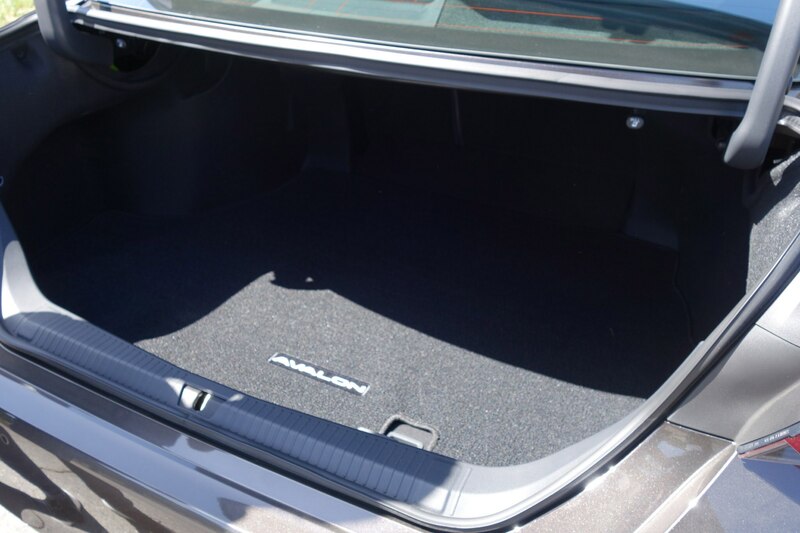 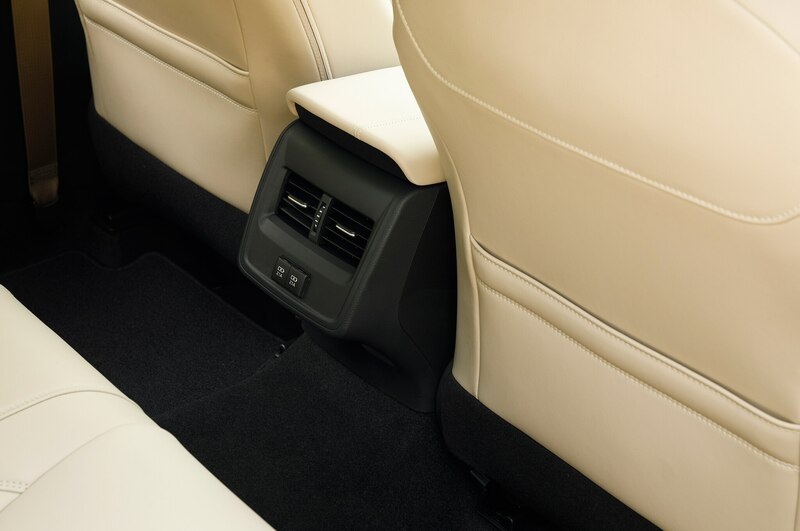 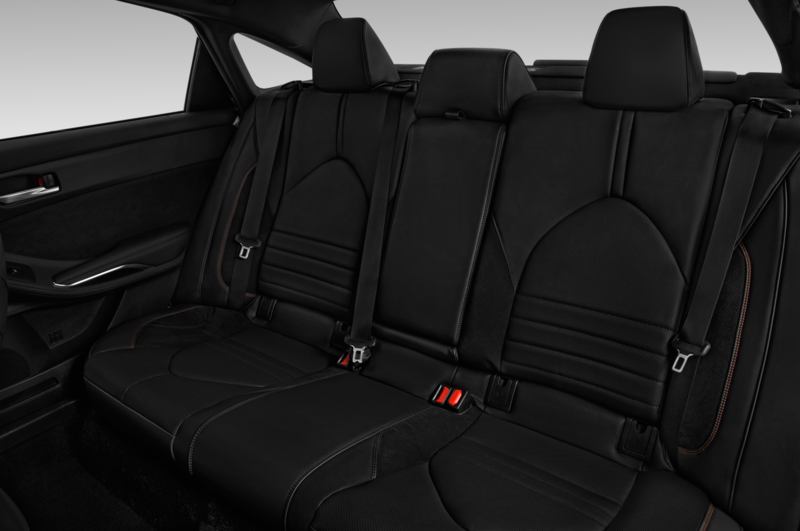 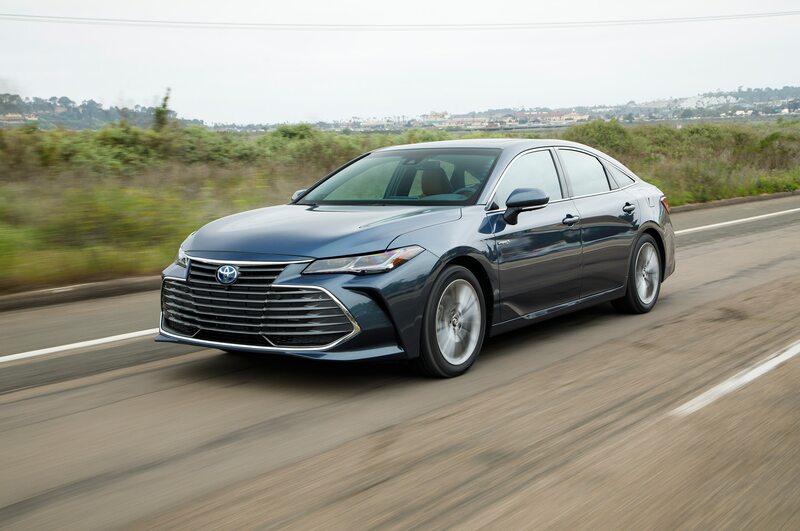 Batteries for the hybrids are located under the rear seats and it increases the sedan’s overall weight, which varies from the 3,560-pound XLE up to a hefty 3,715-pound Limited Hybrid. 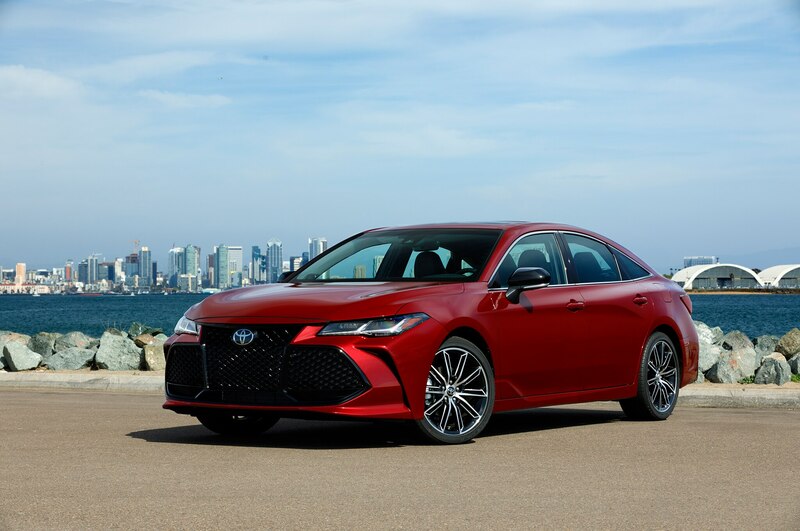 Prices start at $36,395 for a base 2019 Avalon XLE and go up to $43,095 for the Avalon Touring. 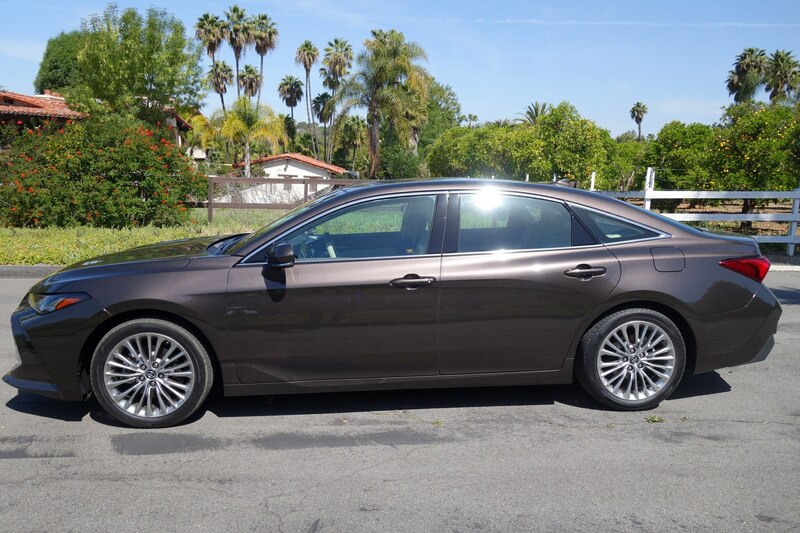 Going hybrid adds $1,000 to the sticker, making the Avalon Hybrid a great bargain for the gas sipper crowd. 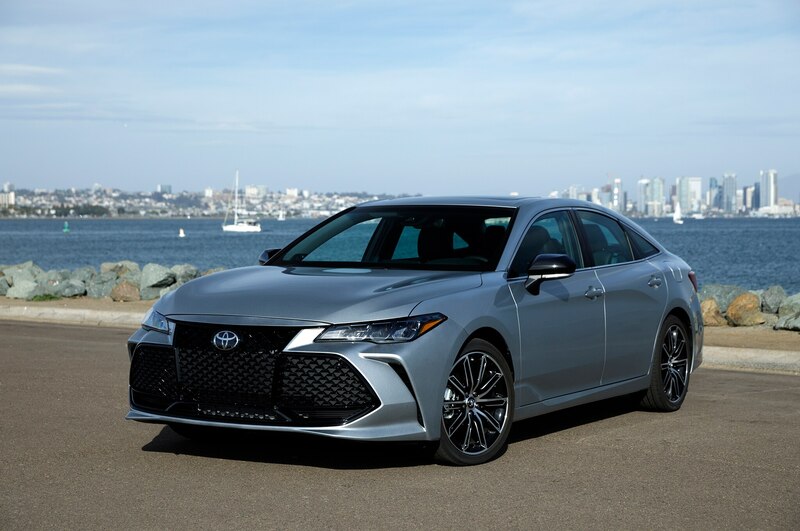 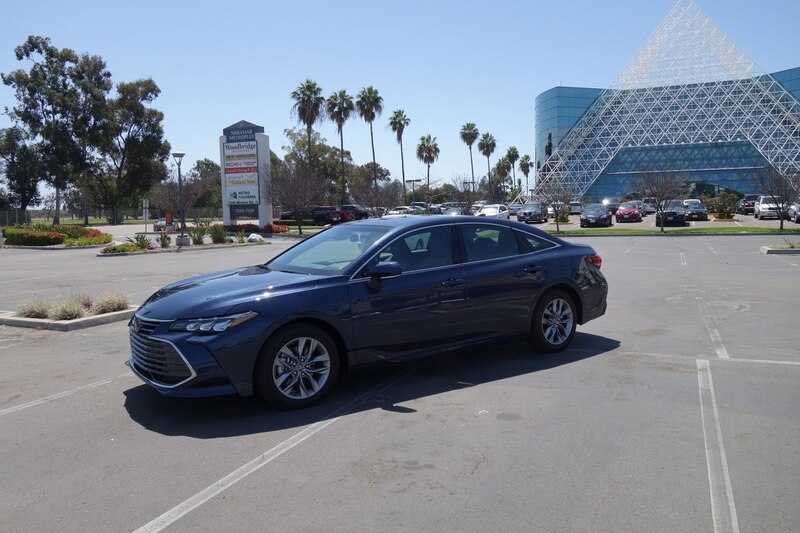 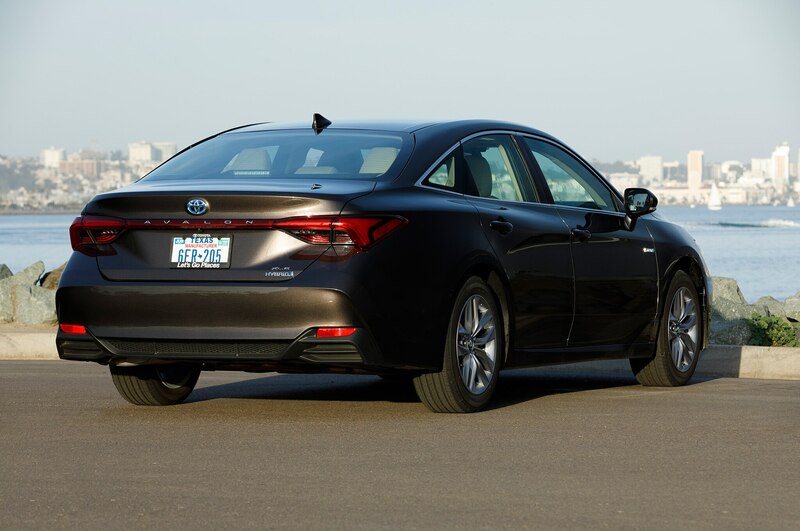 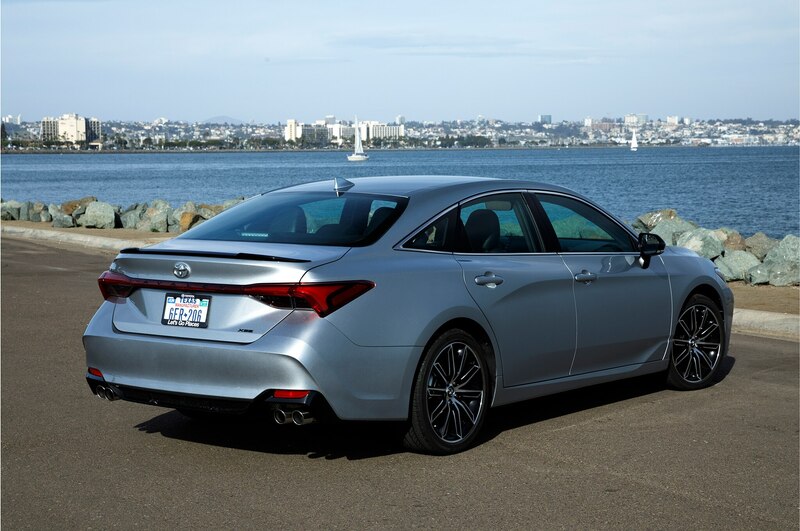 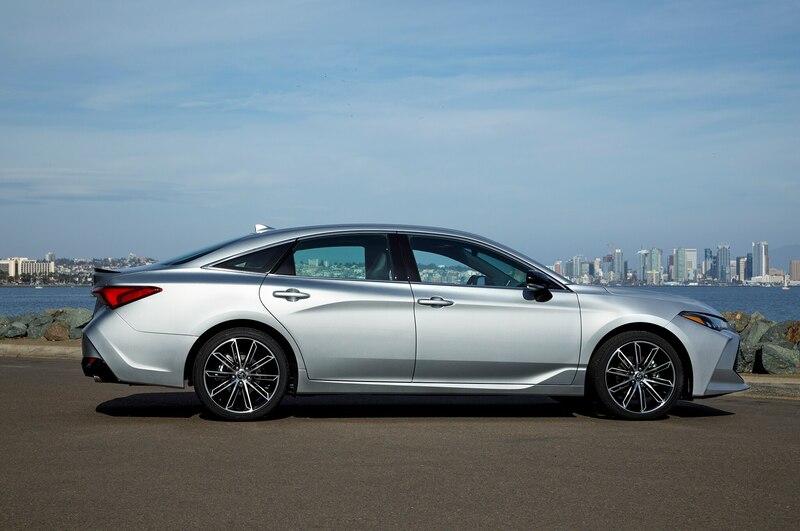 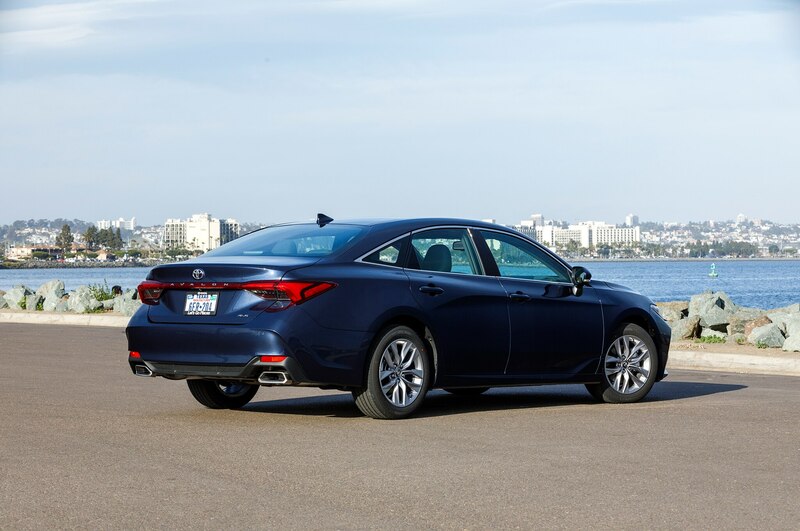 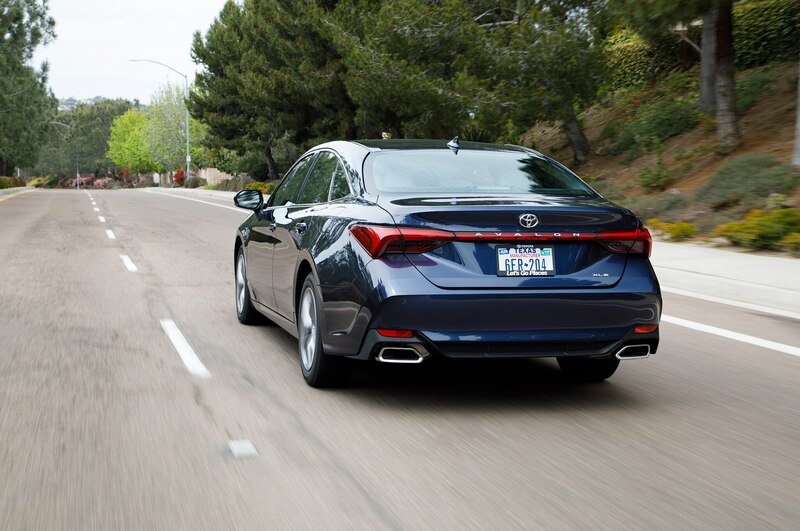 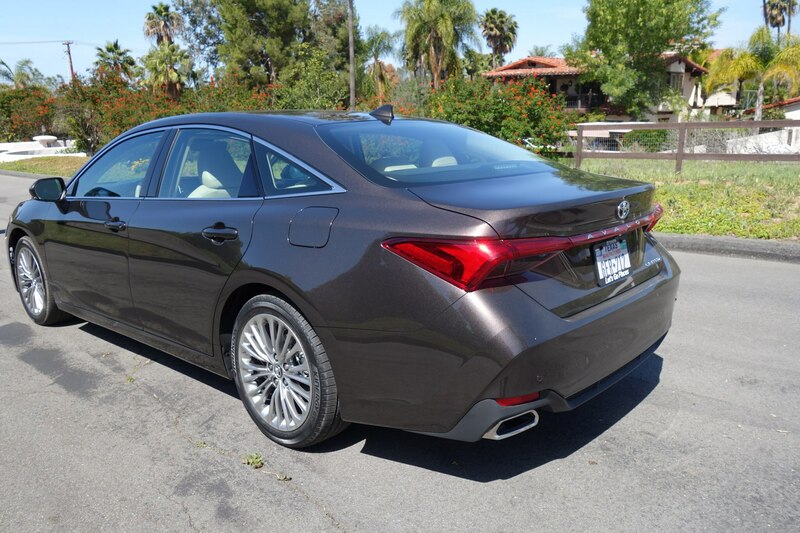 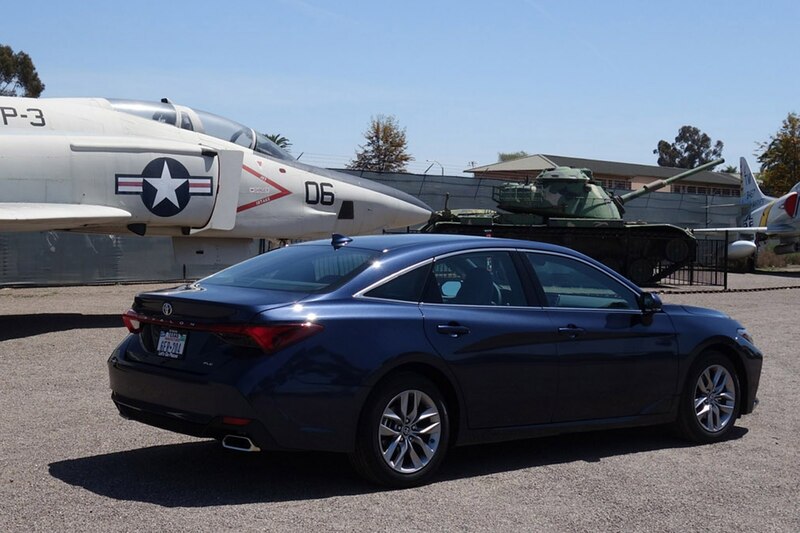 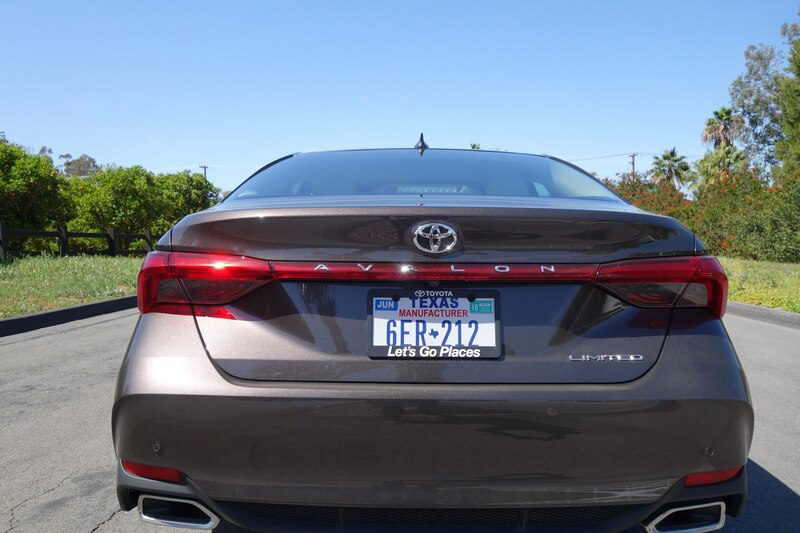 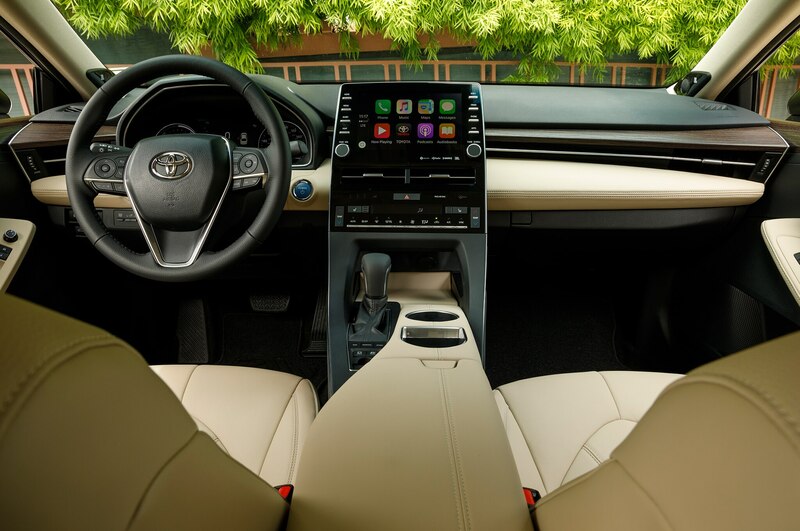 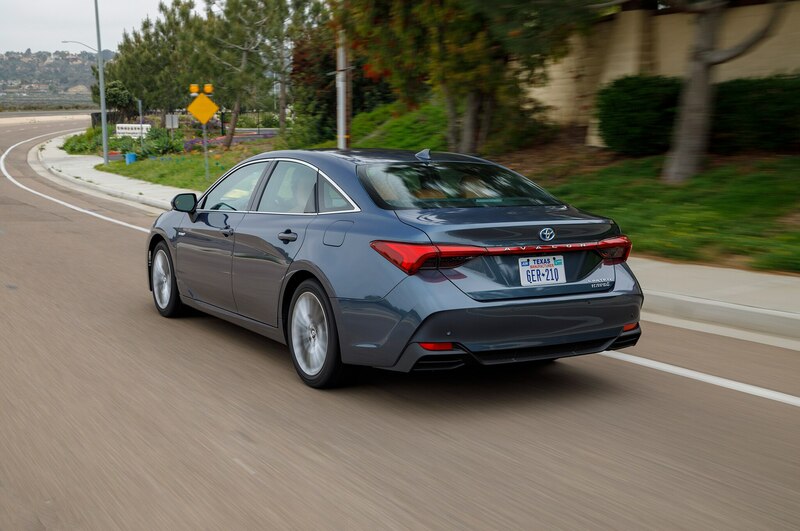 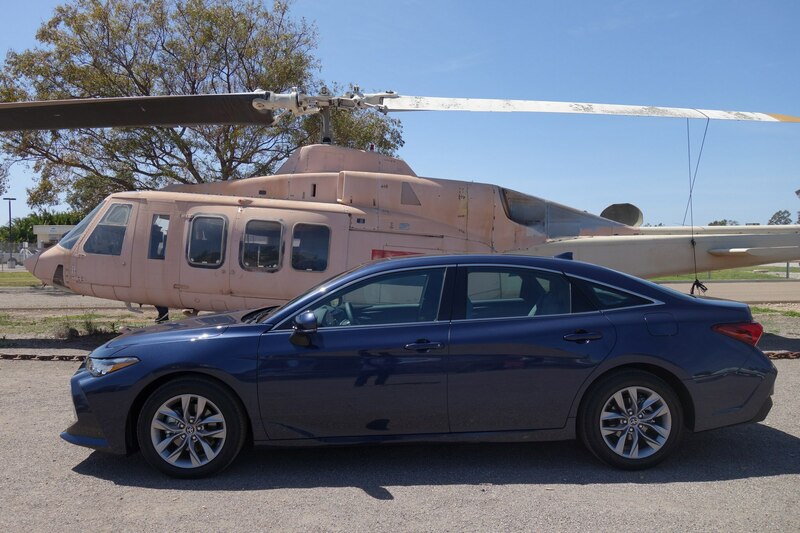 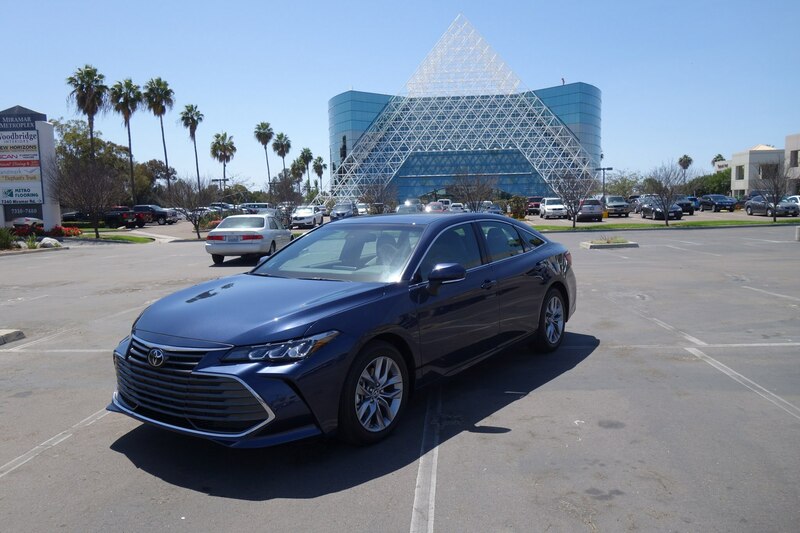 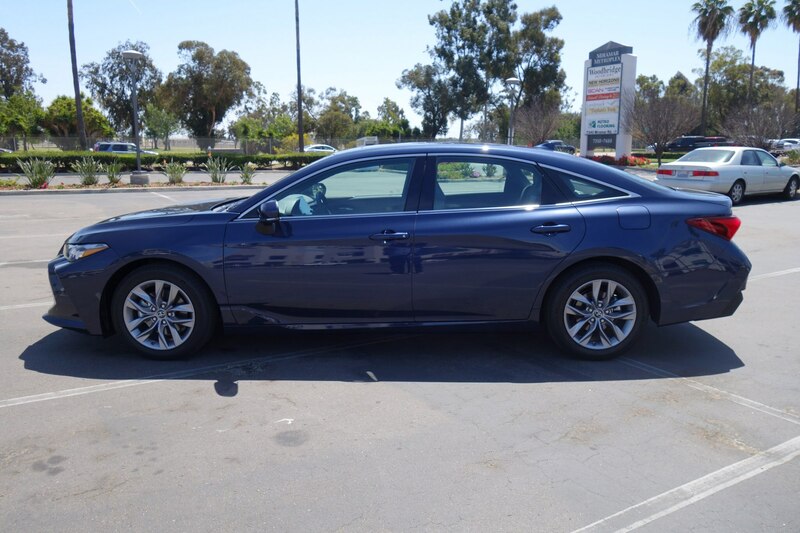 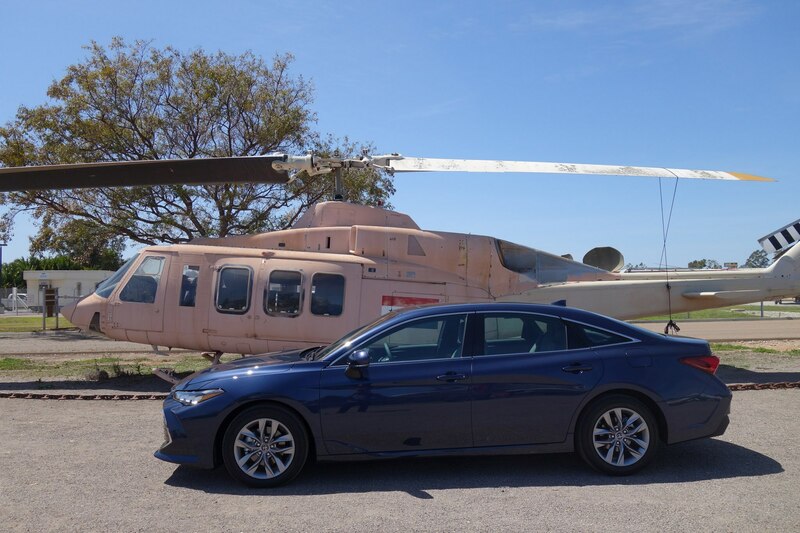 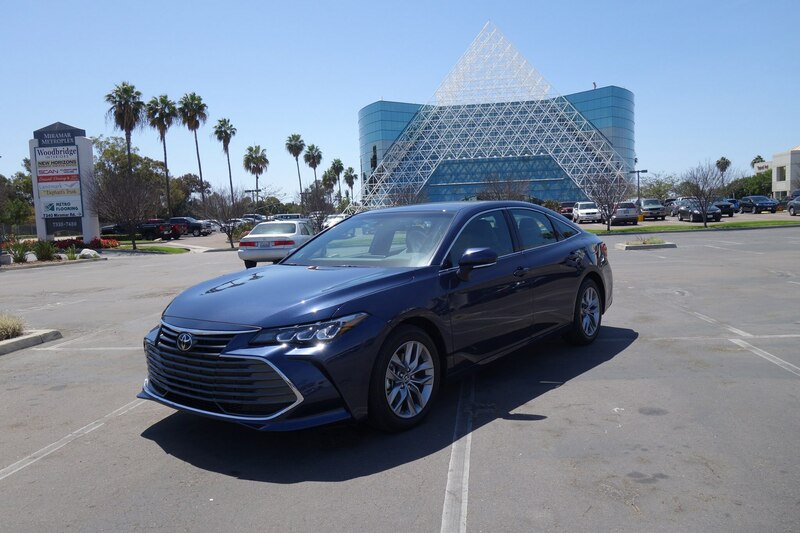 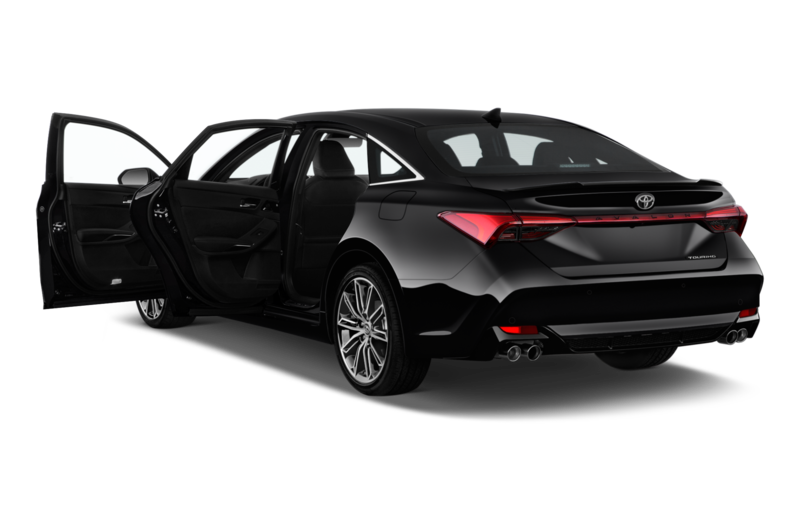 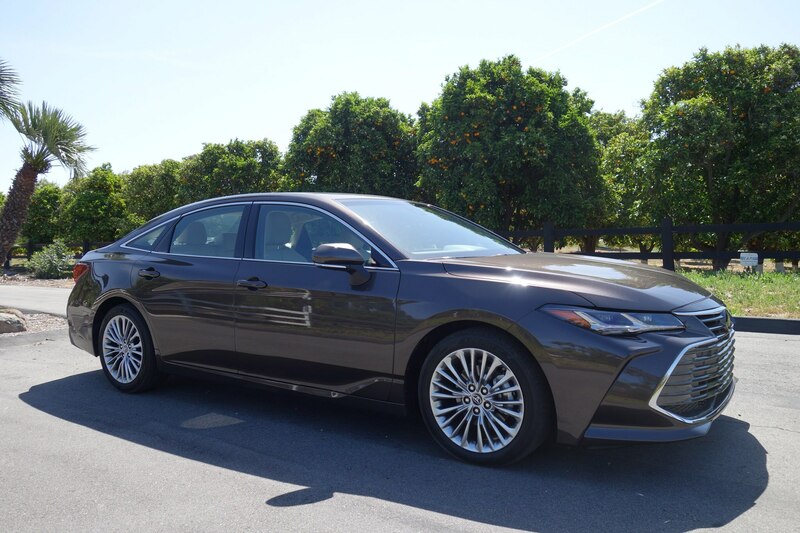 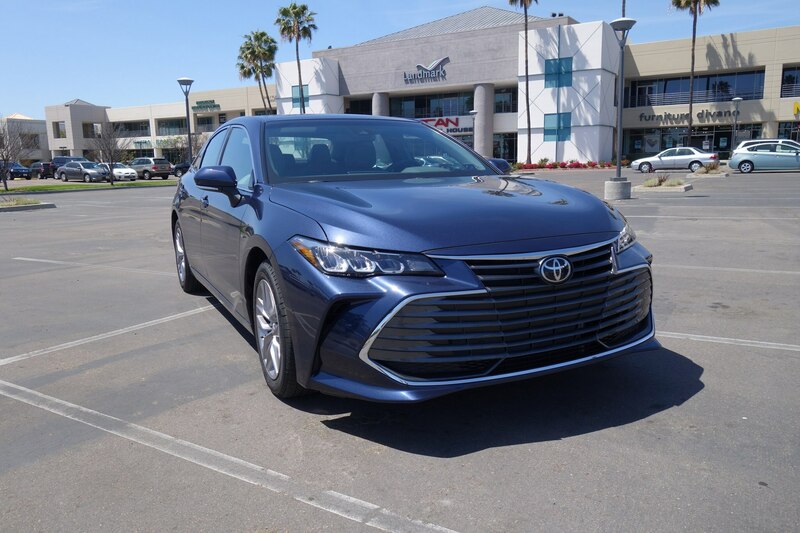 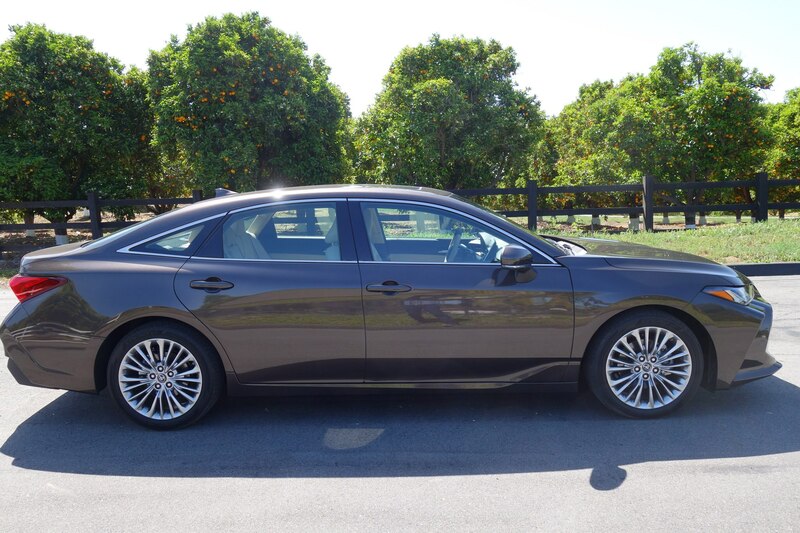 The 2019 Toyota Avalon XLE Hybrid offers 43/44 mpg (city/highway) versus 22/31 mpg for a gas only Avalon XLE. 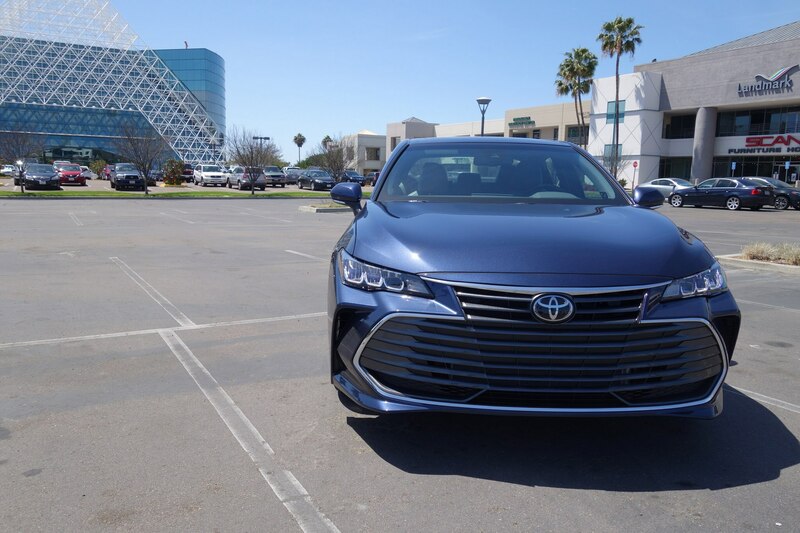 With fuel prices in the SoCal area hovering above the $4 a gallon range, the Avalon Hybrid should sell well in the Golden State. 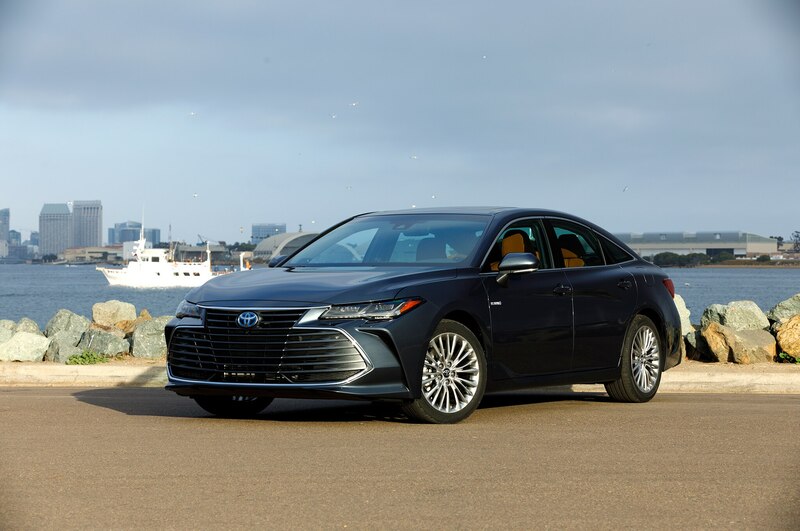 All versions of the 2019 Avalon go on sale in May.